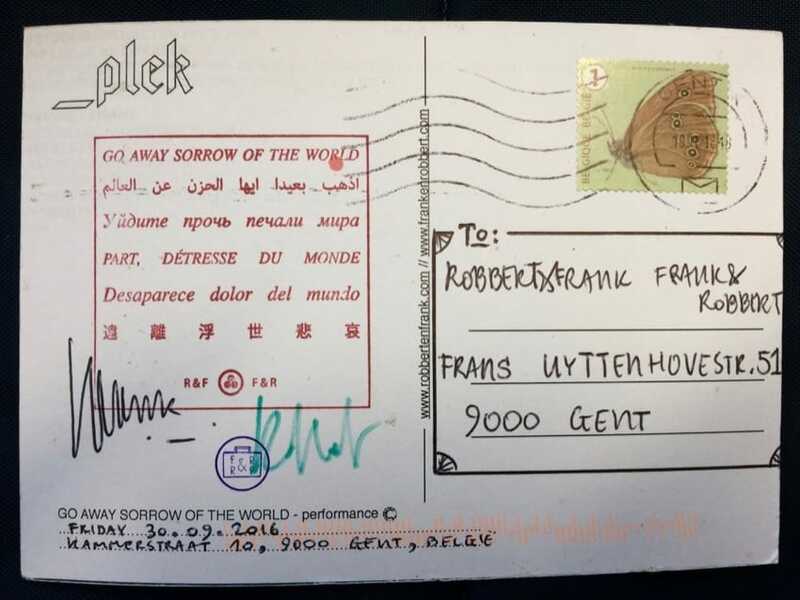 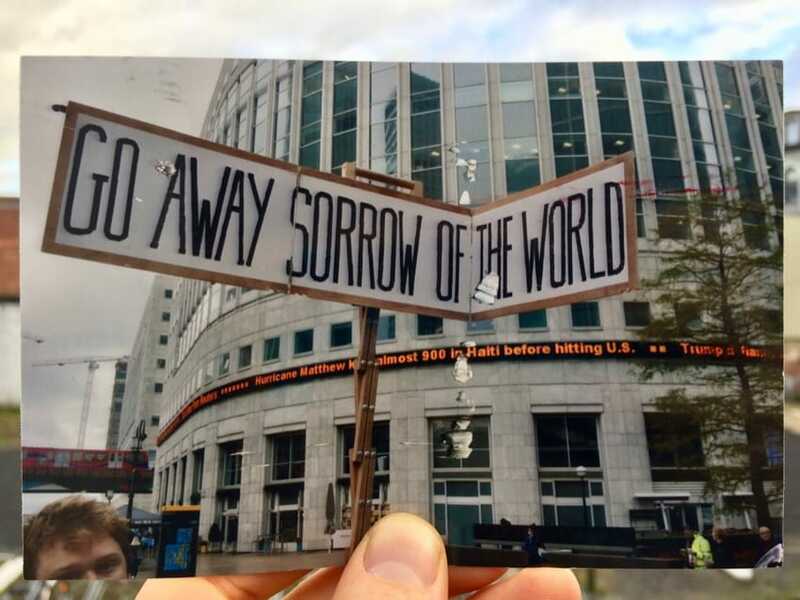 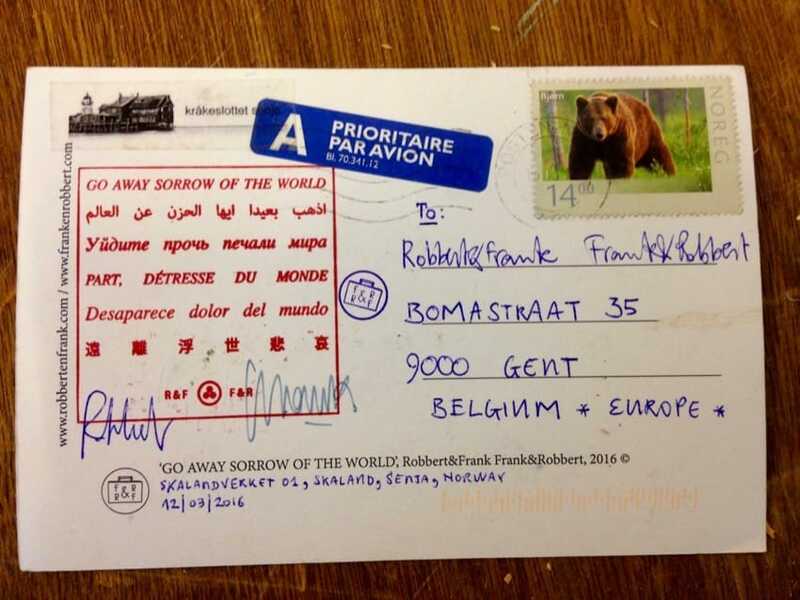 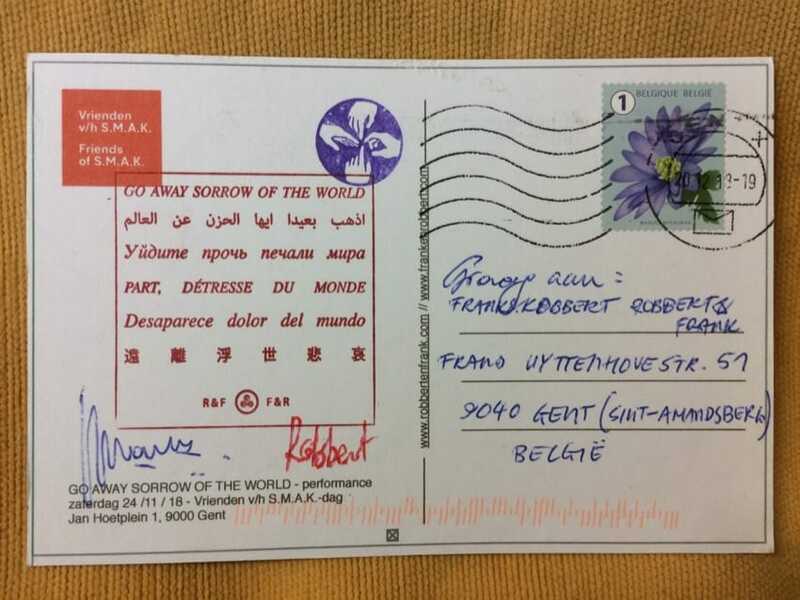 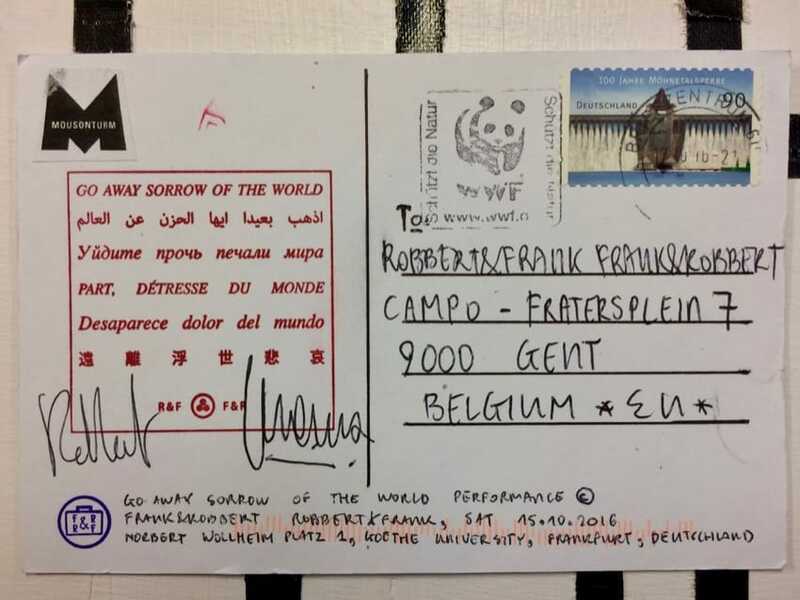 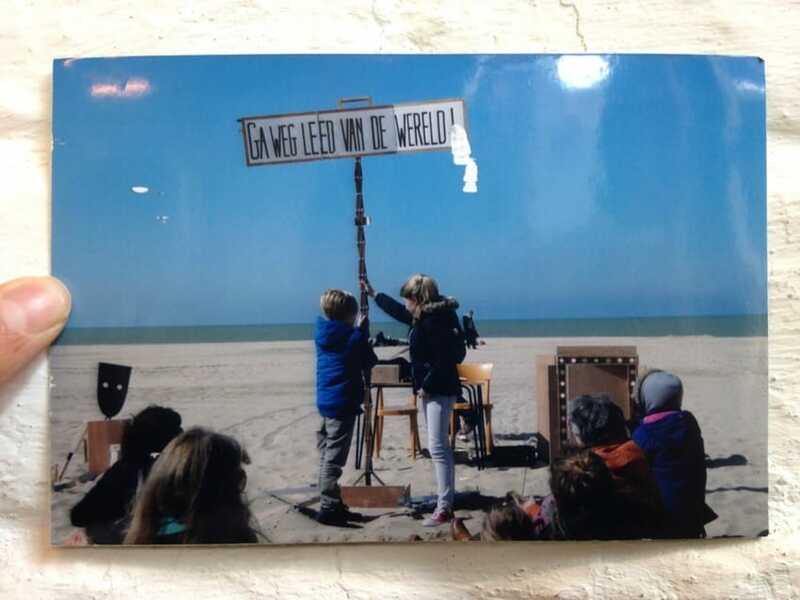 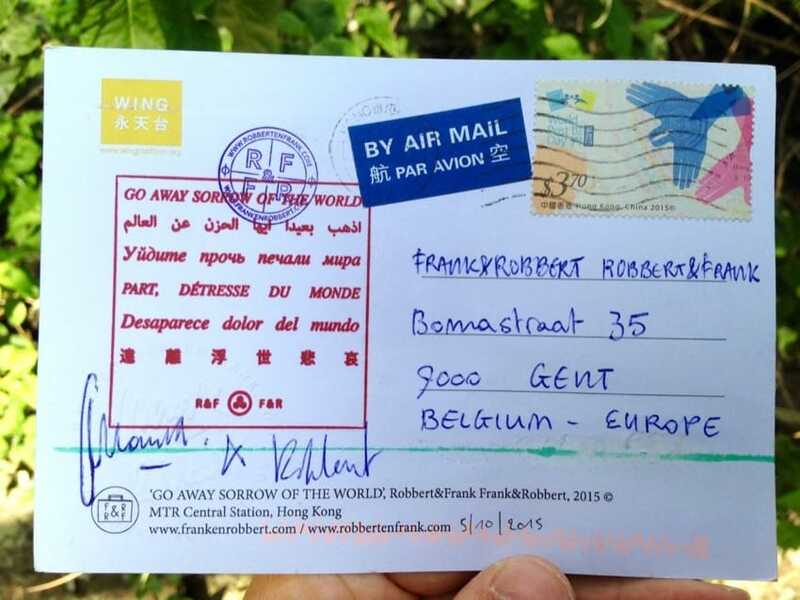 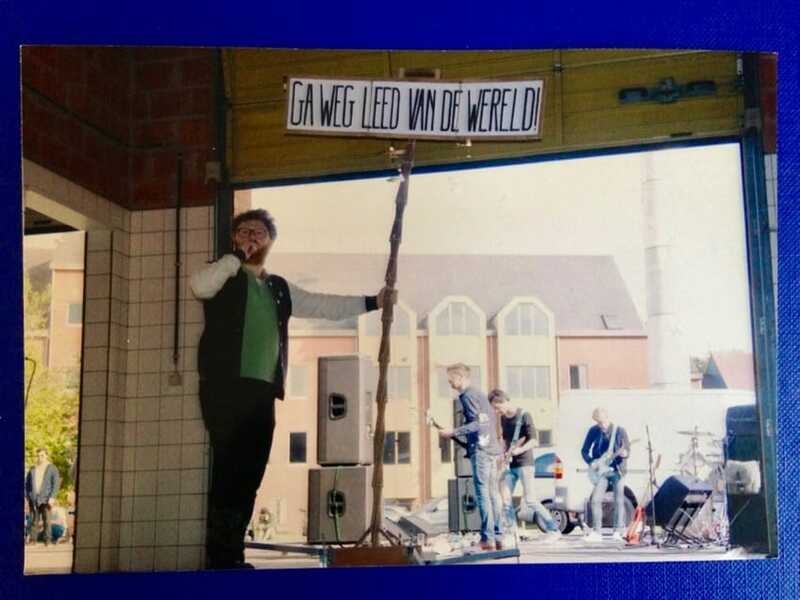 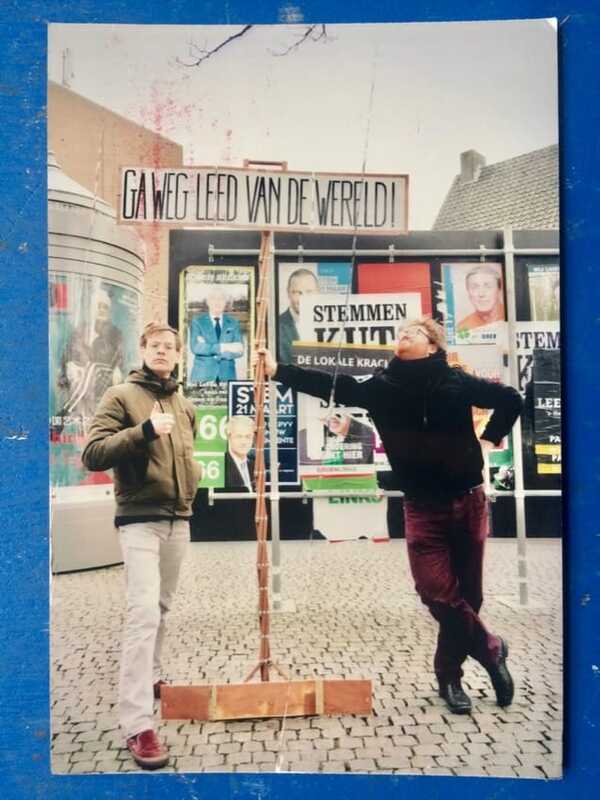 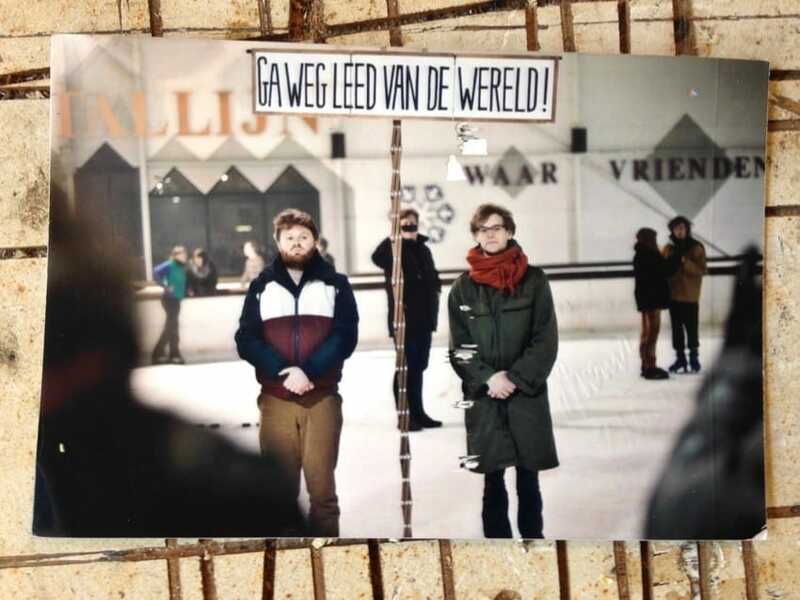 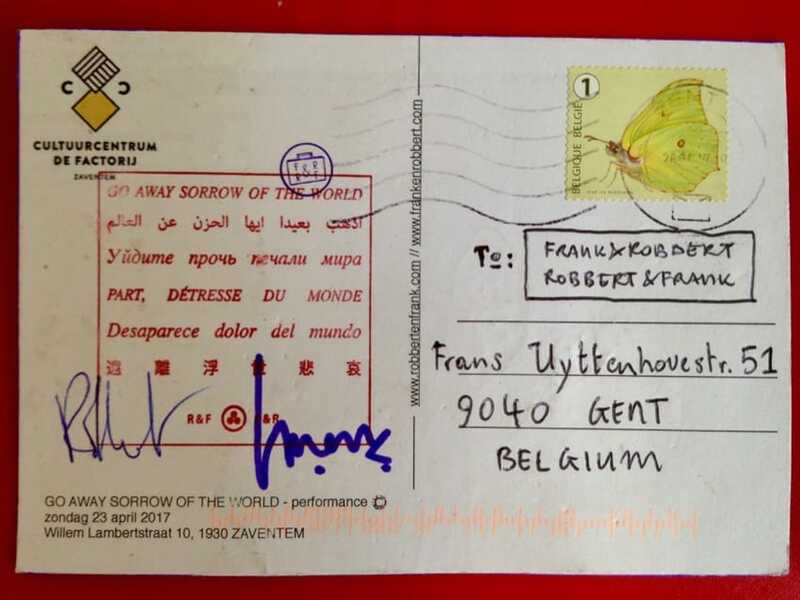 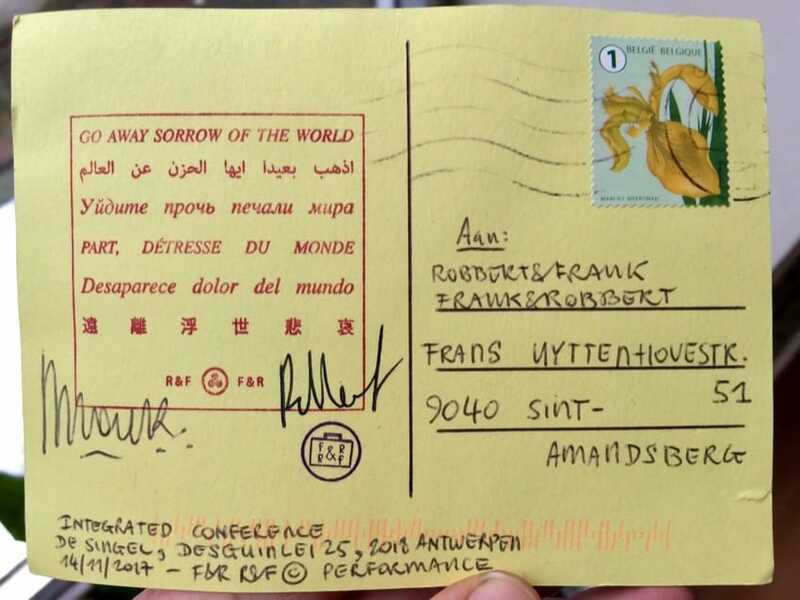 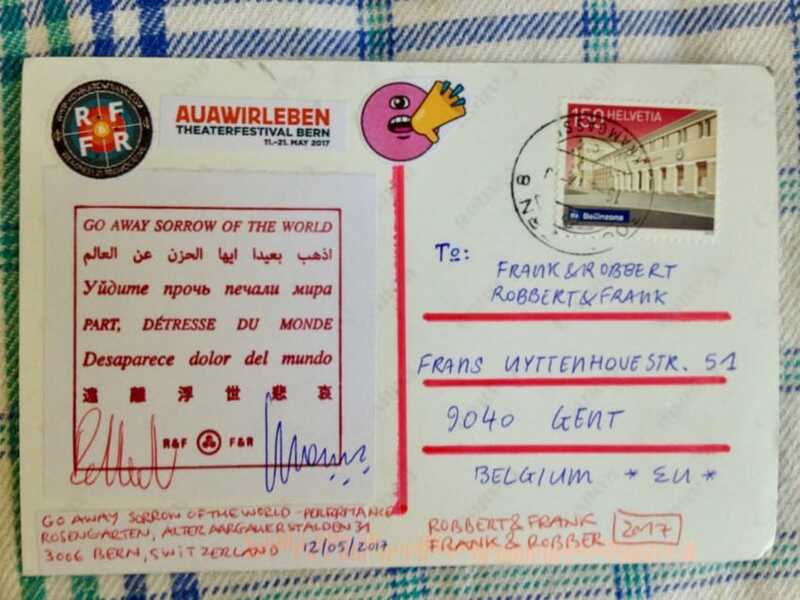 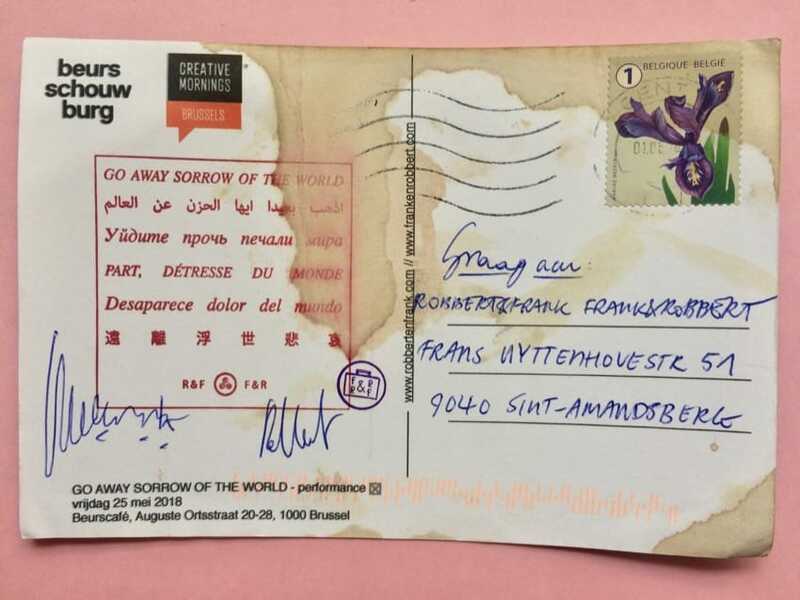 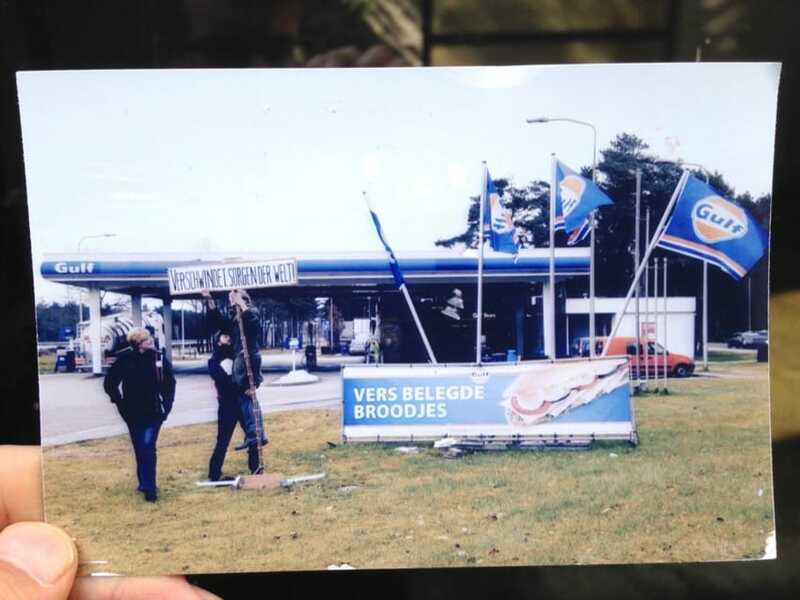 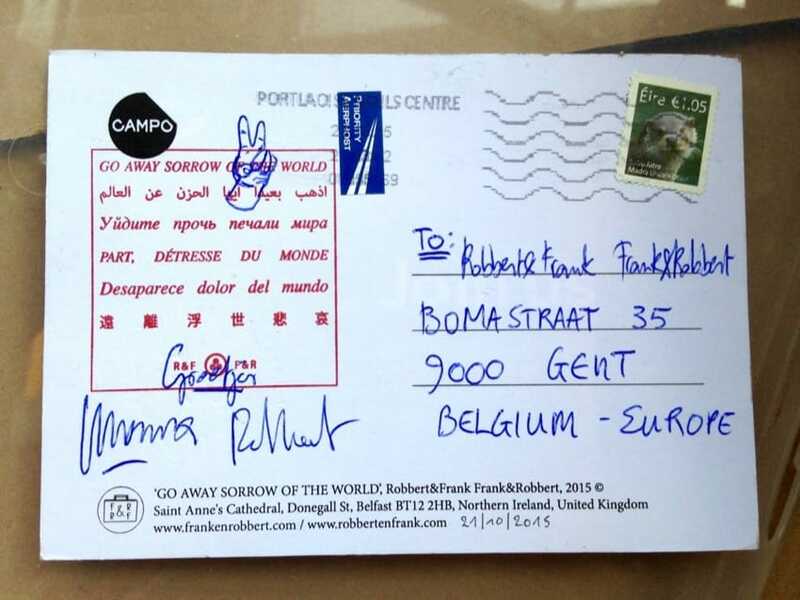 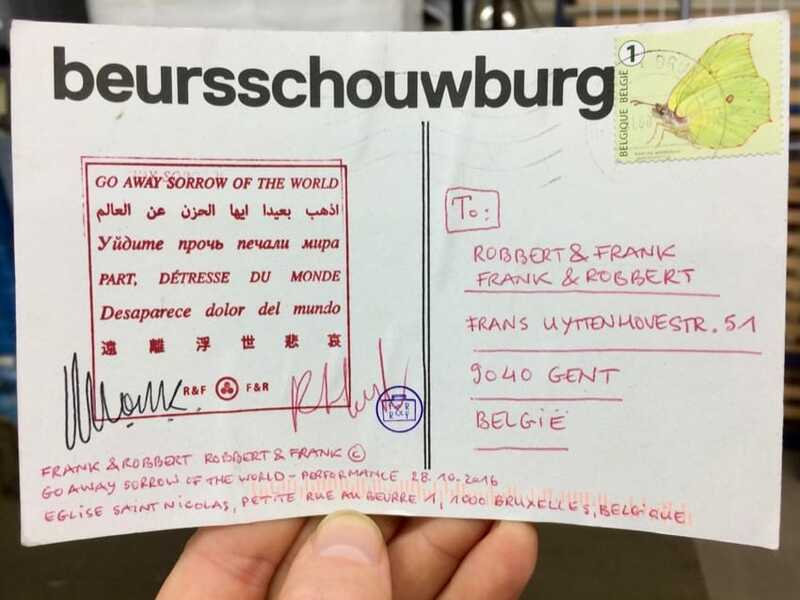 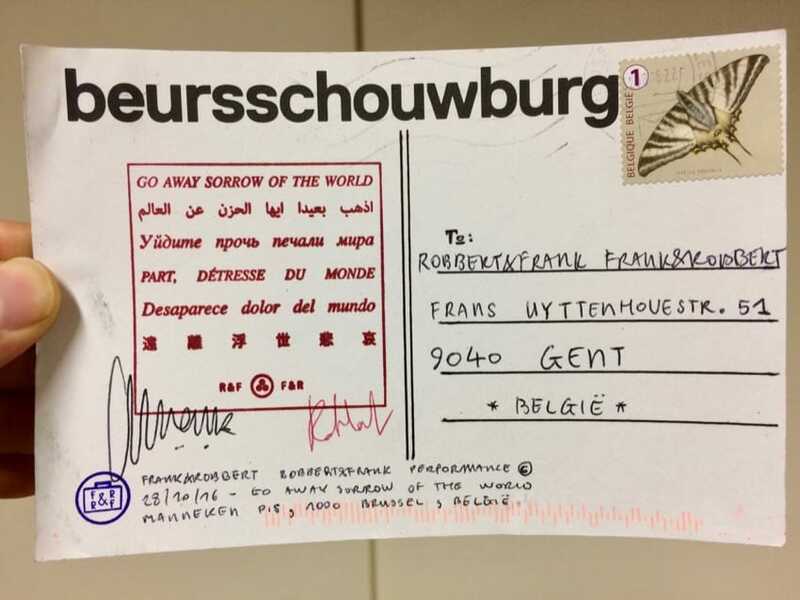 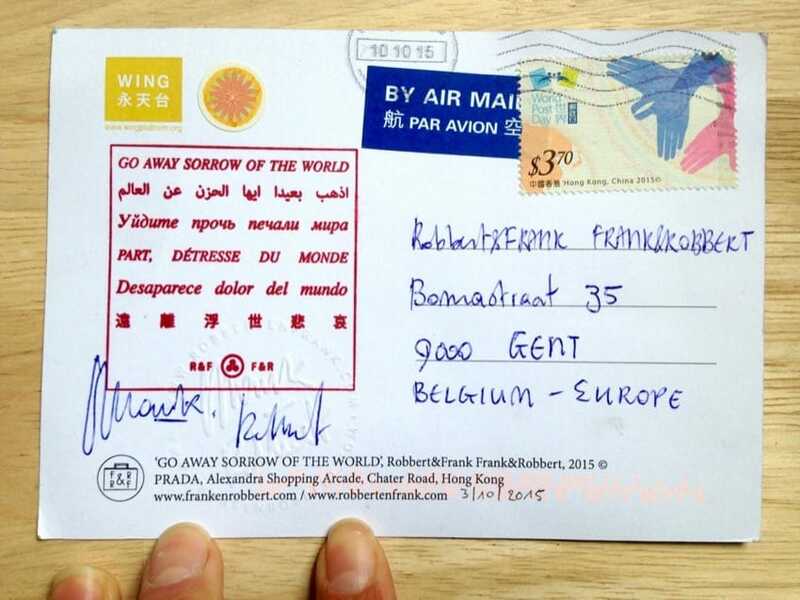 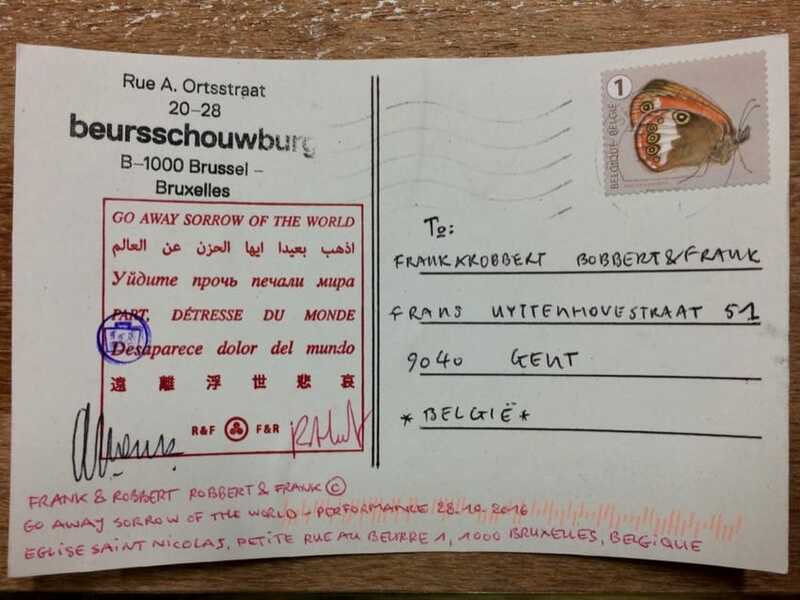 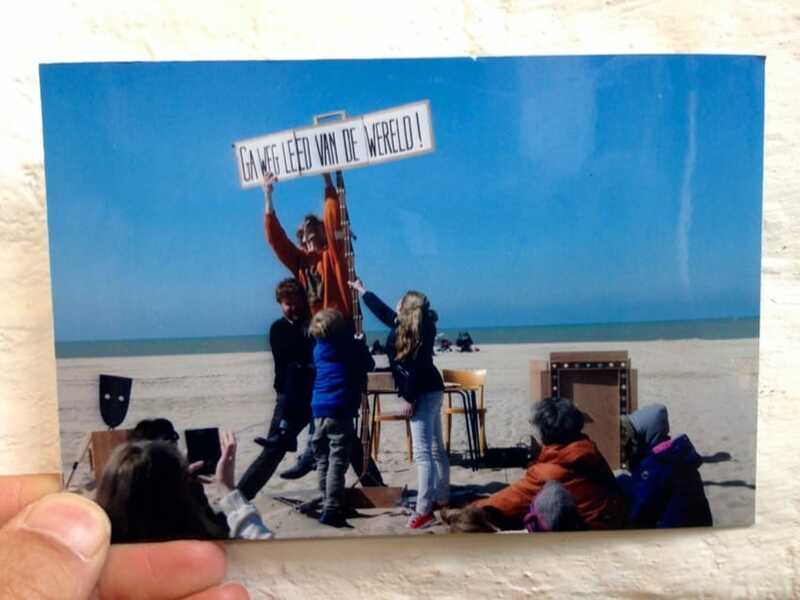 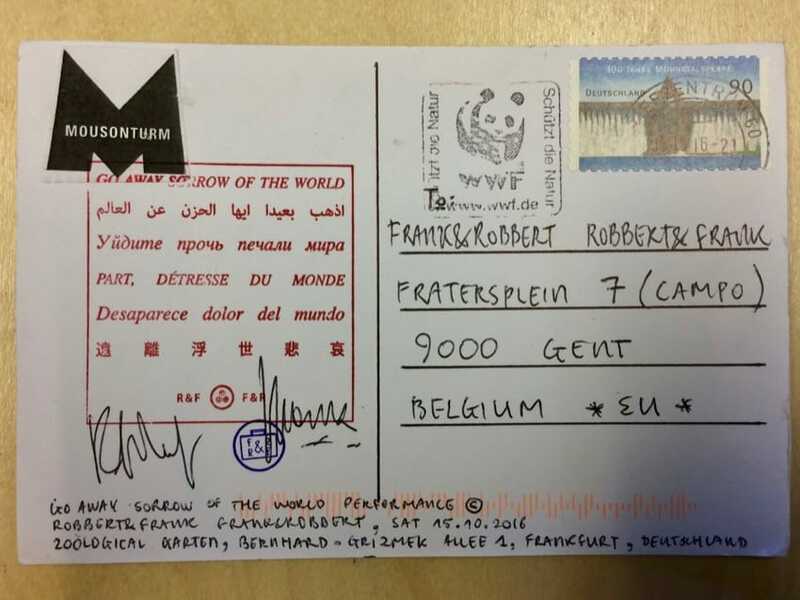 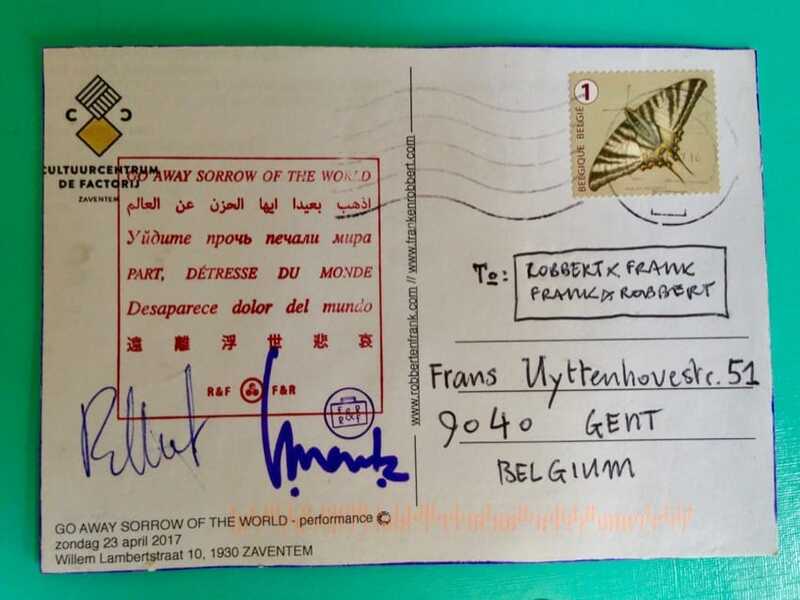 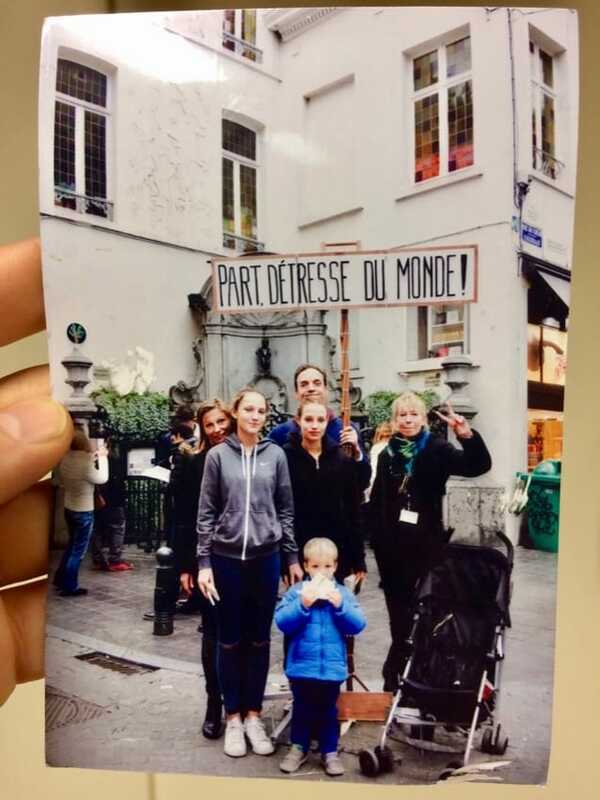 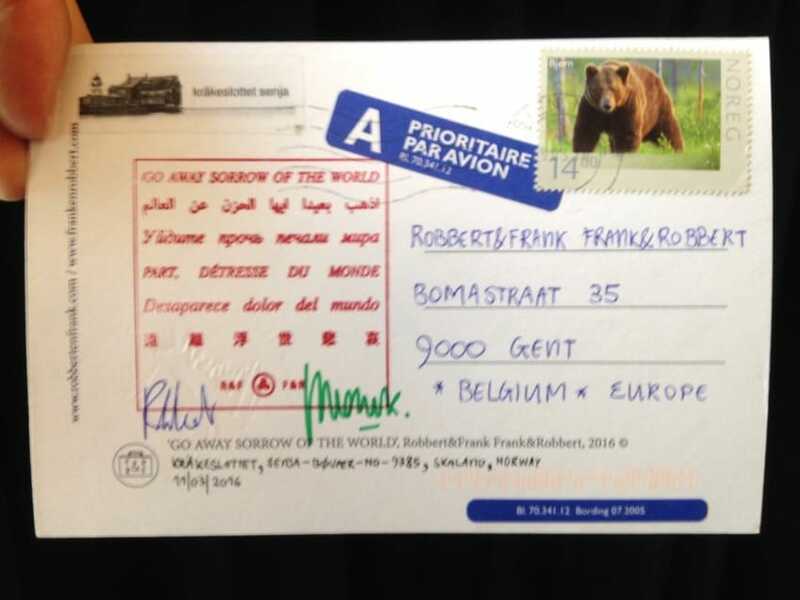 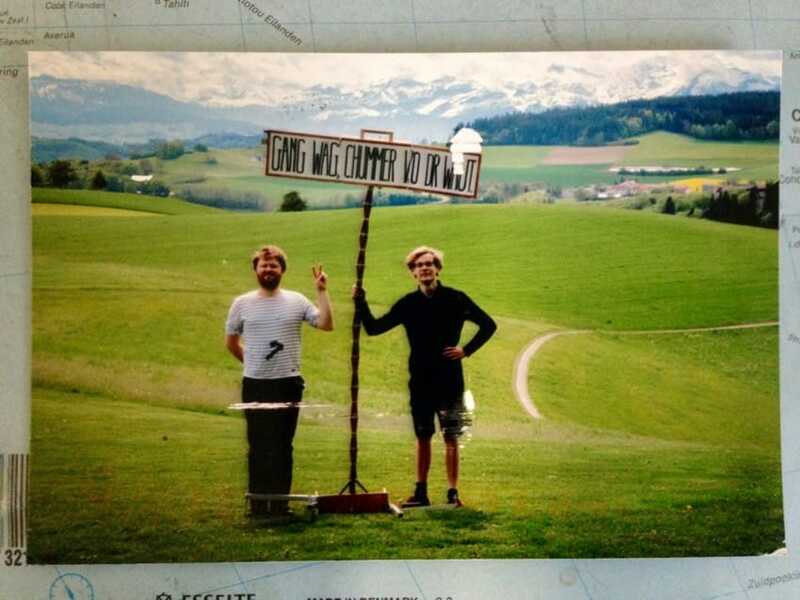 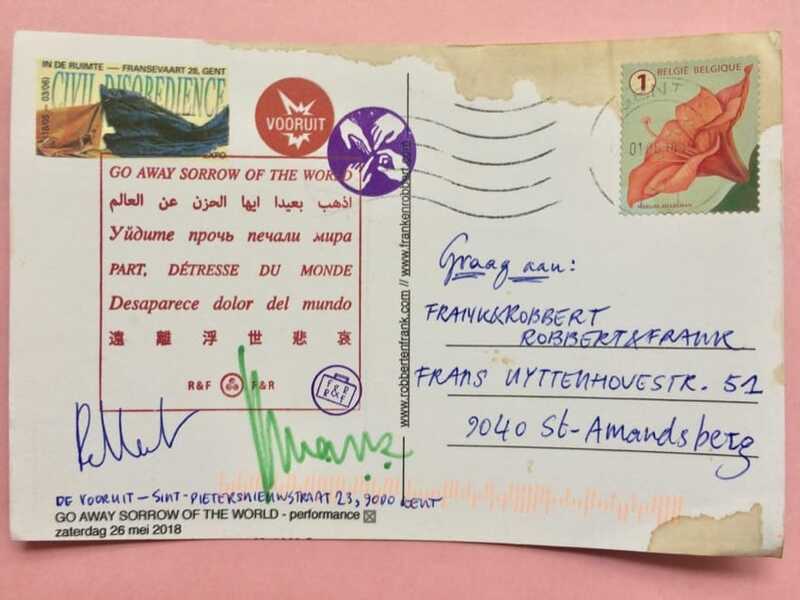 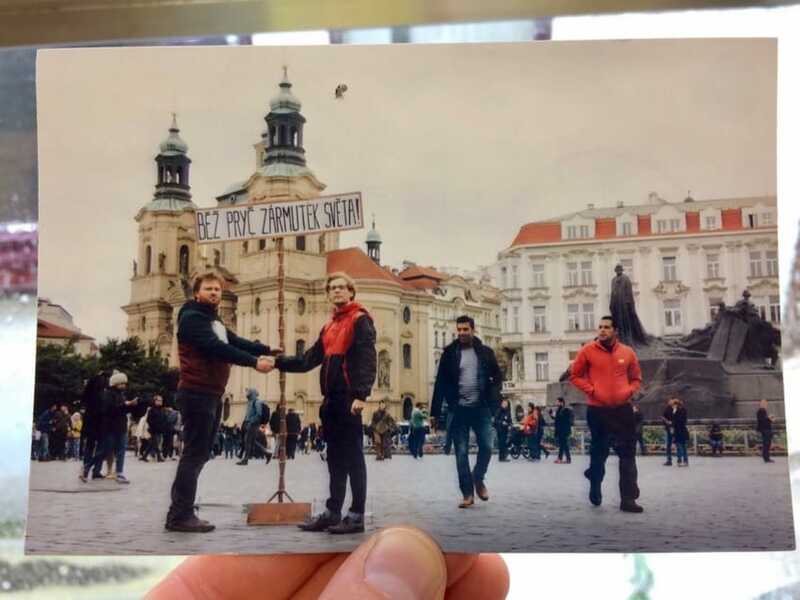 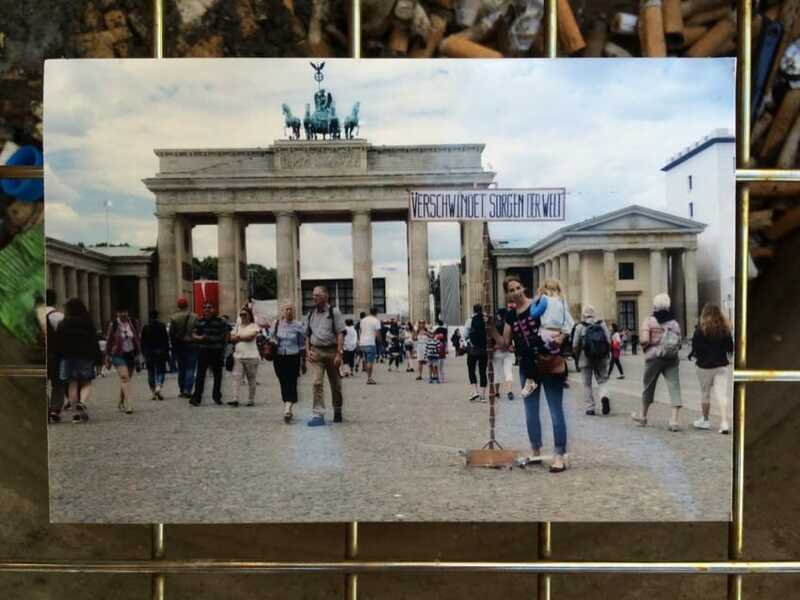 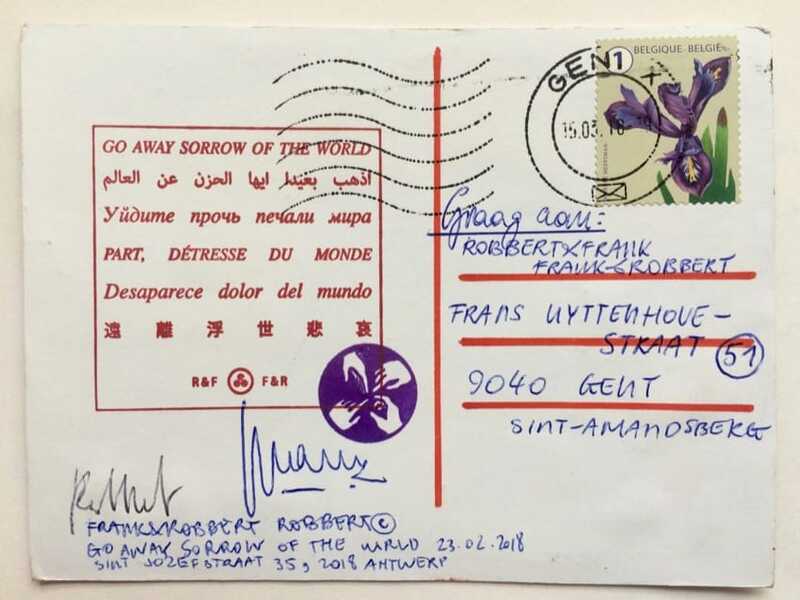 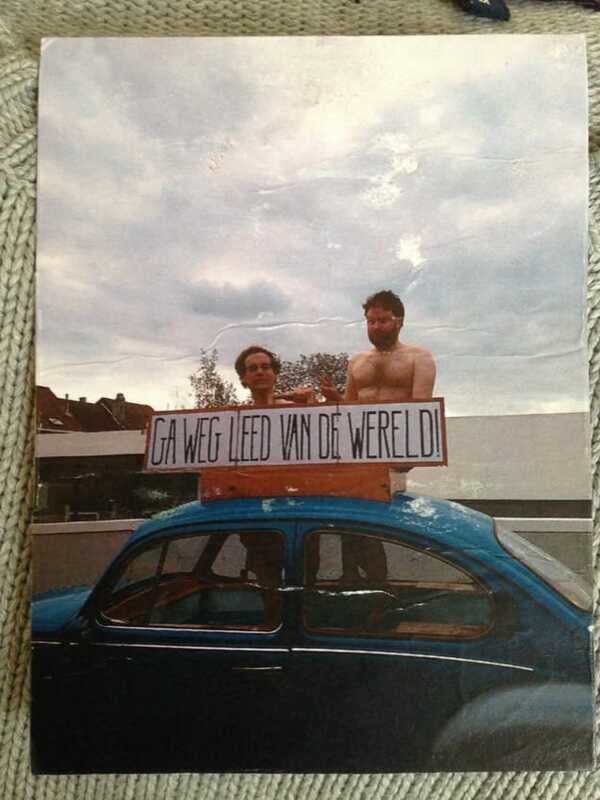 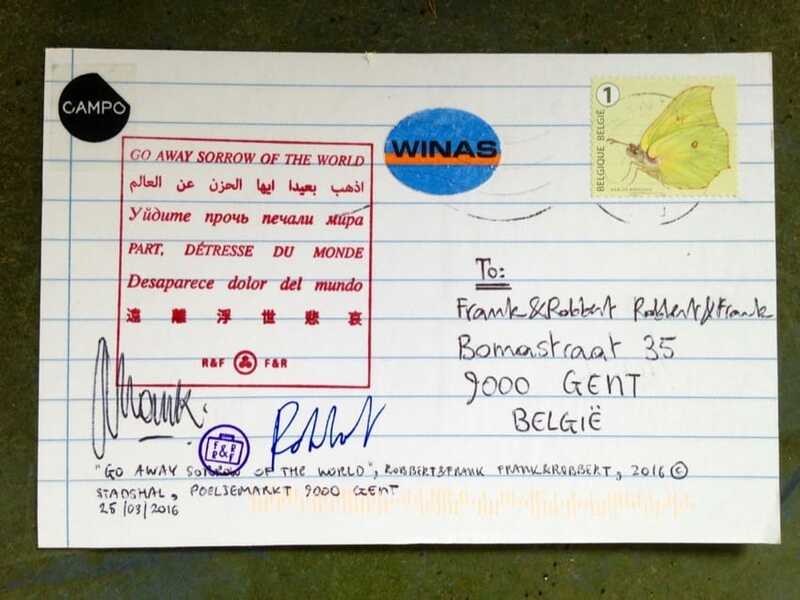 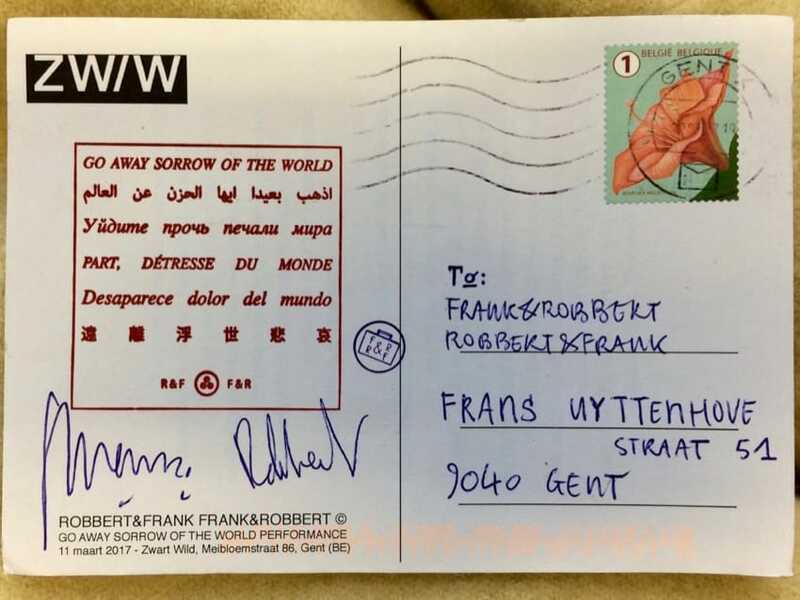 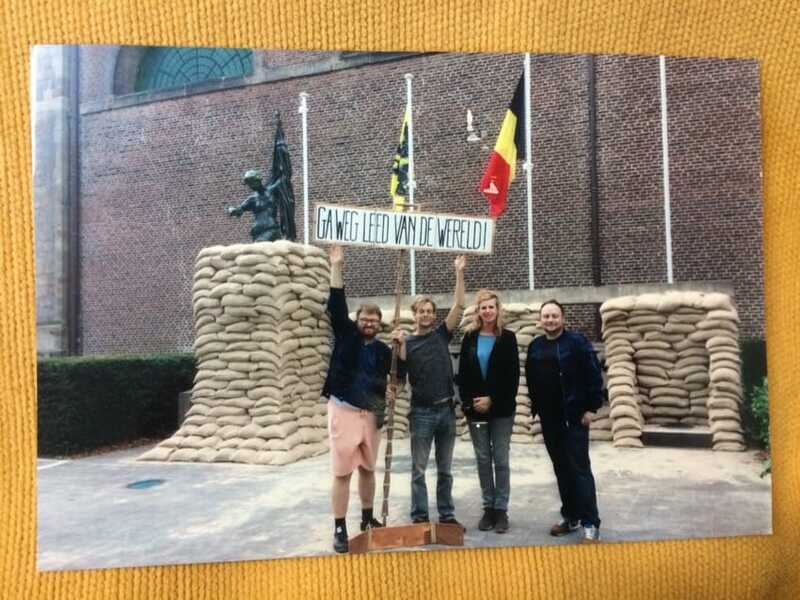 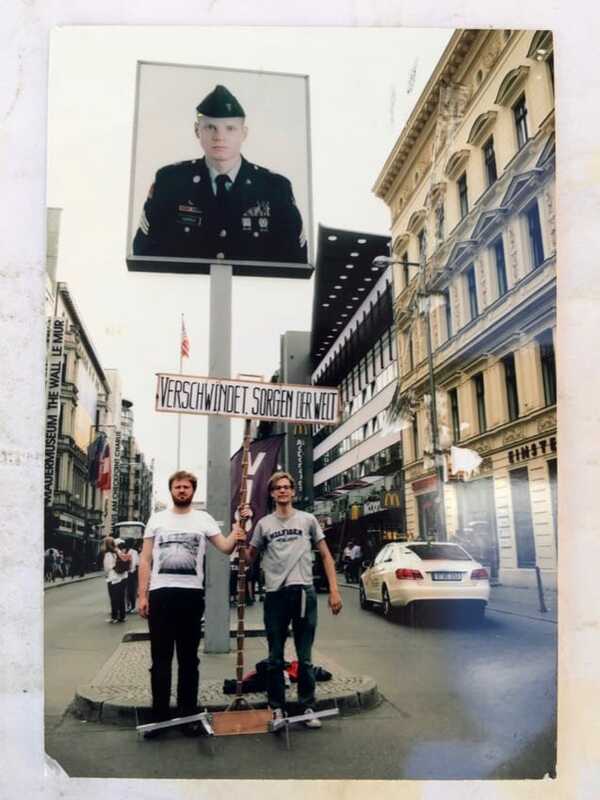 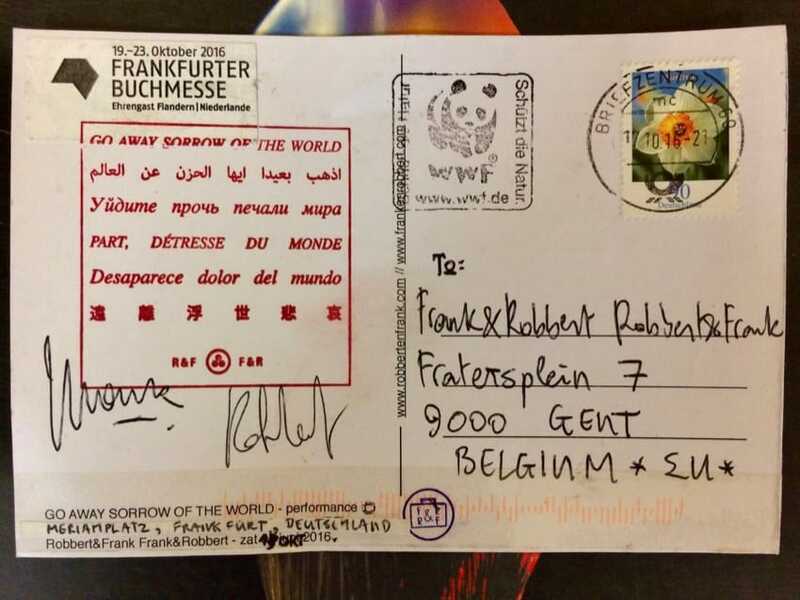 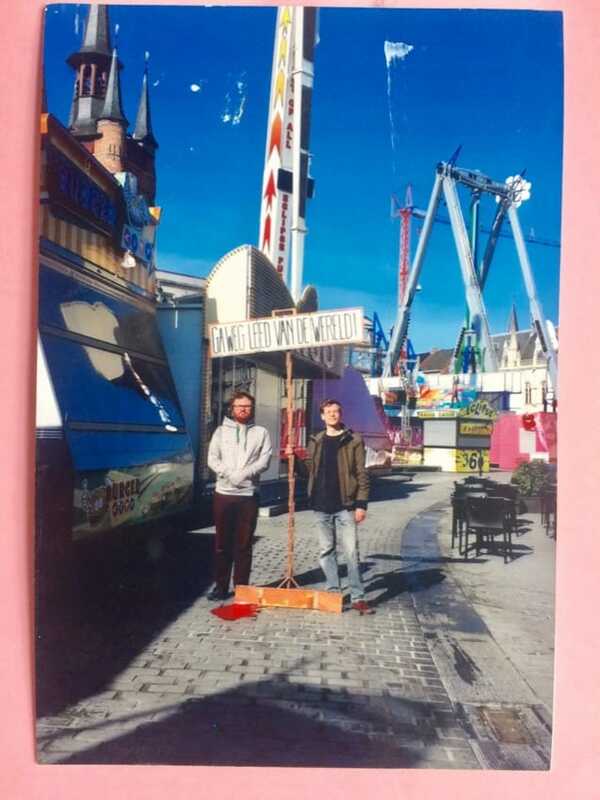 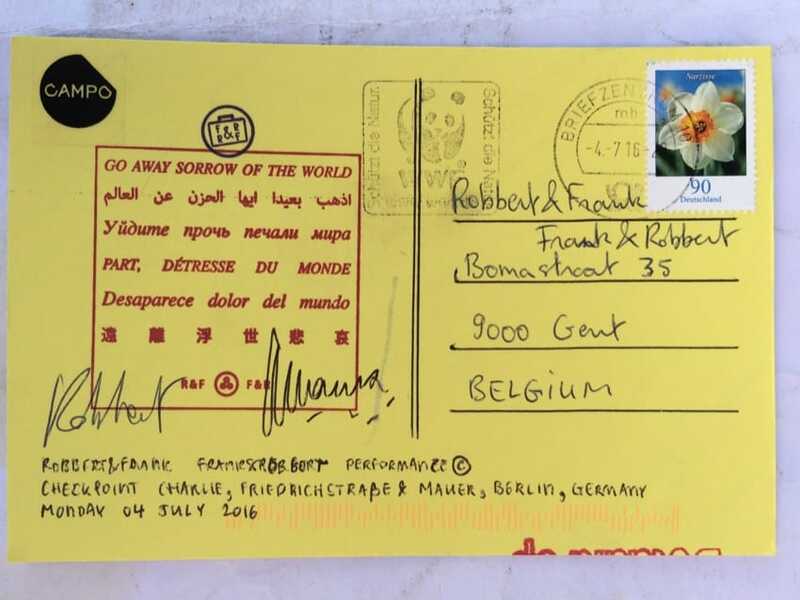 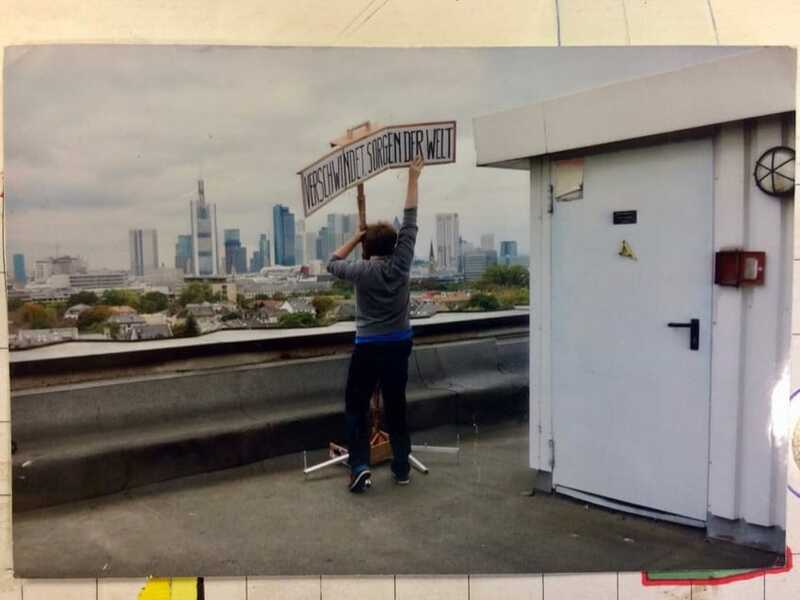 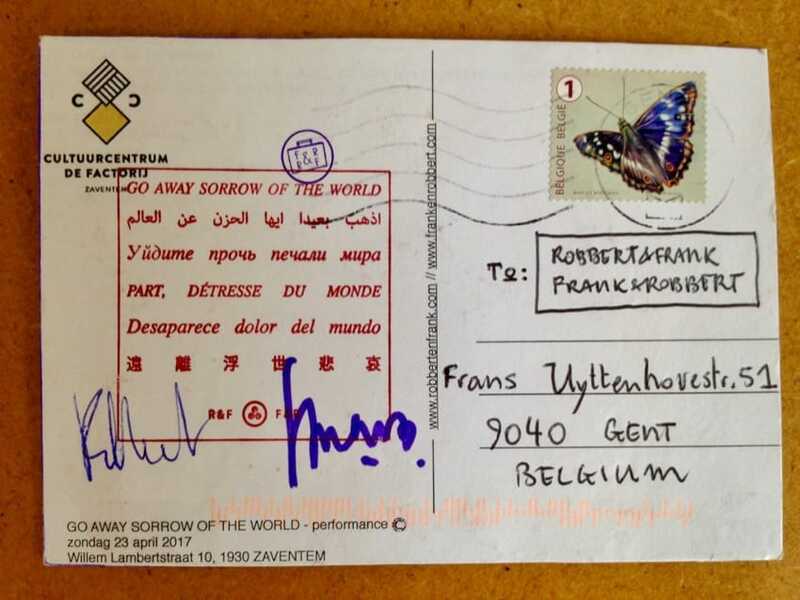 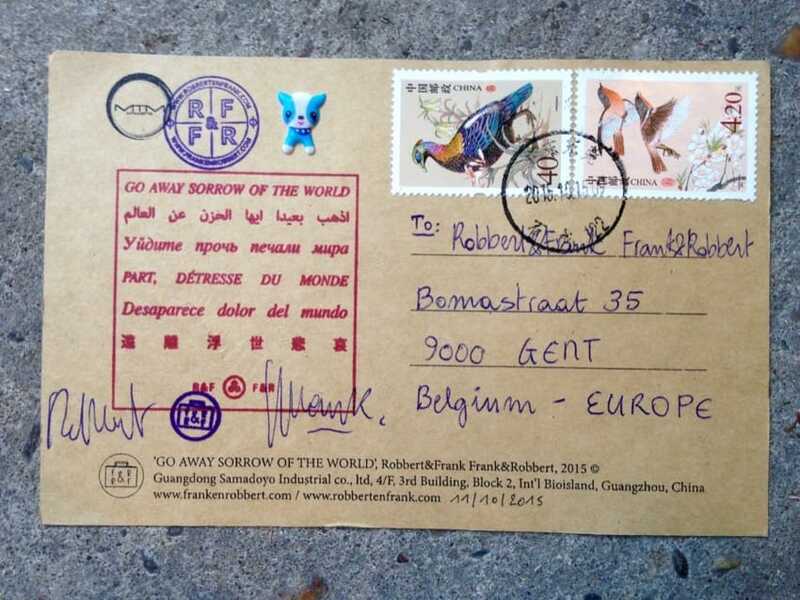 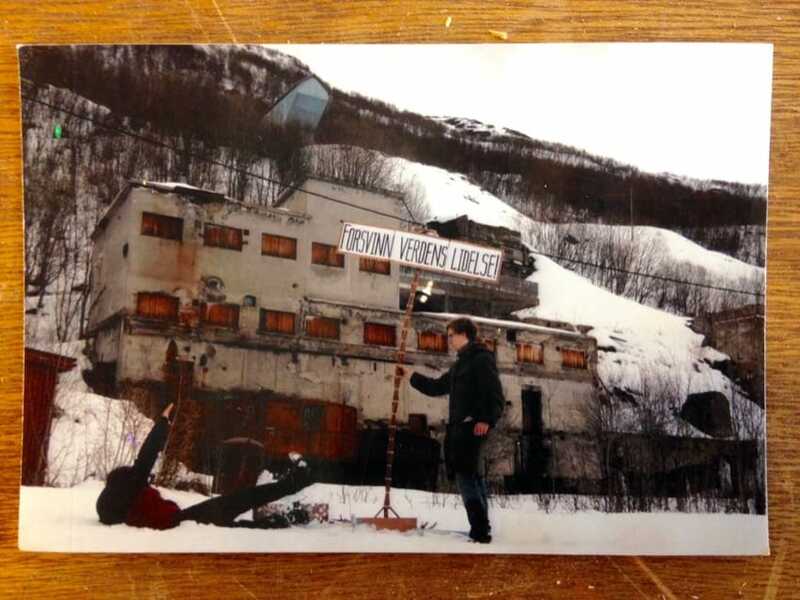 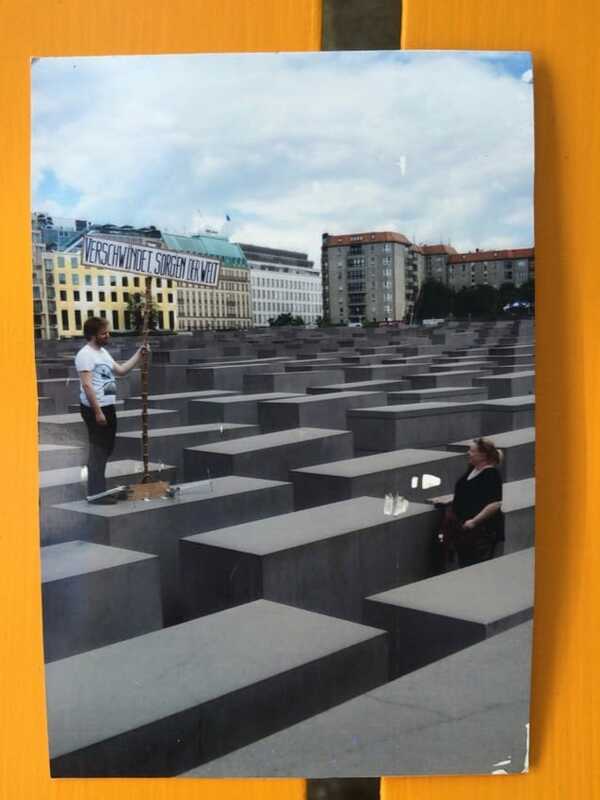 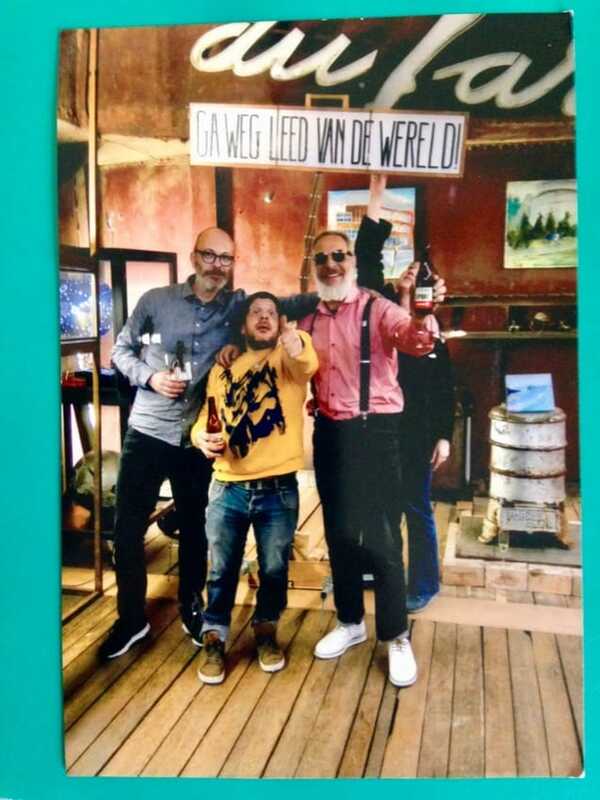 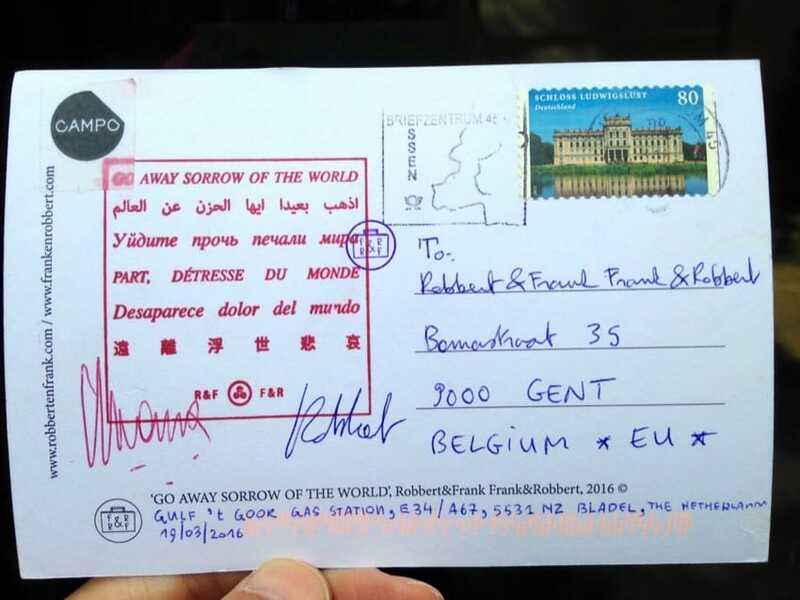 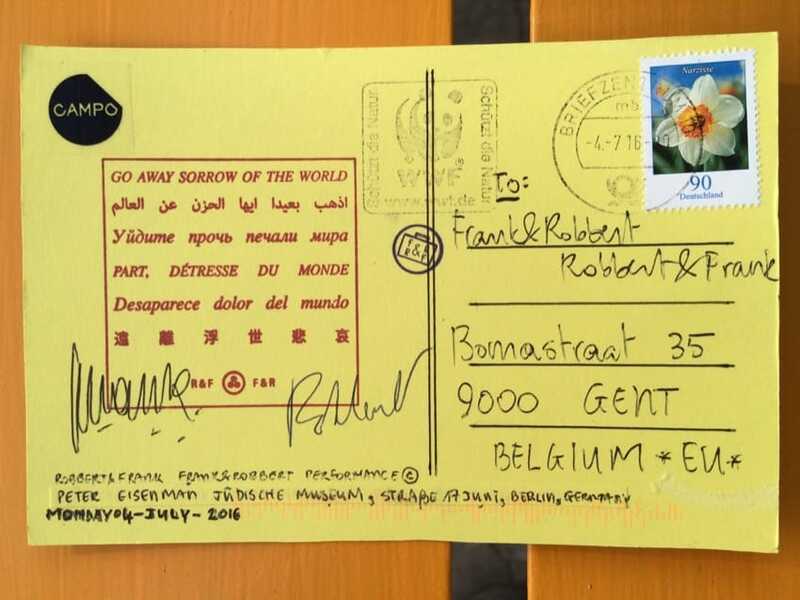 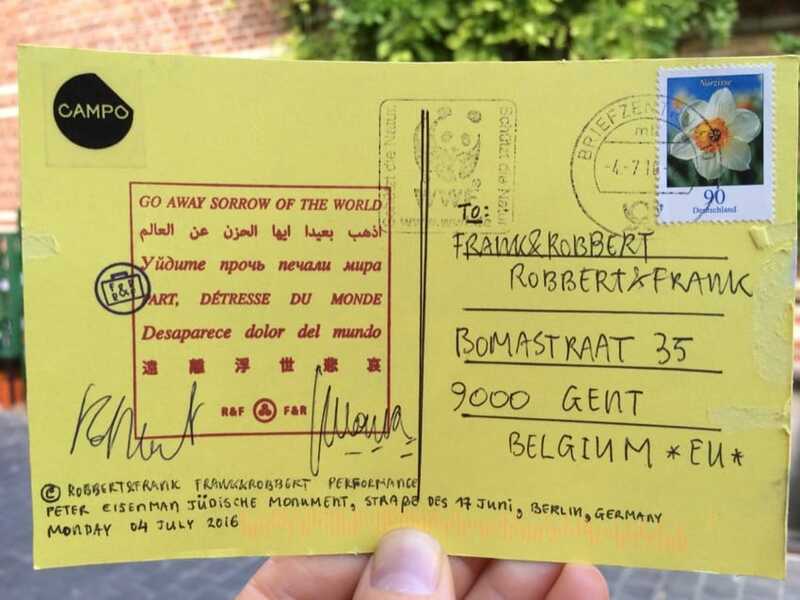 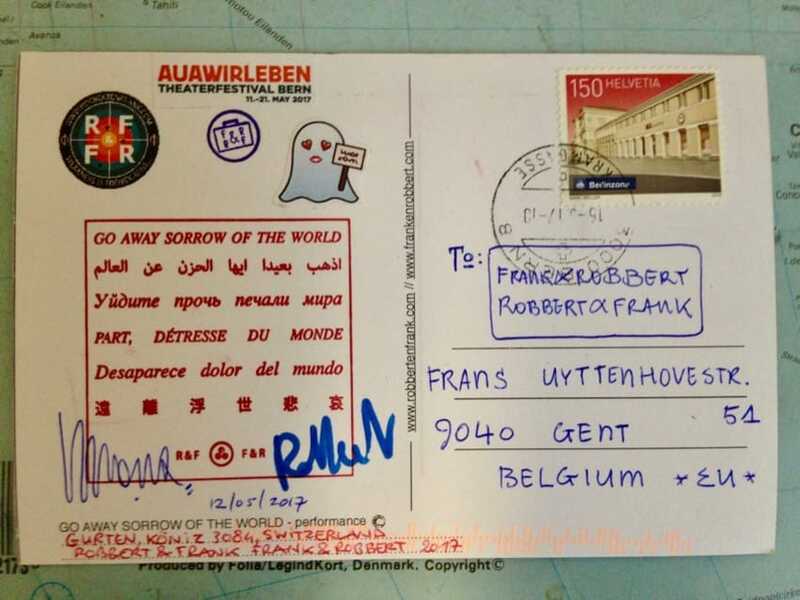 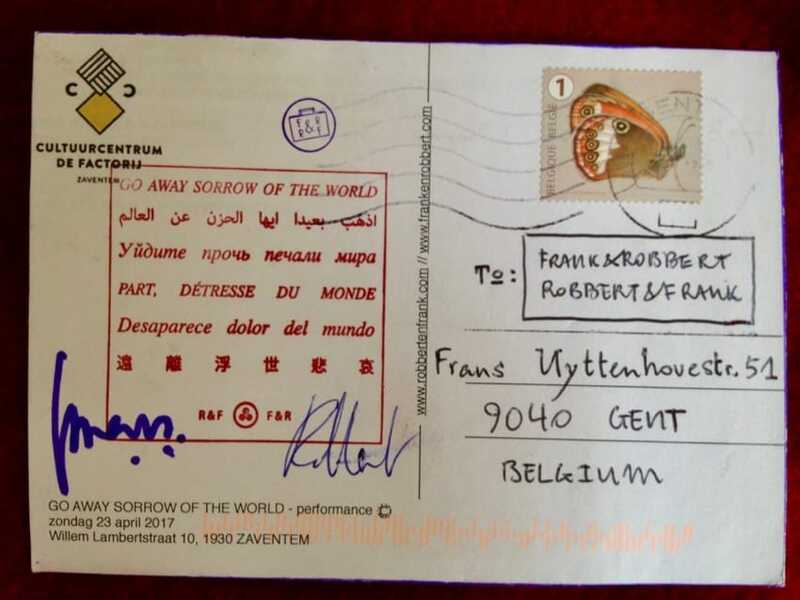 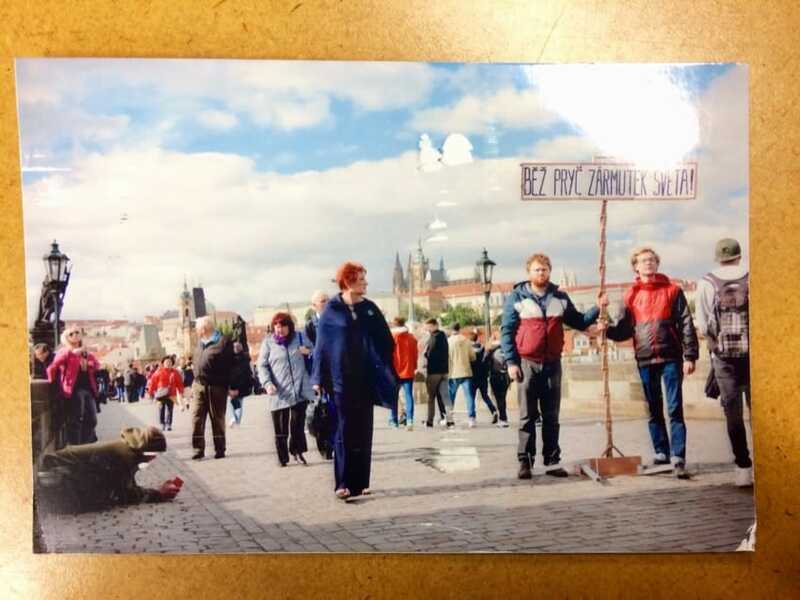 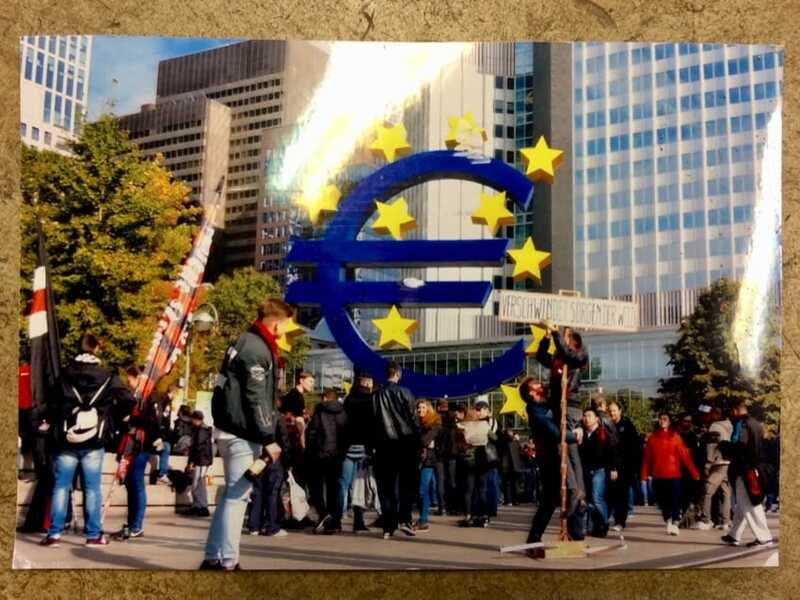 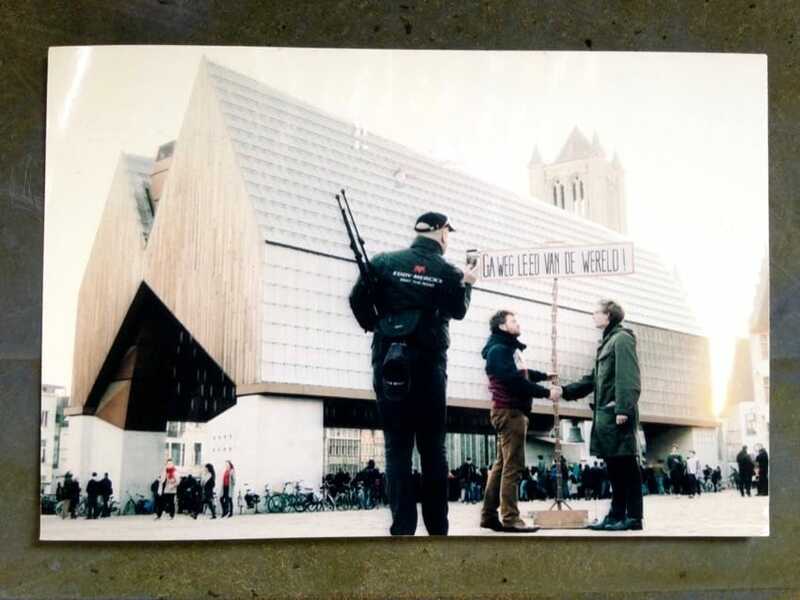 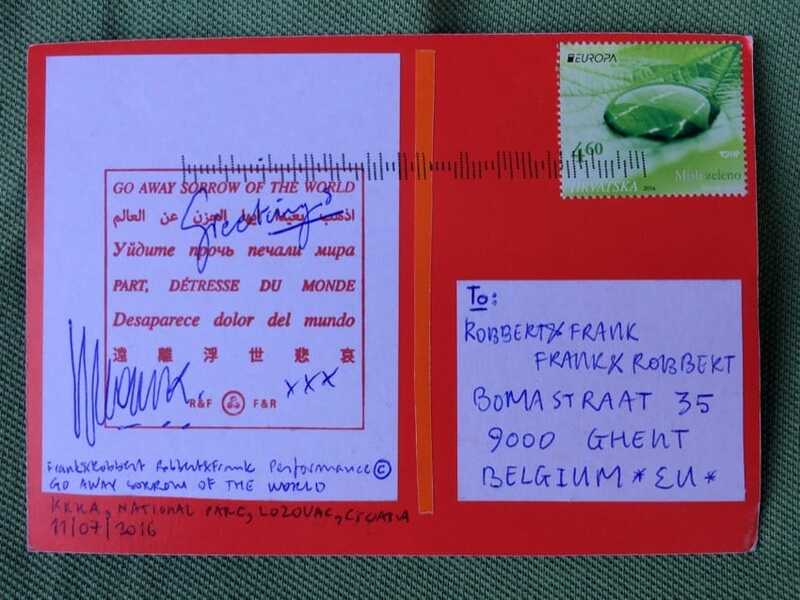 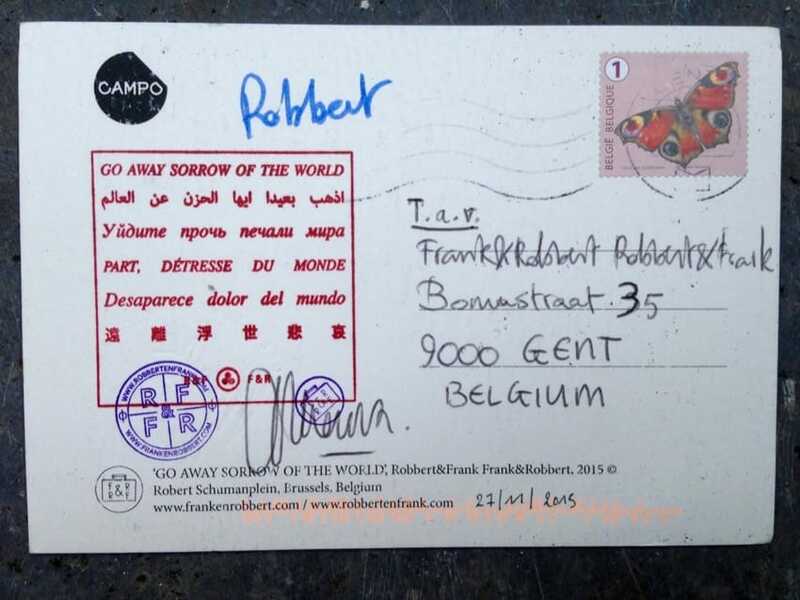 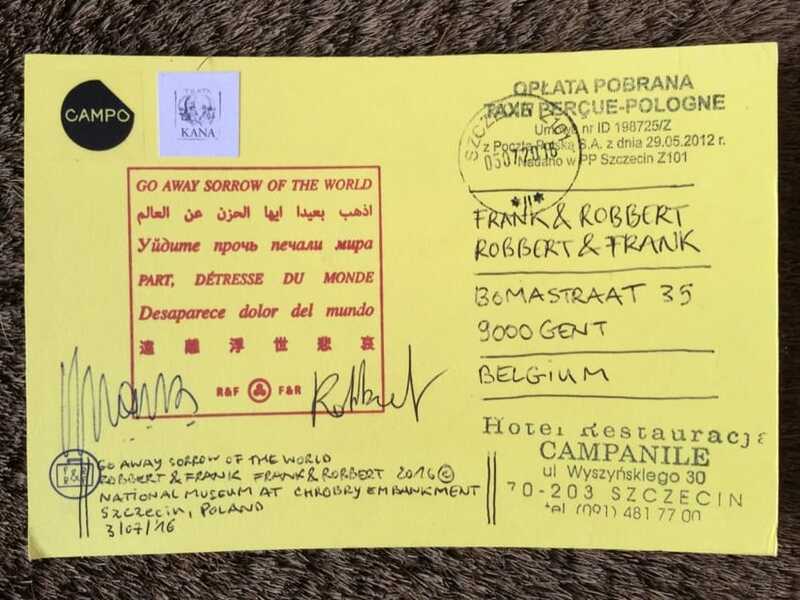 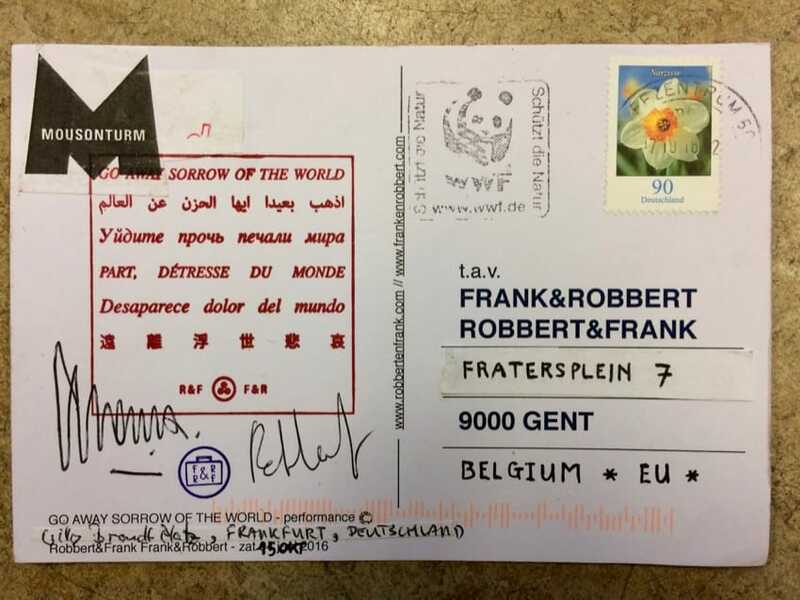 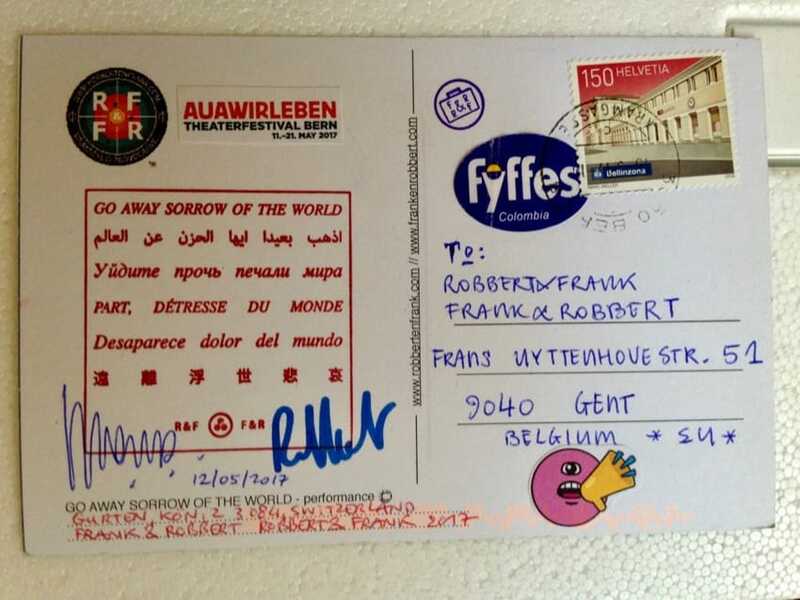 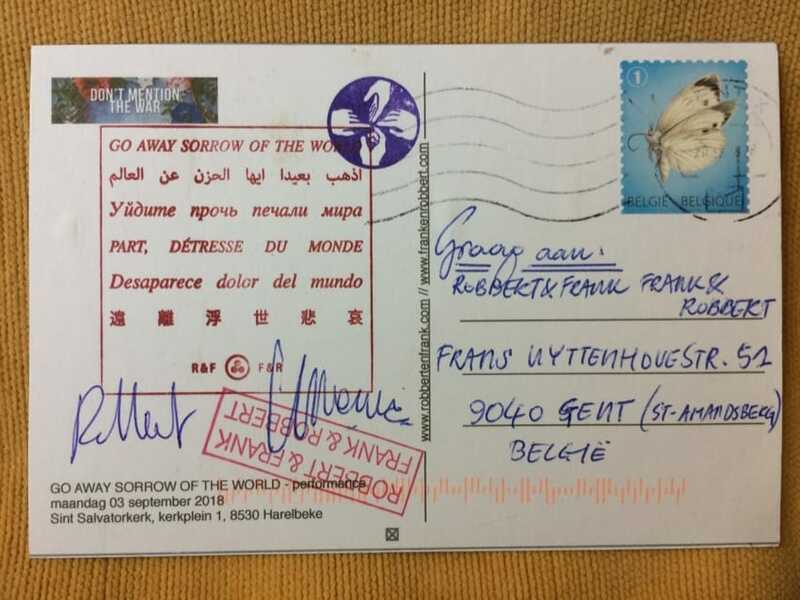 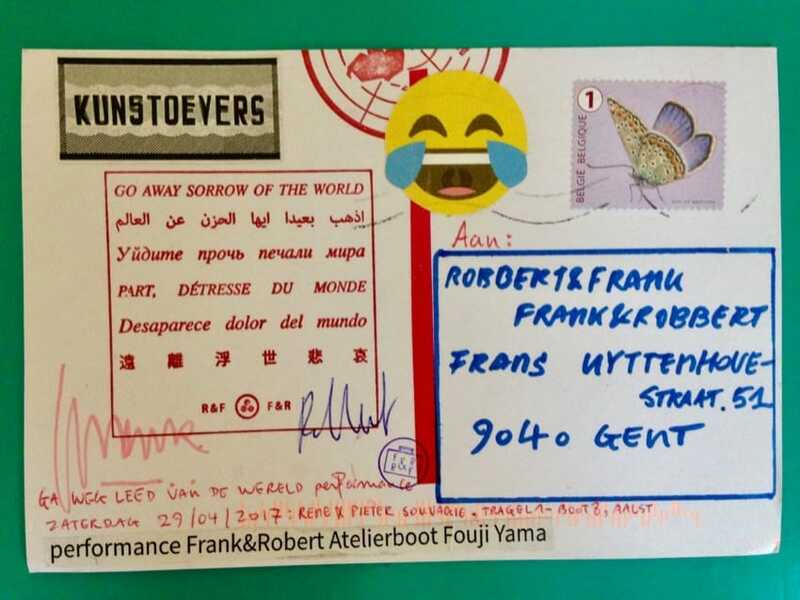 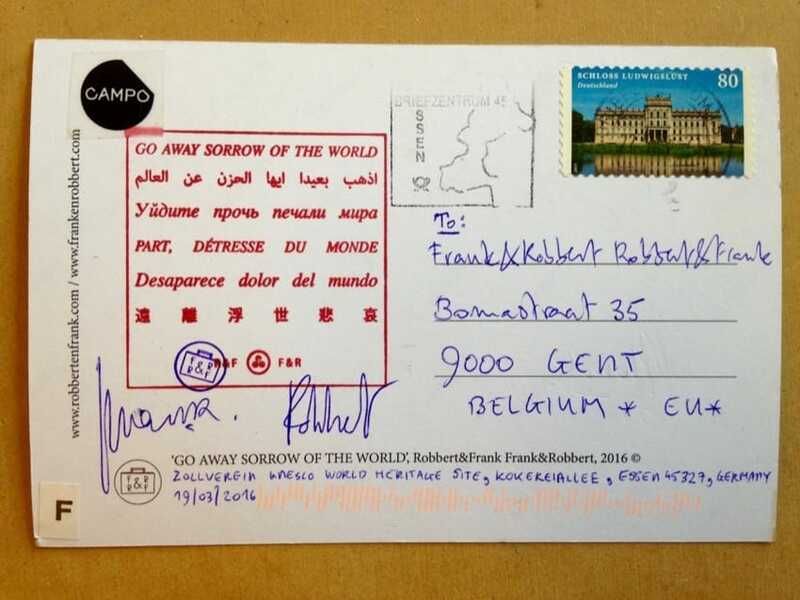 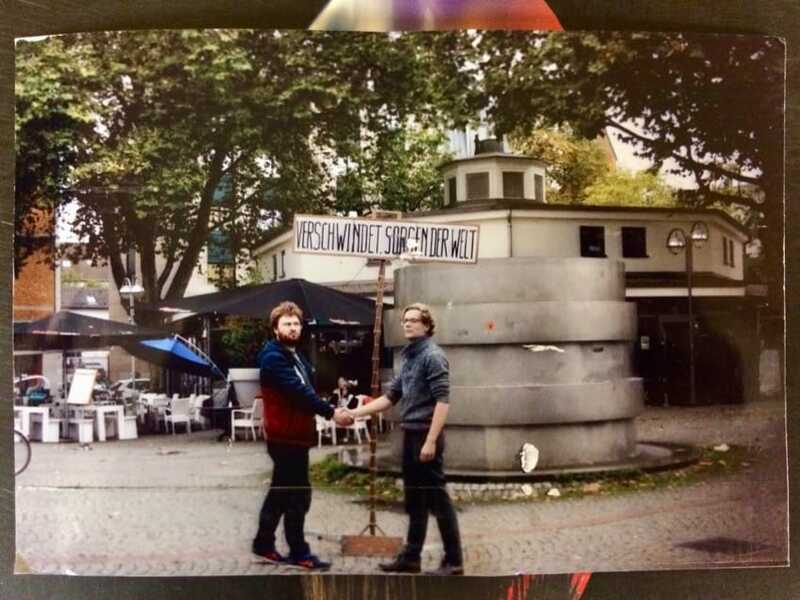 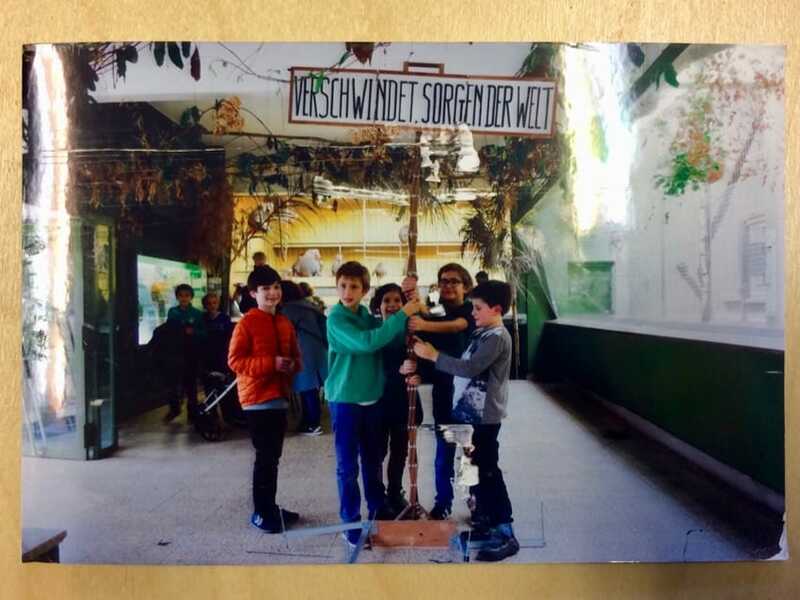 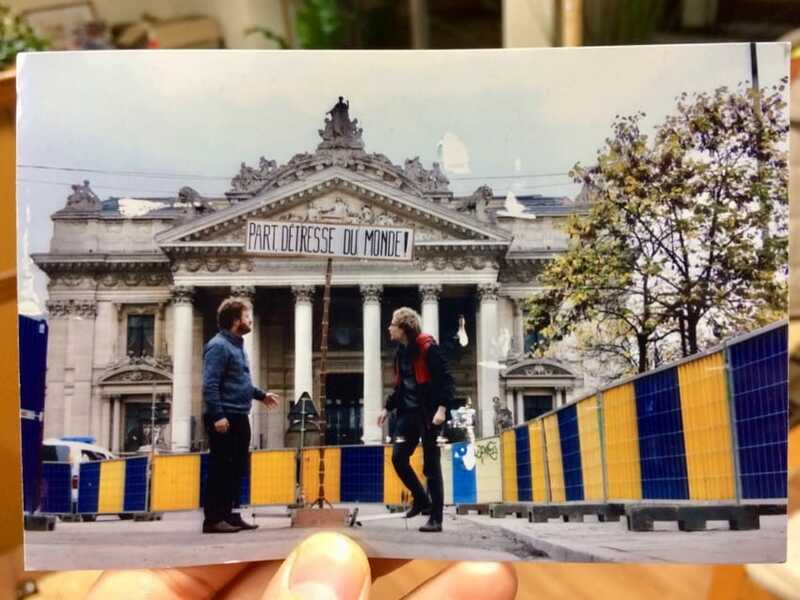 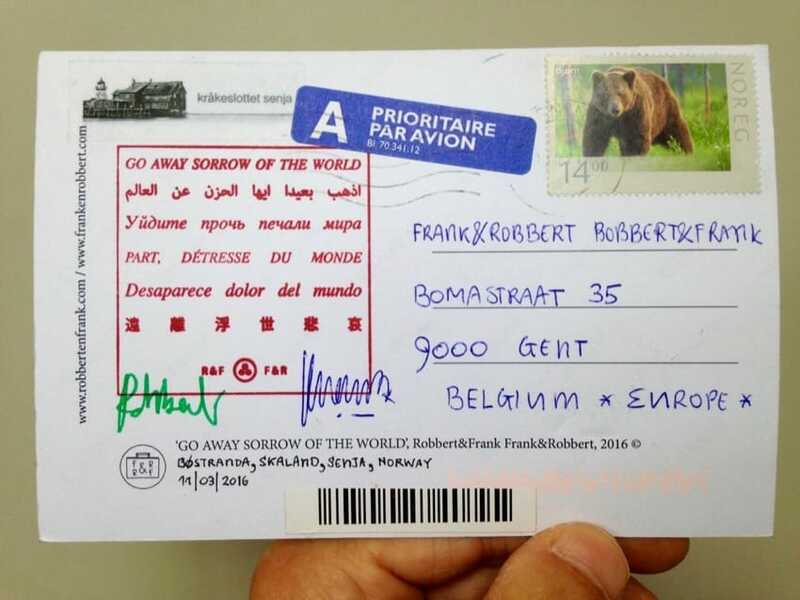 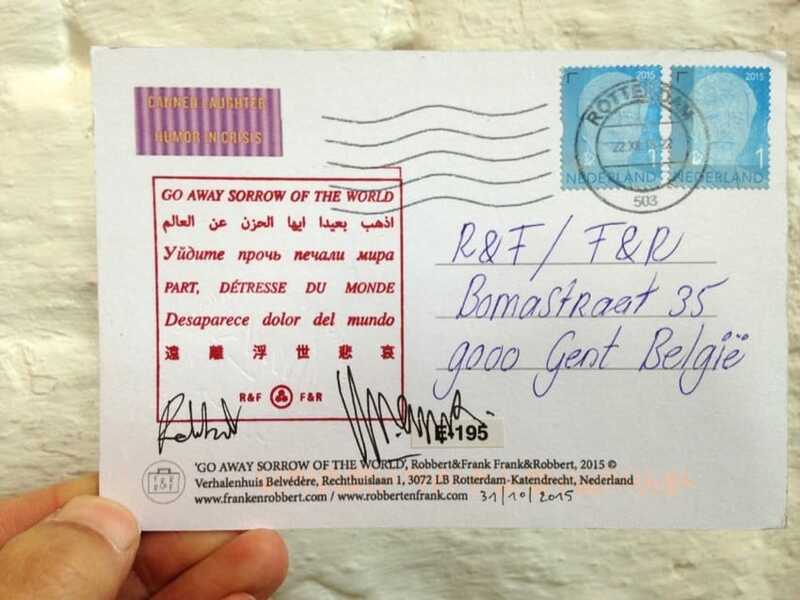 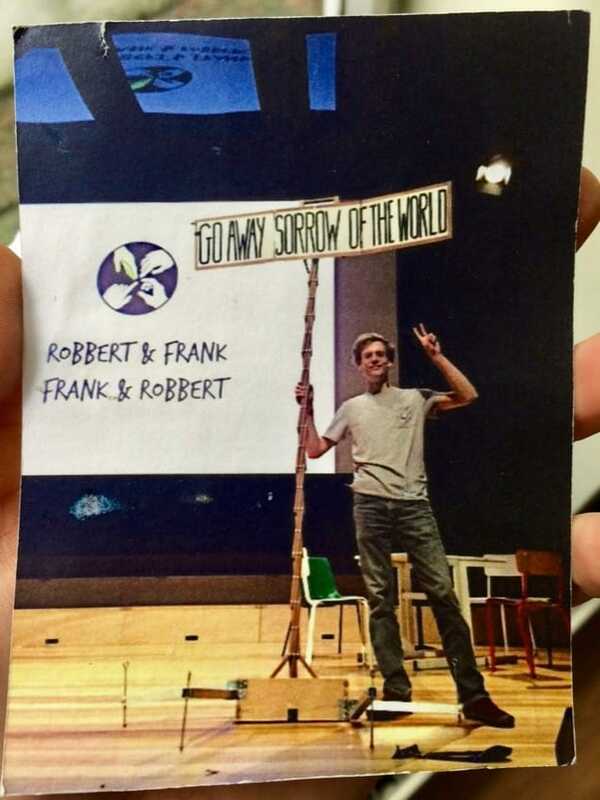 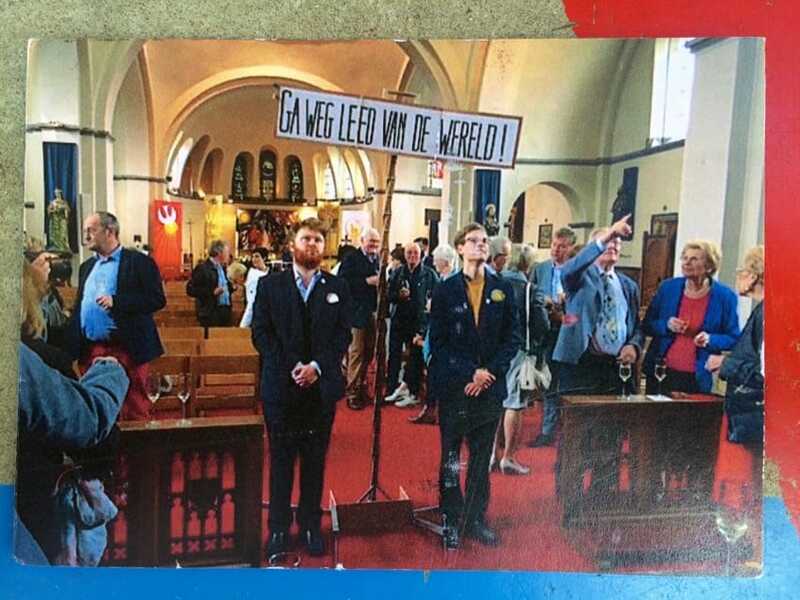 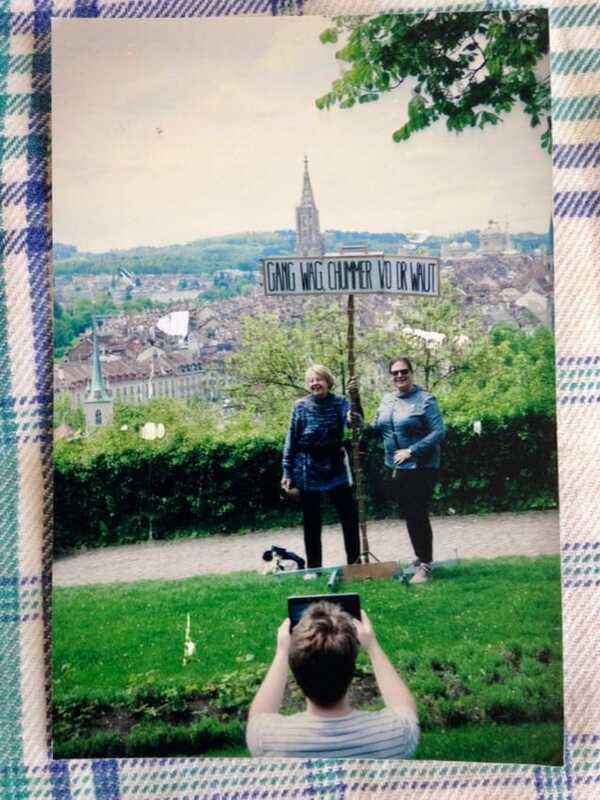 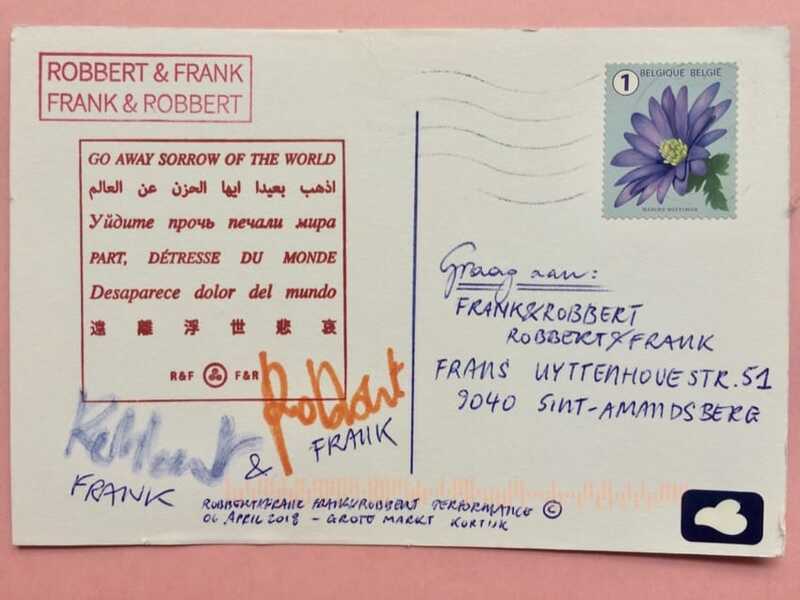 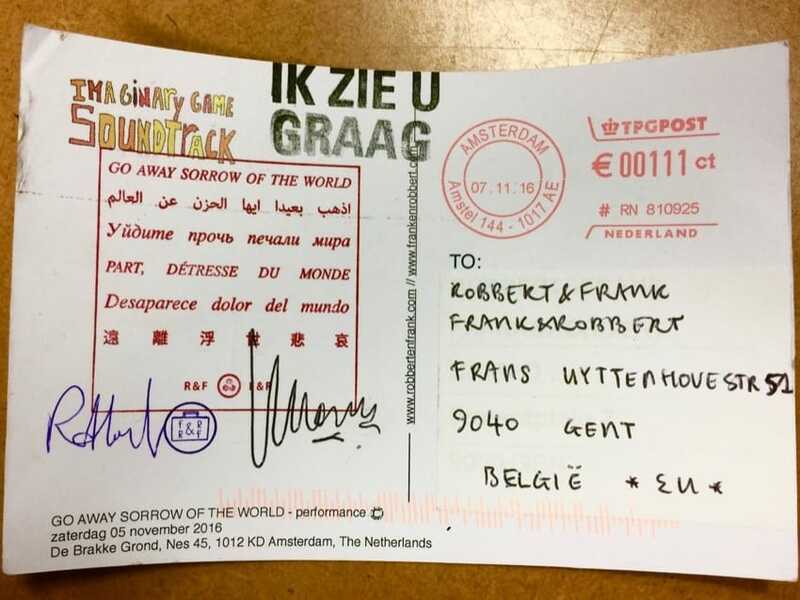 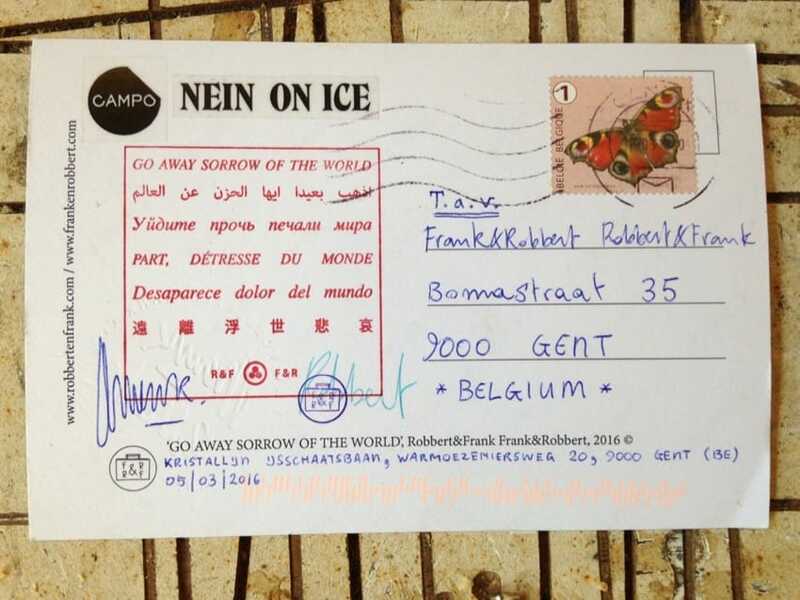 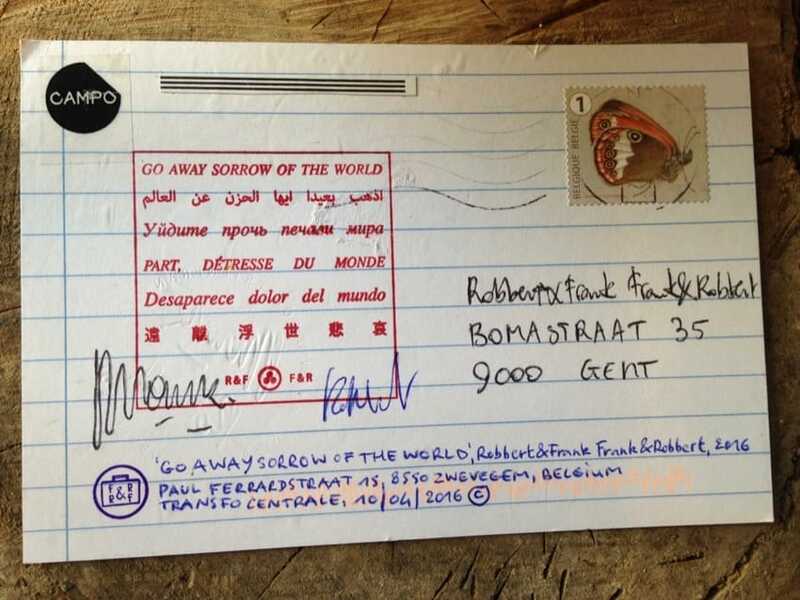 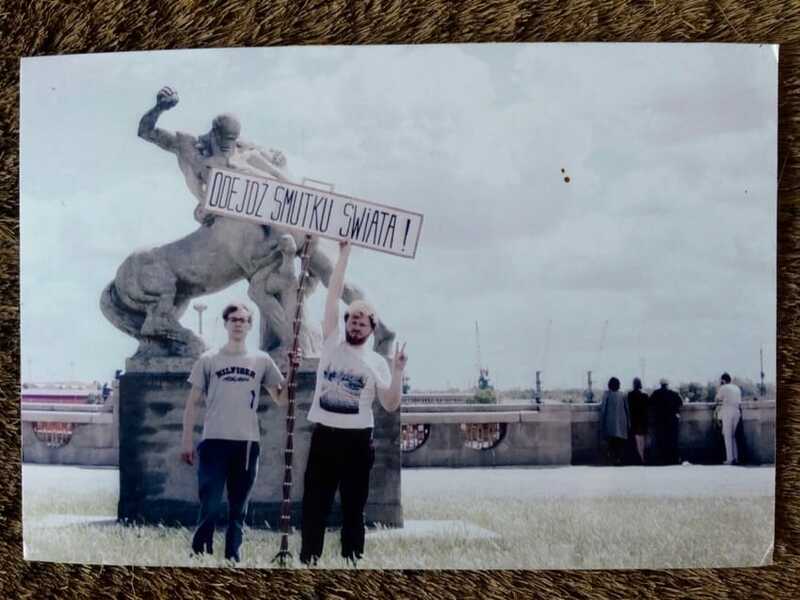 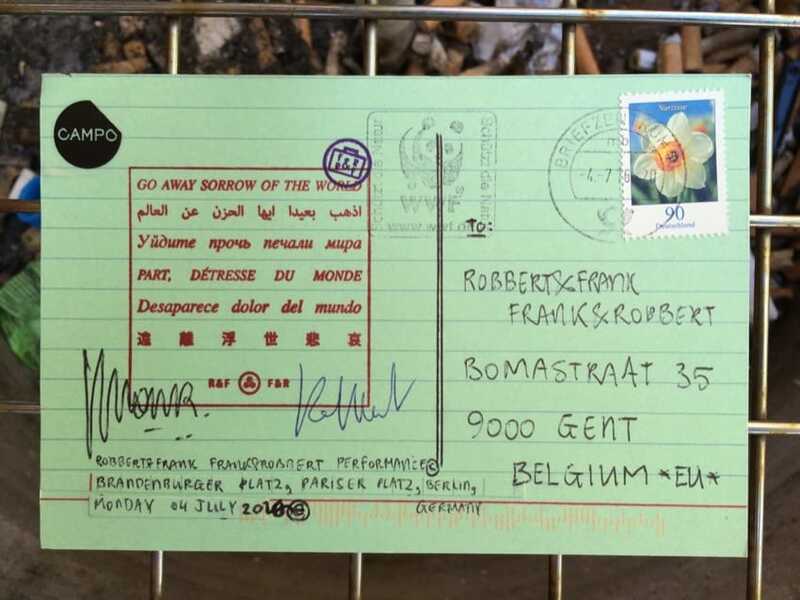 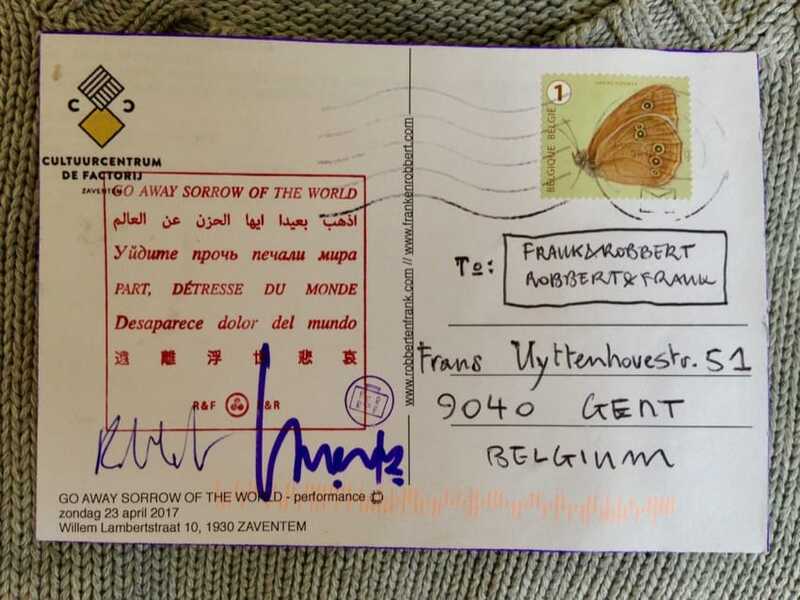 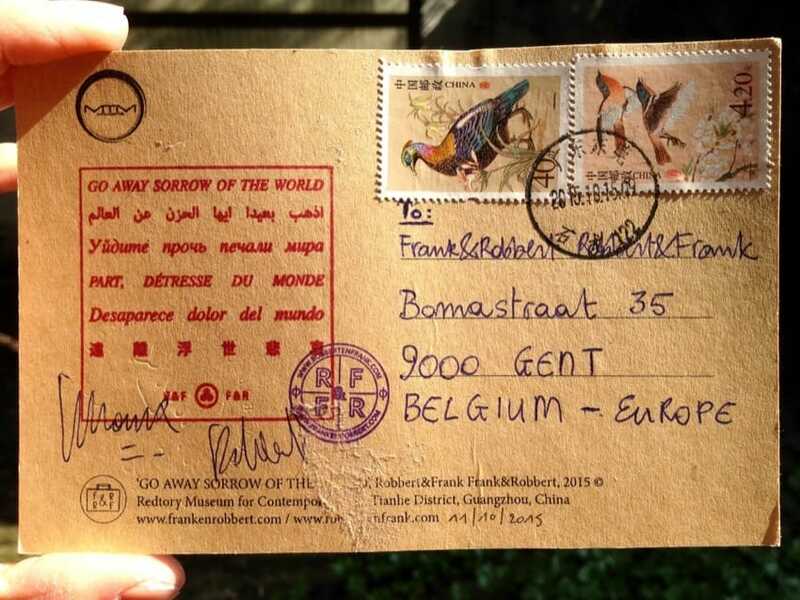 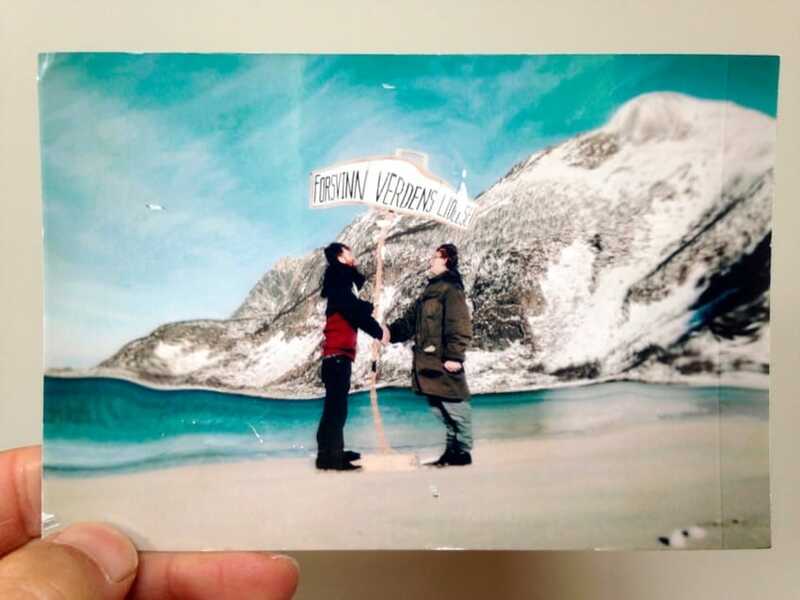 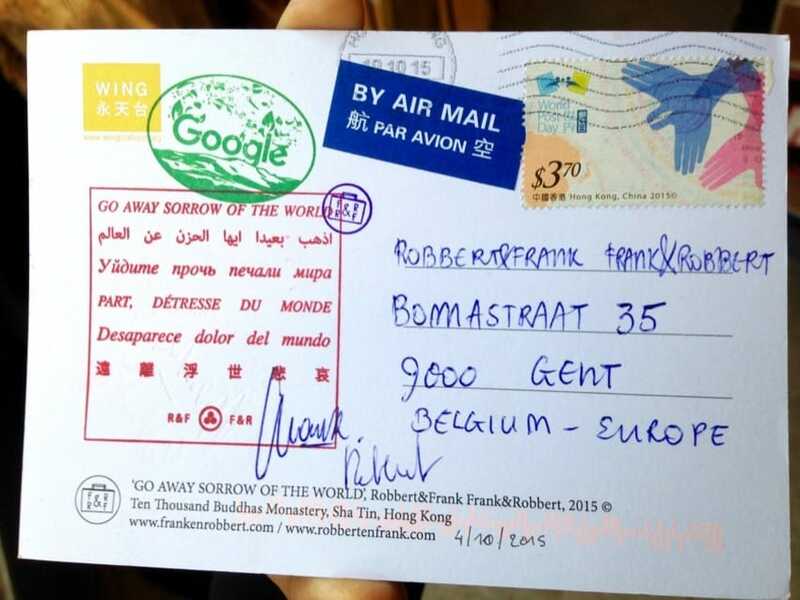 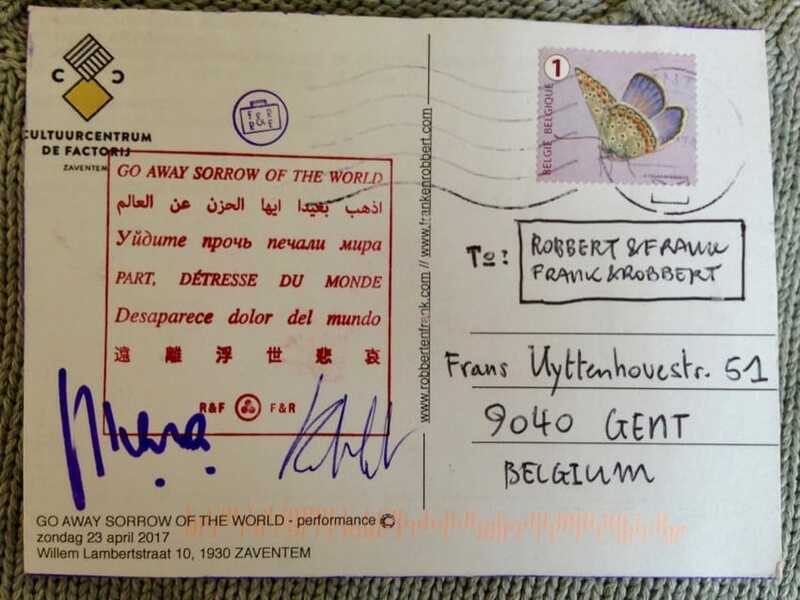 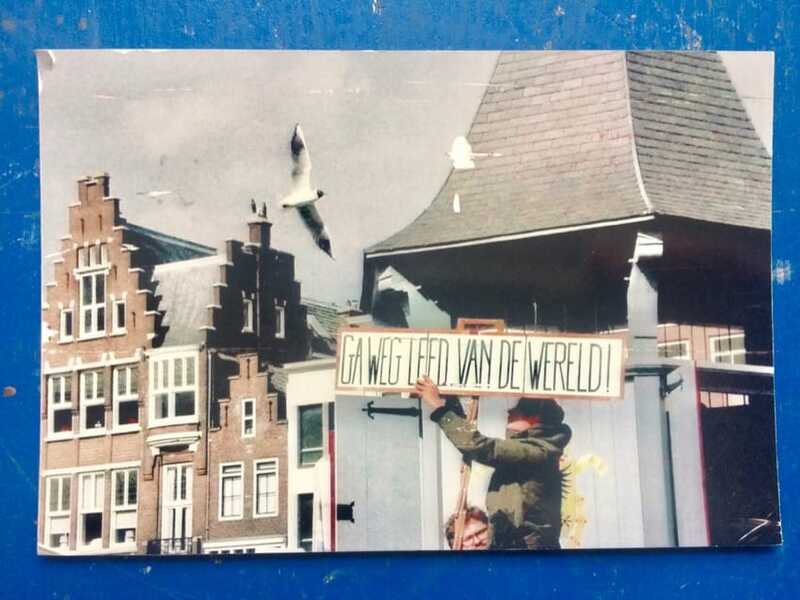 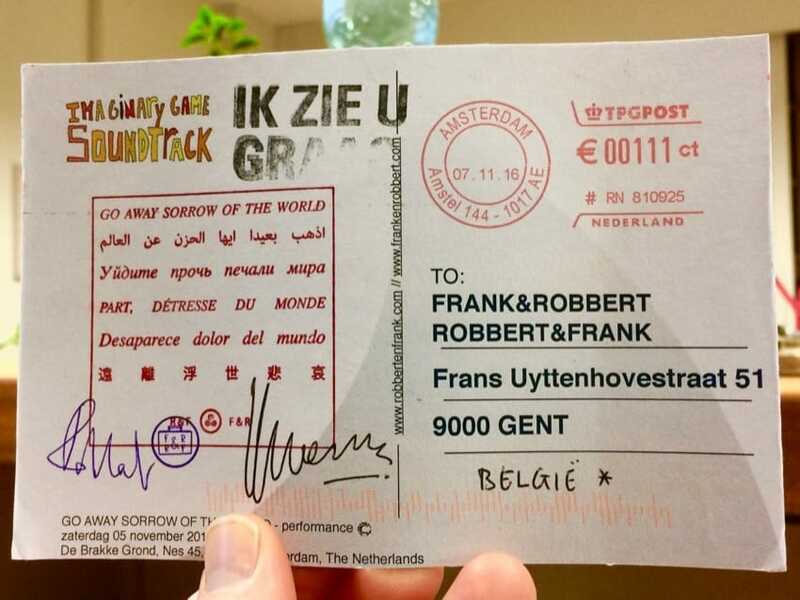 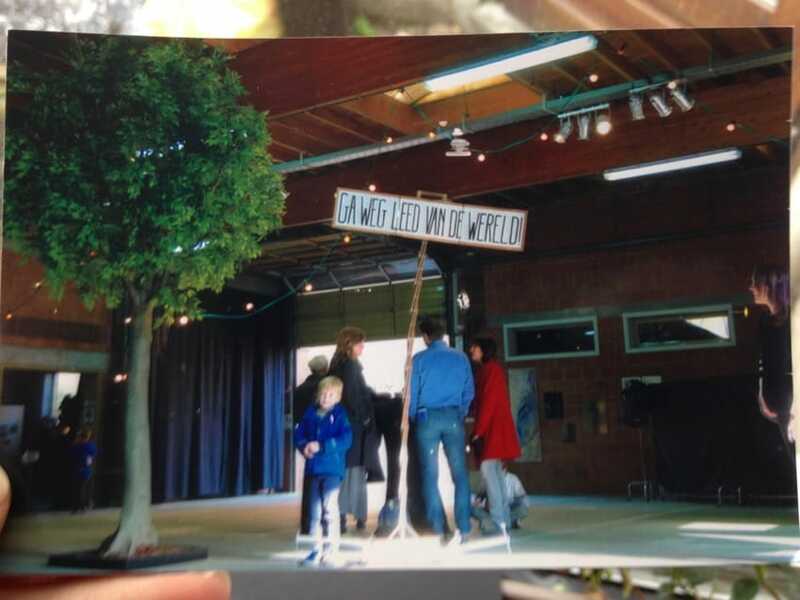 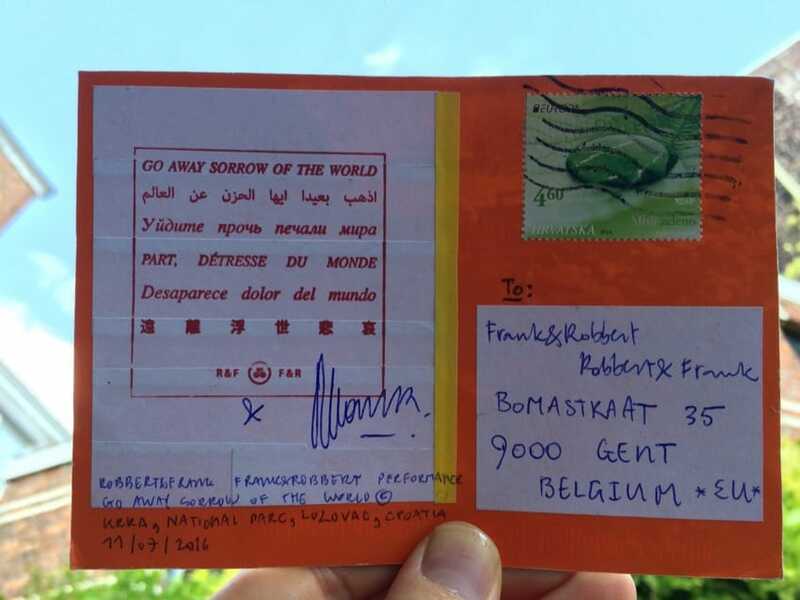 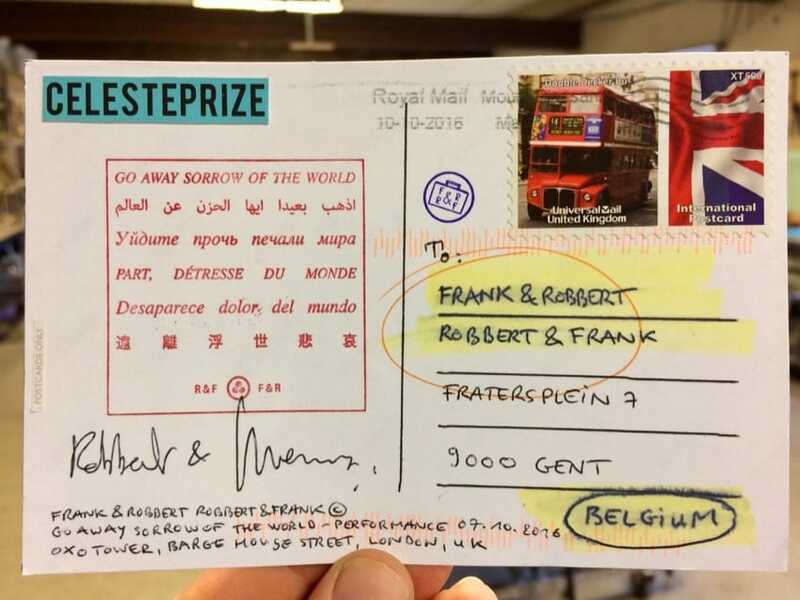 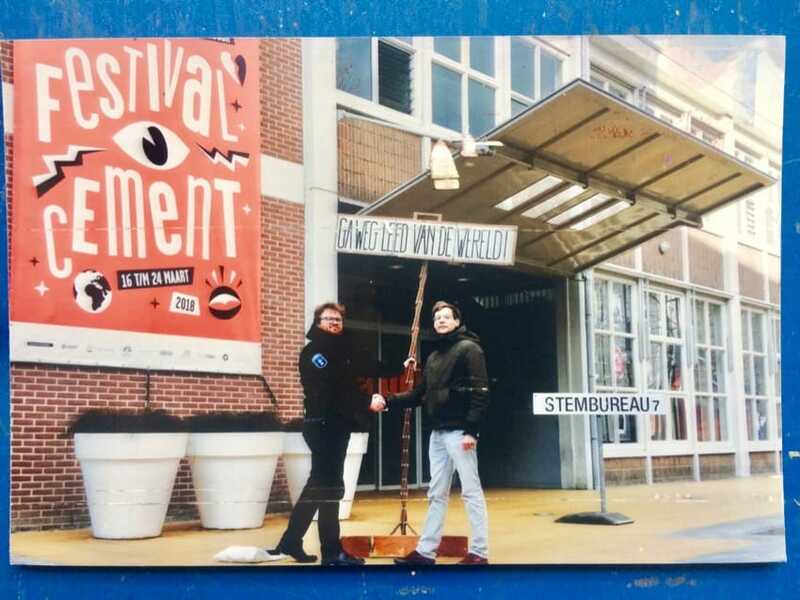 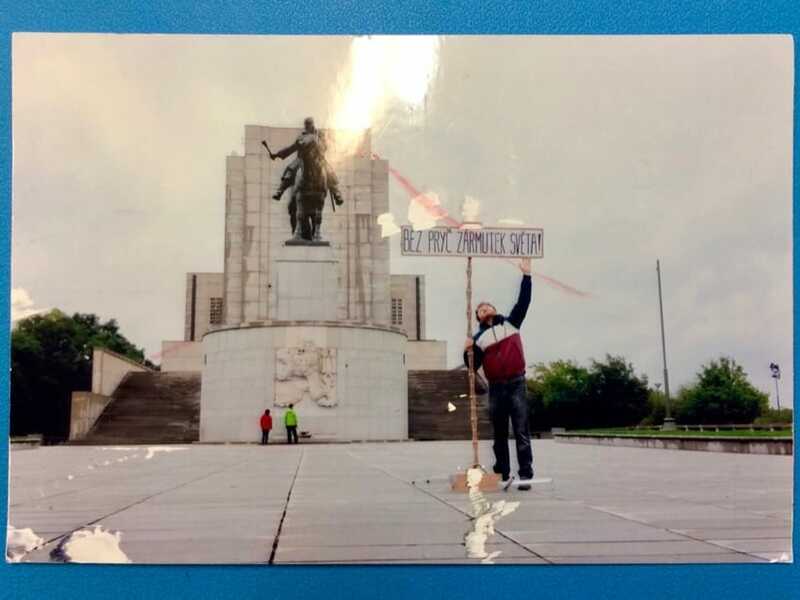 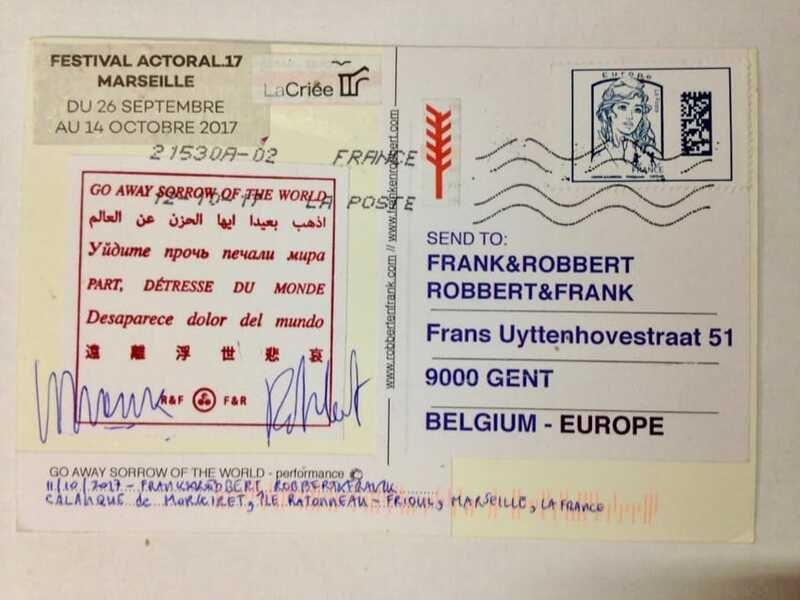 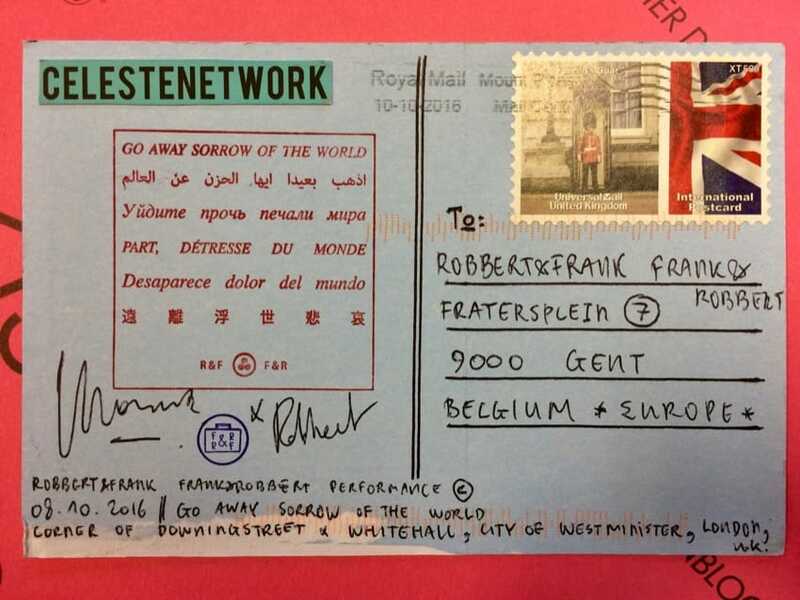 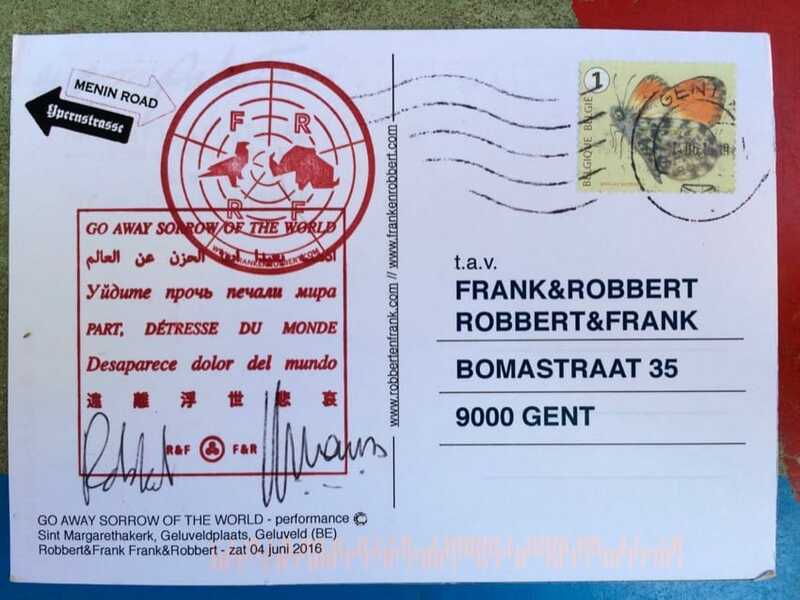 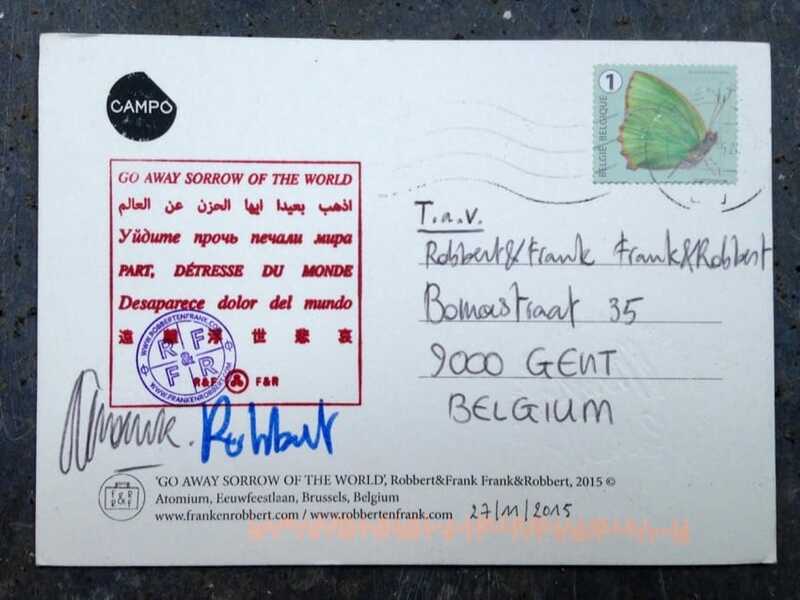 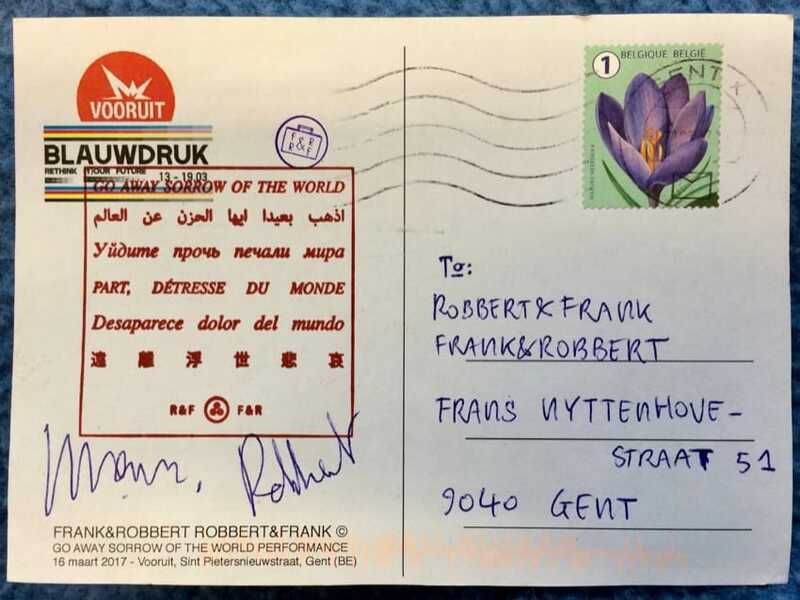 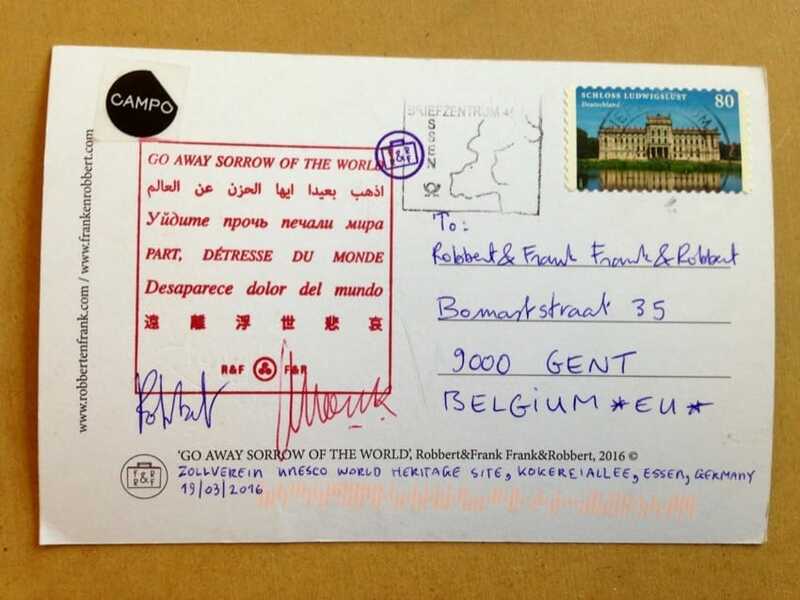 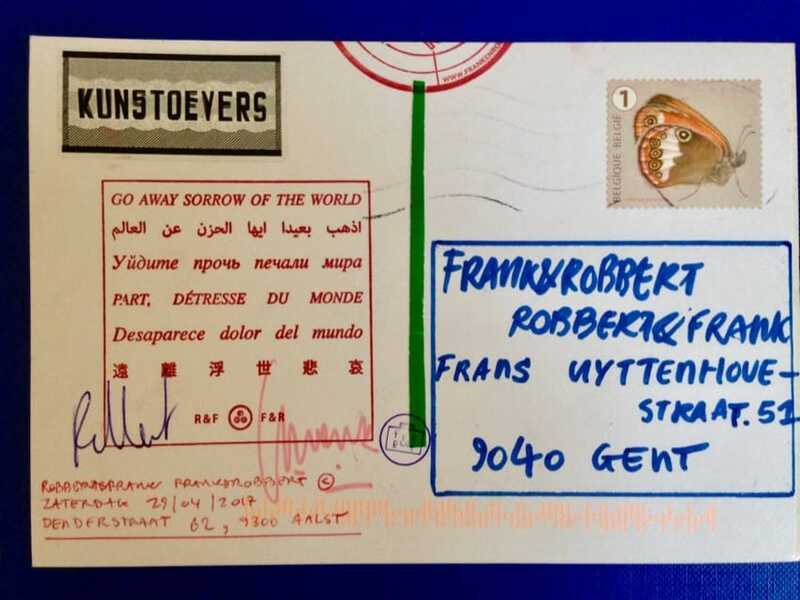 In this photo blog you can follow Robbert&Frank Frank&Robbert as they travel around the globe 🌍 to spread their message 'GO AWAY SORROW OF THE WORLD'. 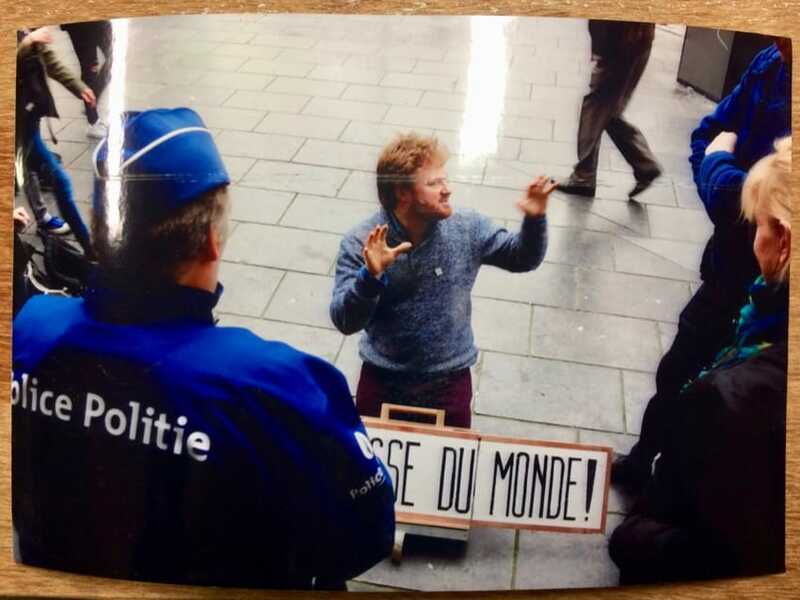 With a little wooden suitcase 💼 as their only weapon they try to make the world a better place. 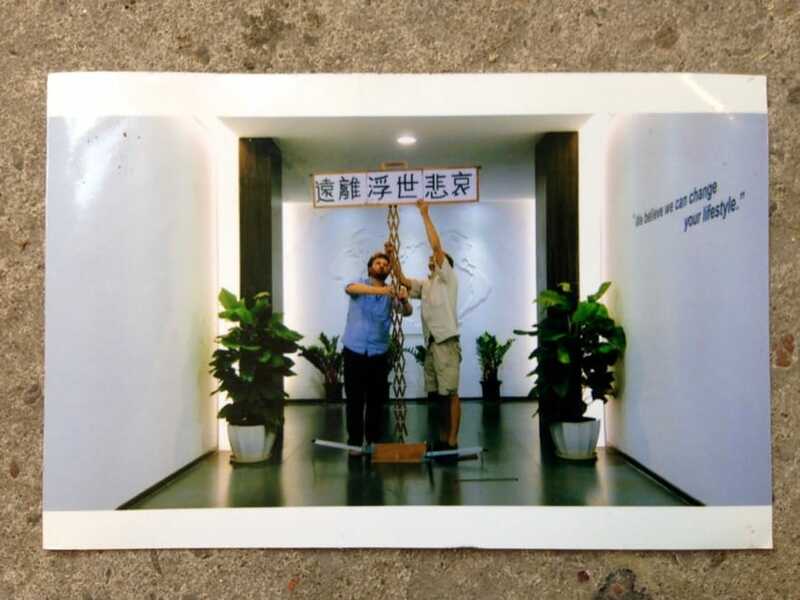 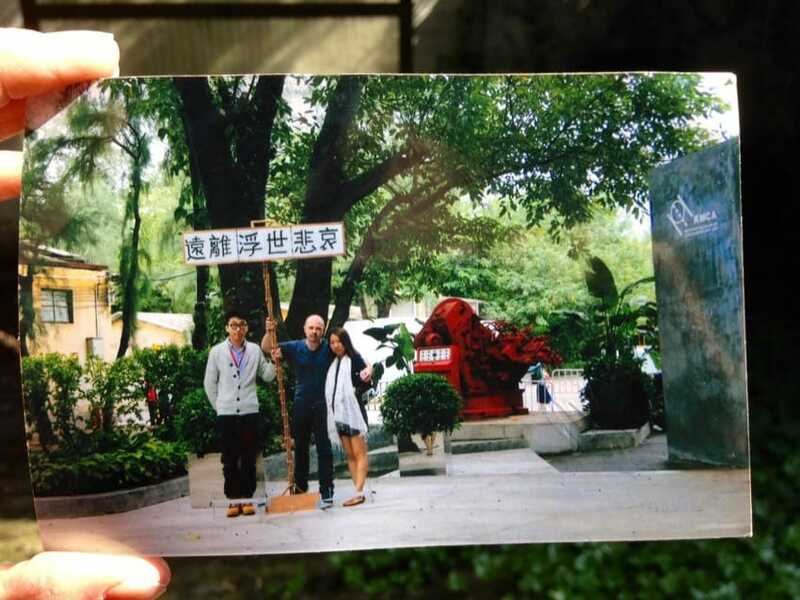 Each time they present their suitcase the message is translated in the local language. 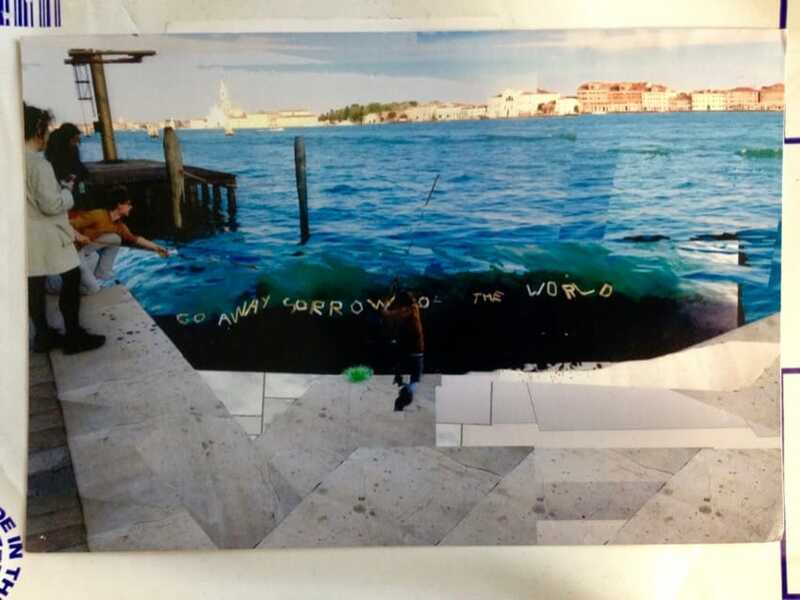 Whenever they unfold their suitcase and someone (or something) reads the message, or even thinks the message, a vibration 💫 is send into the universe. 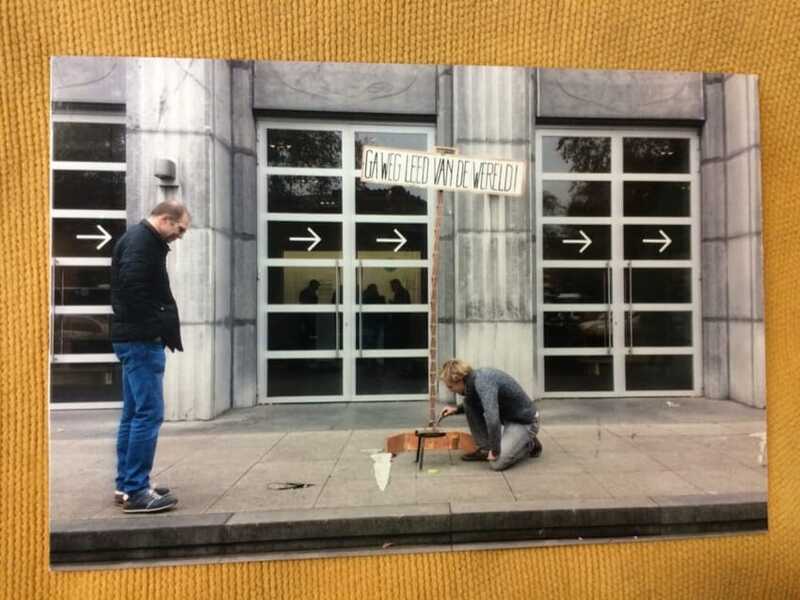 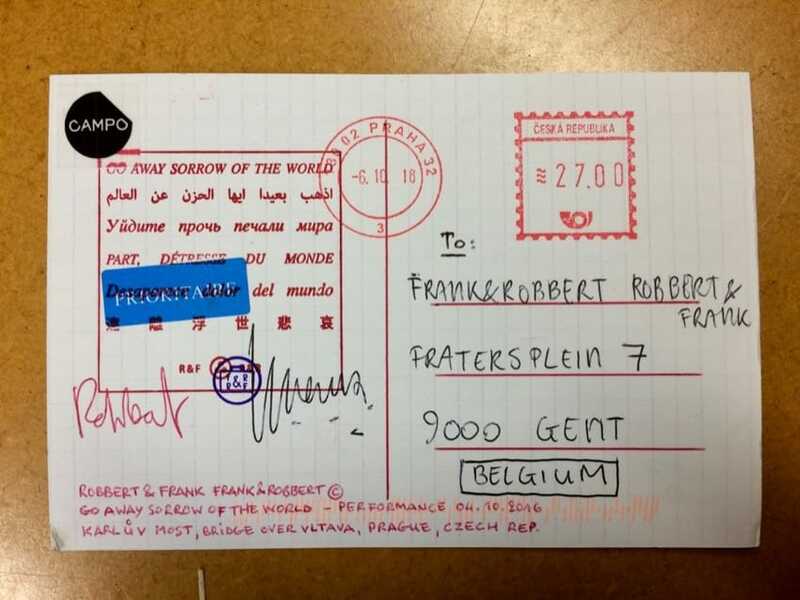 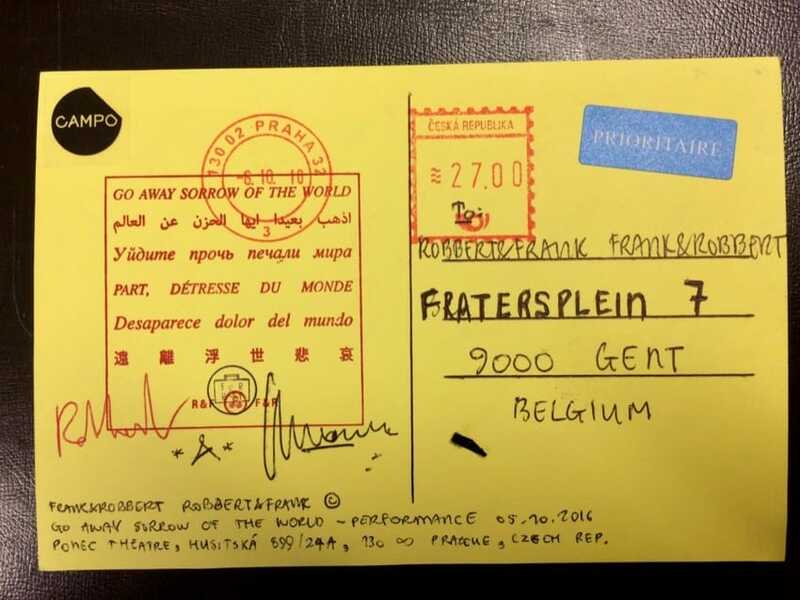 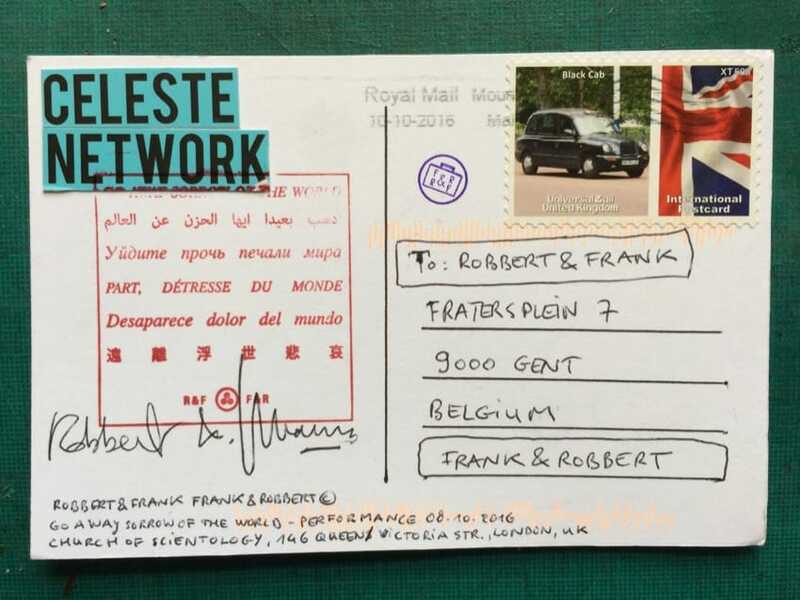 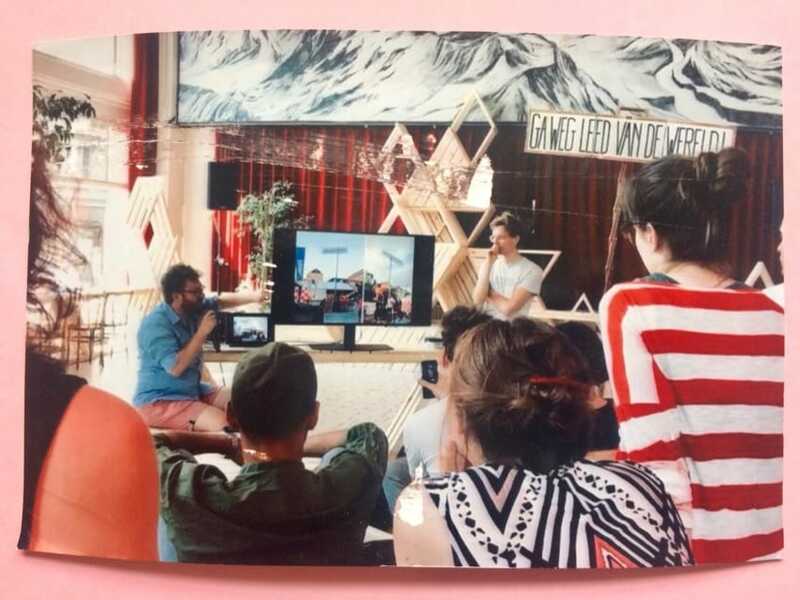 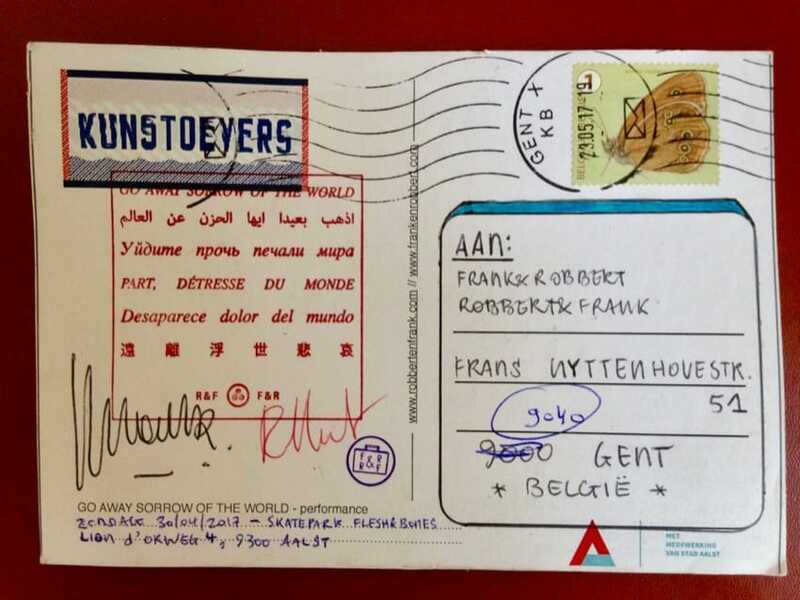 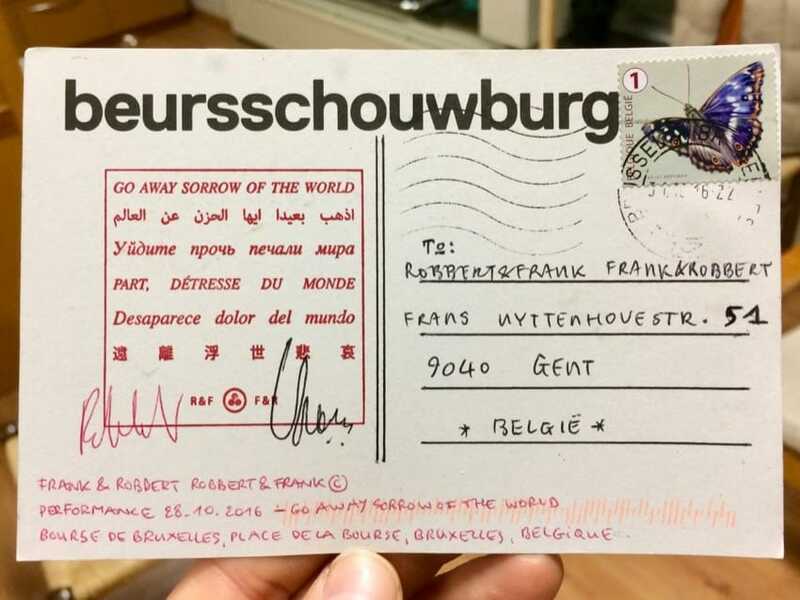 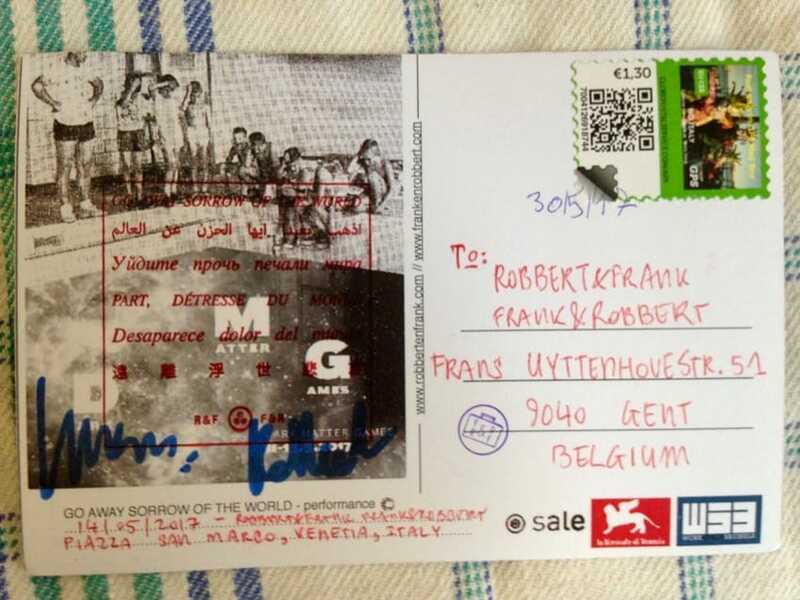 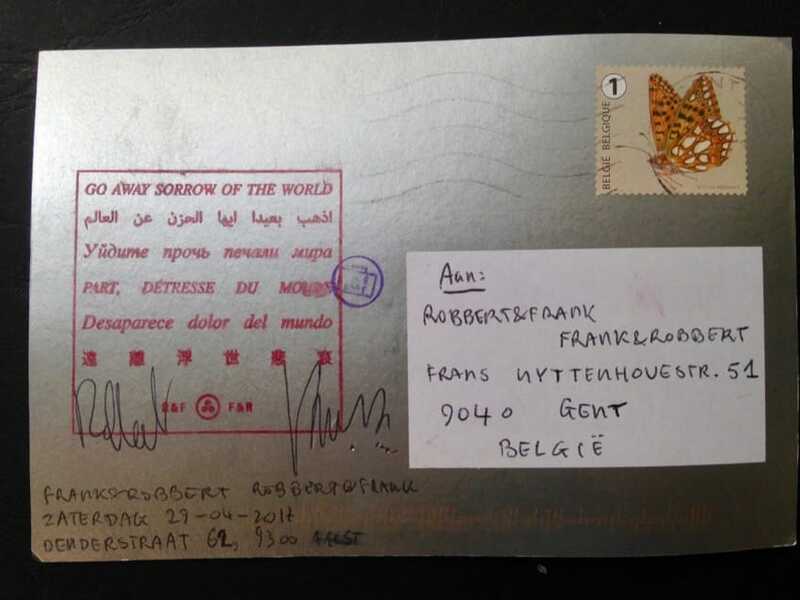 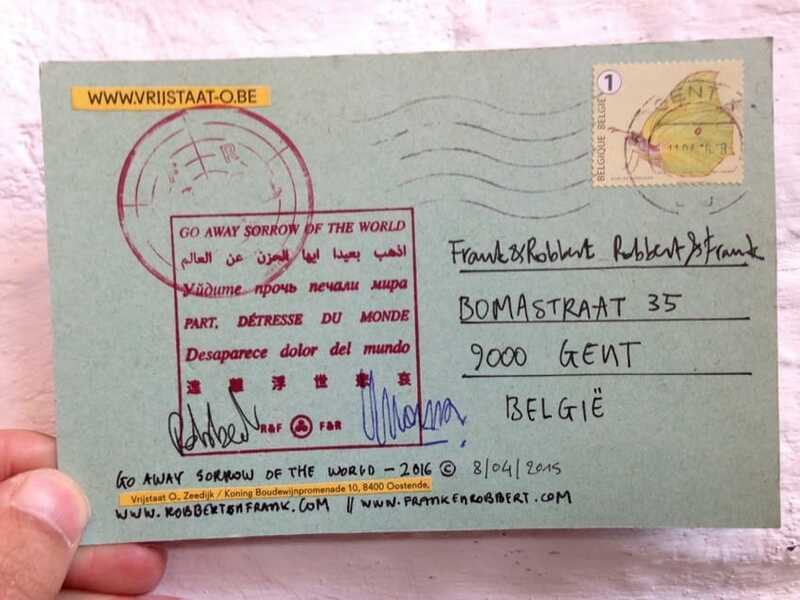 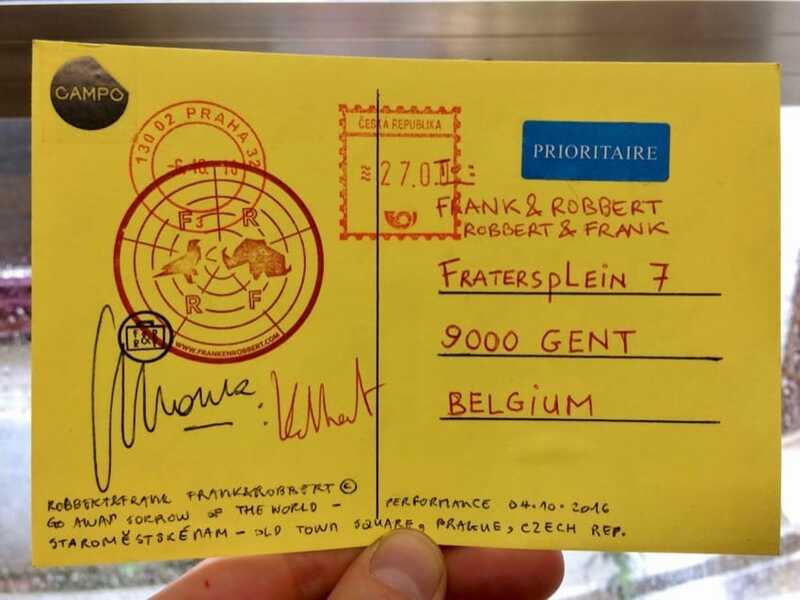 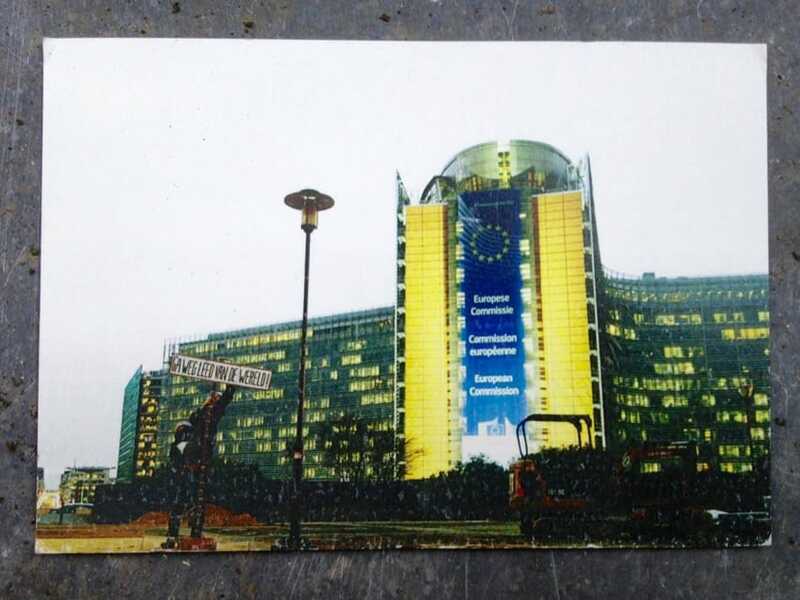 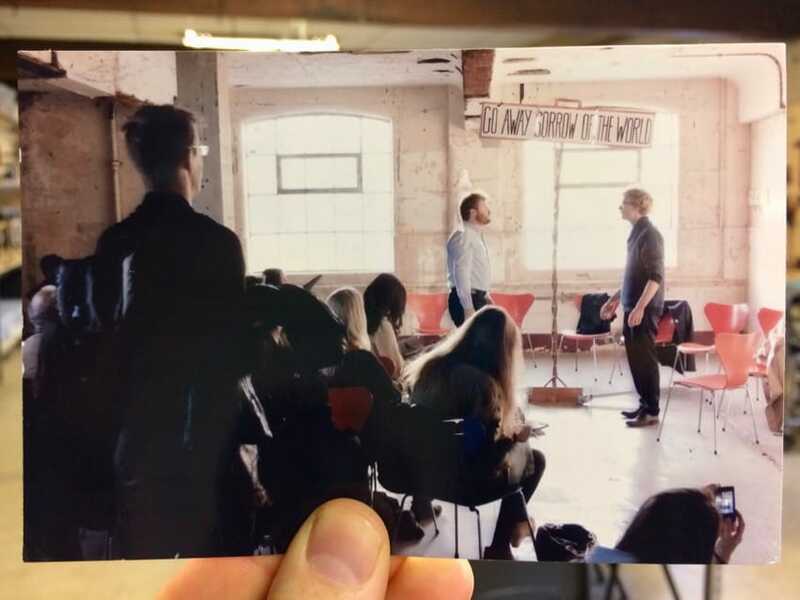 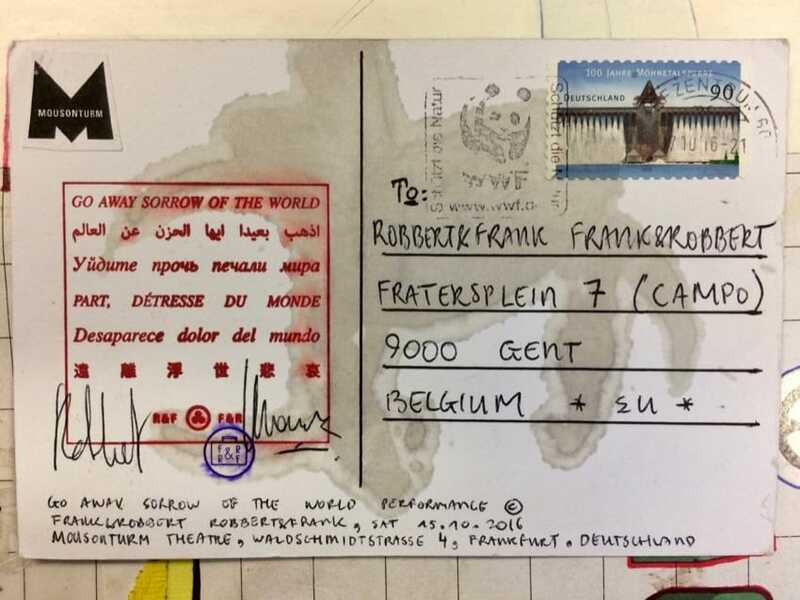 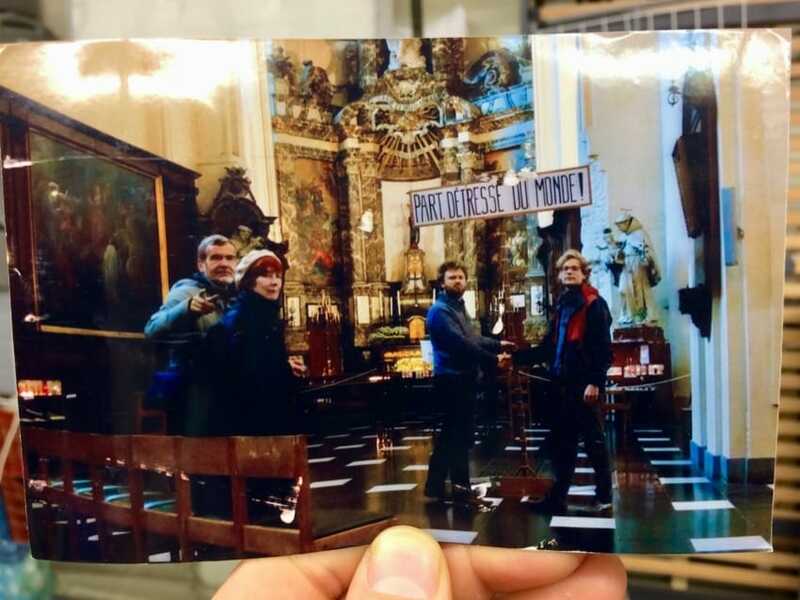 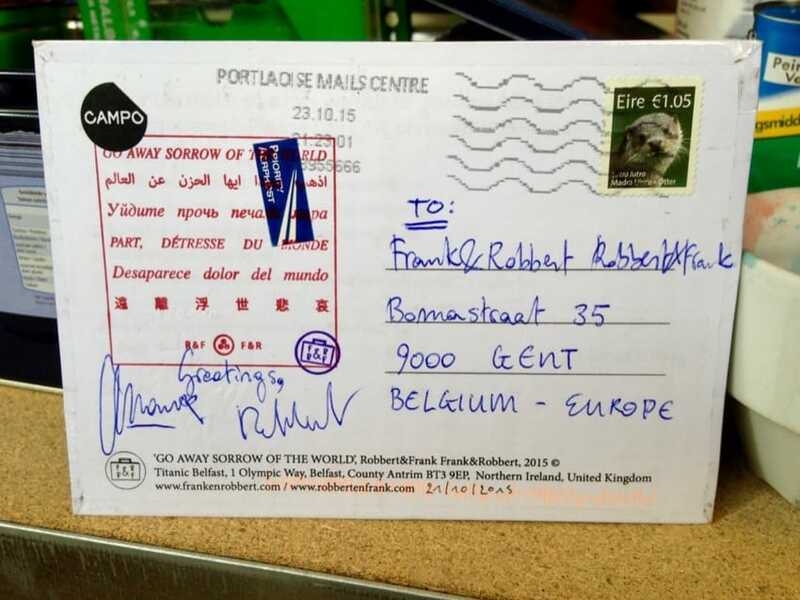 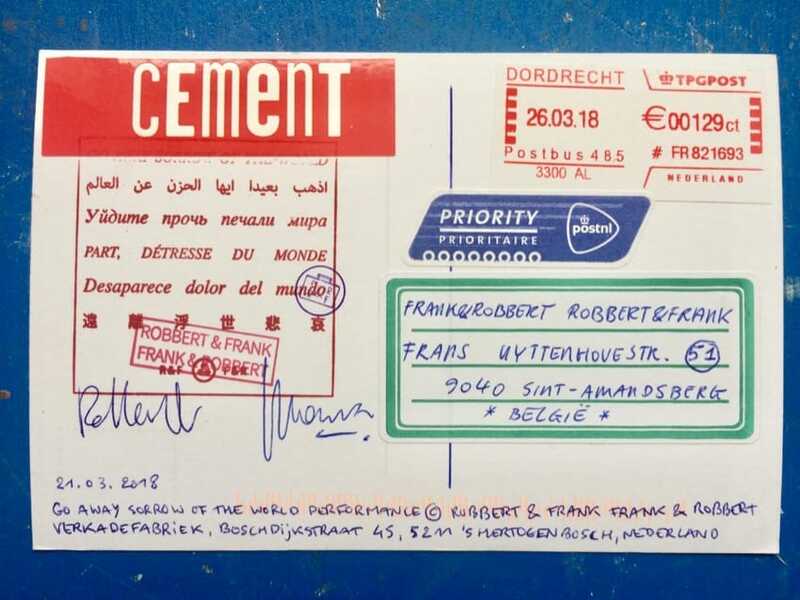 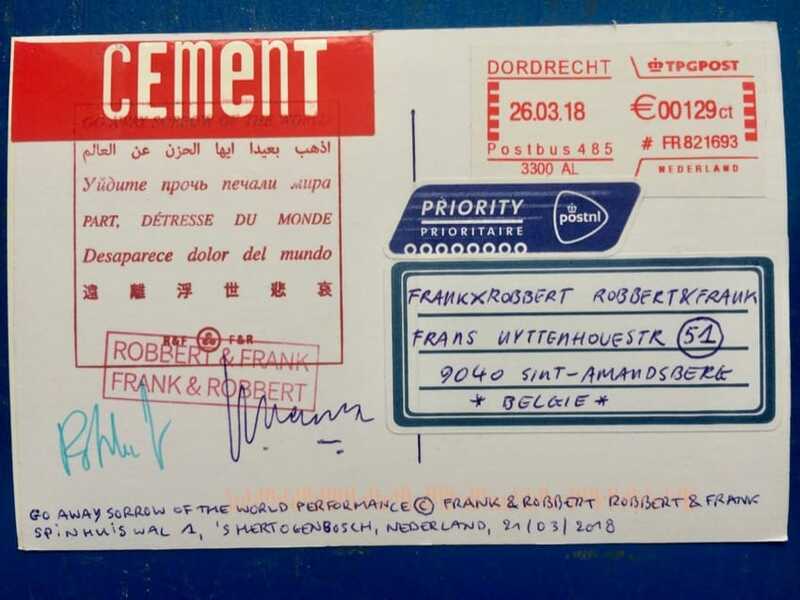 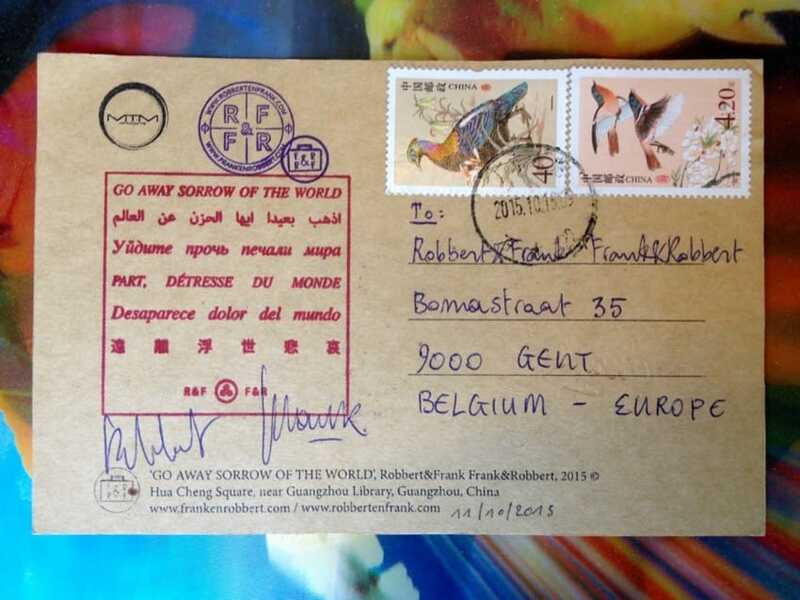 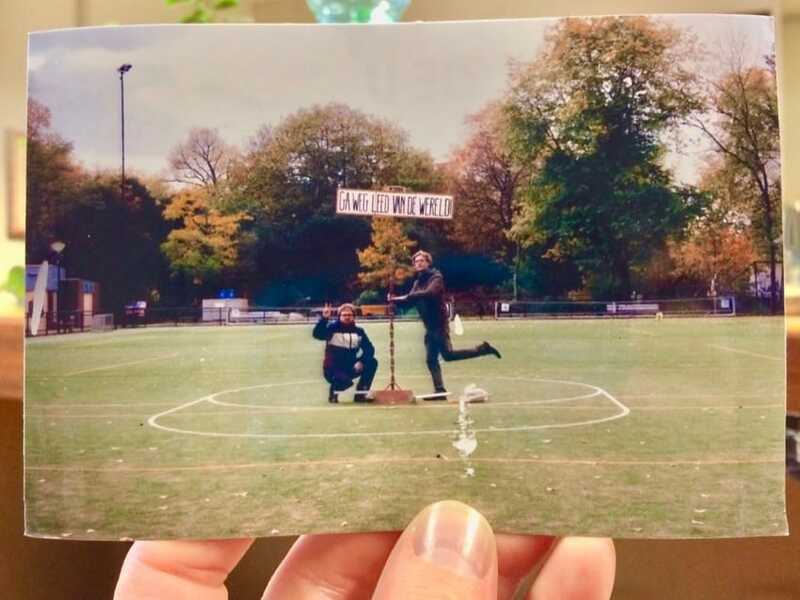 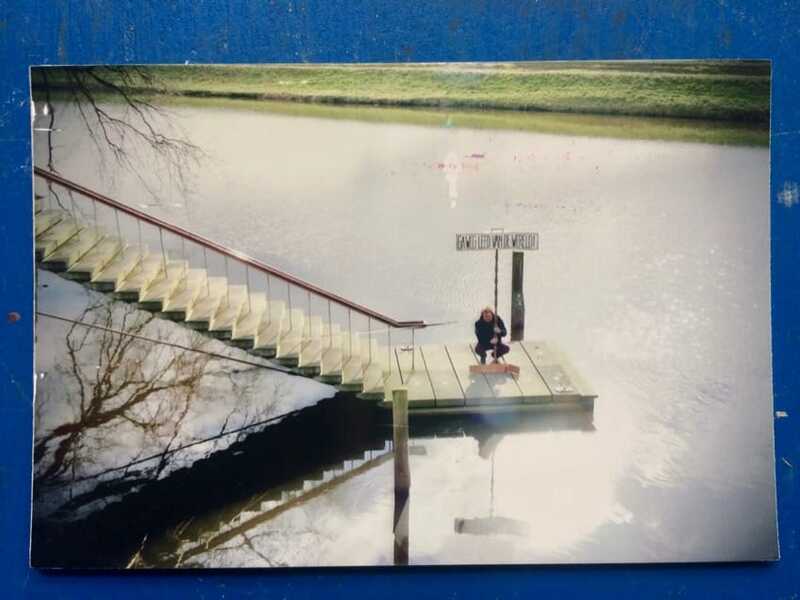 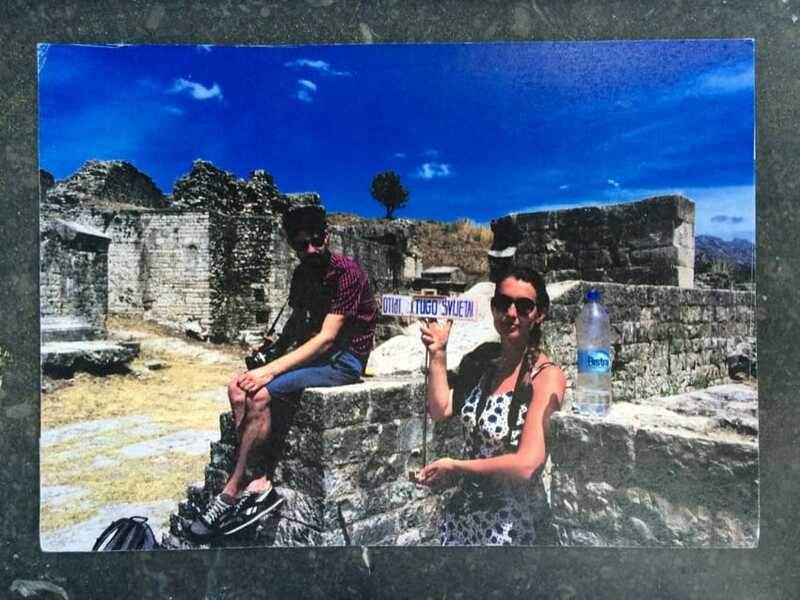 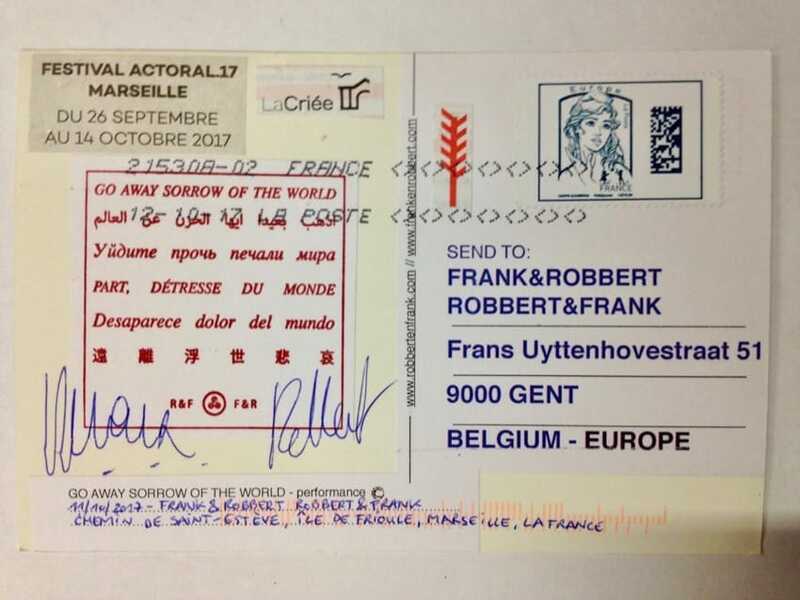 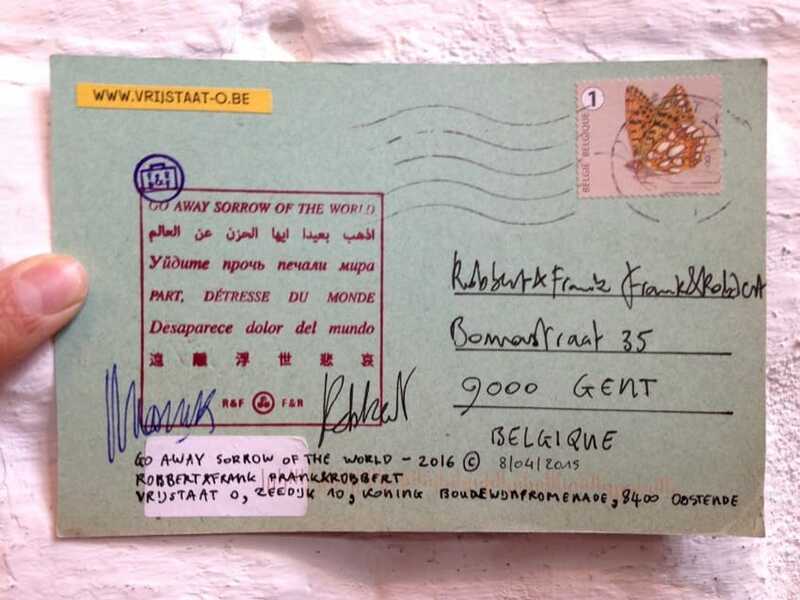 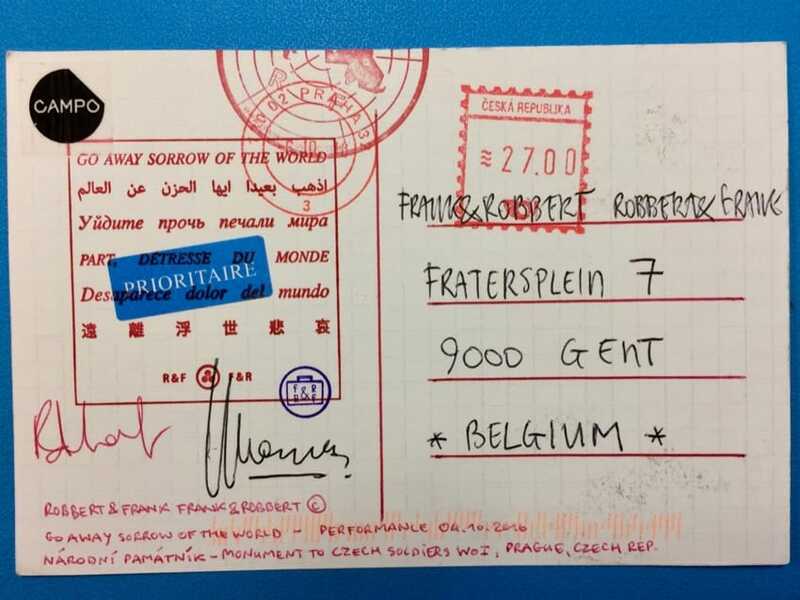 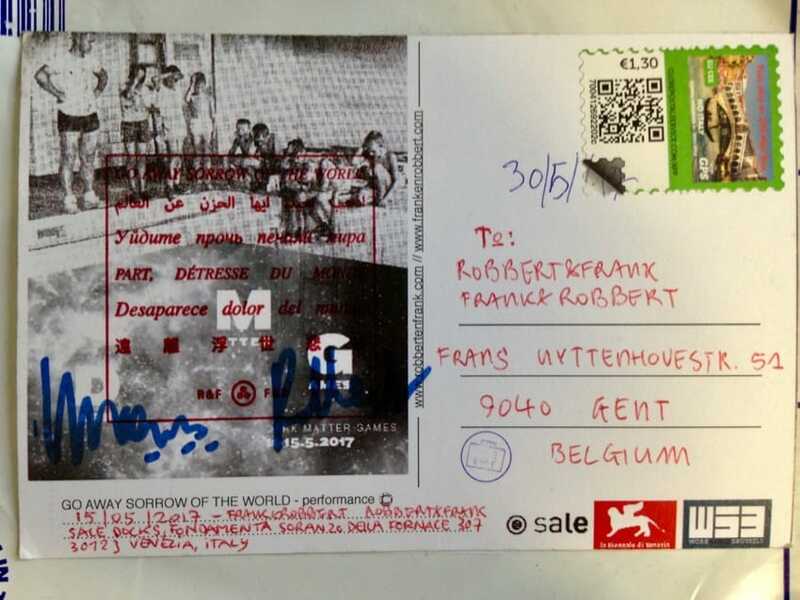 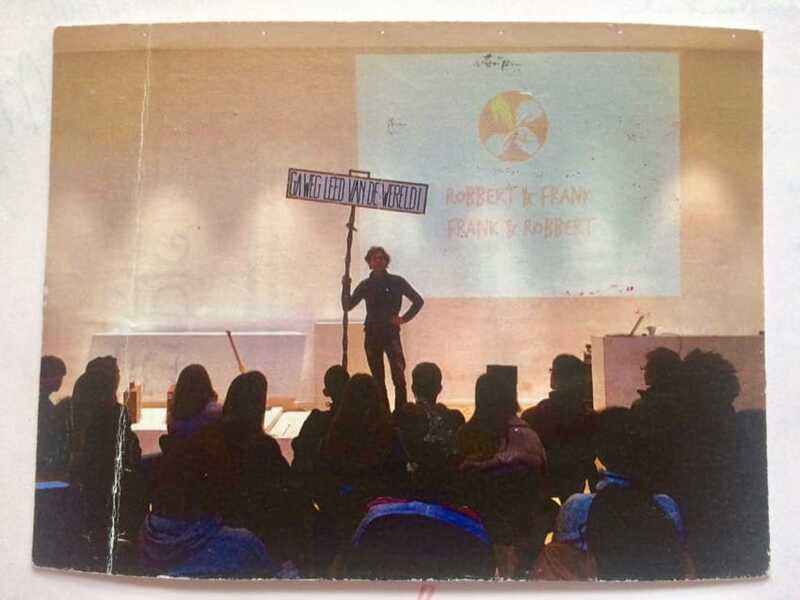 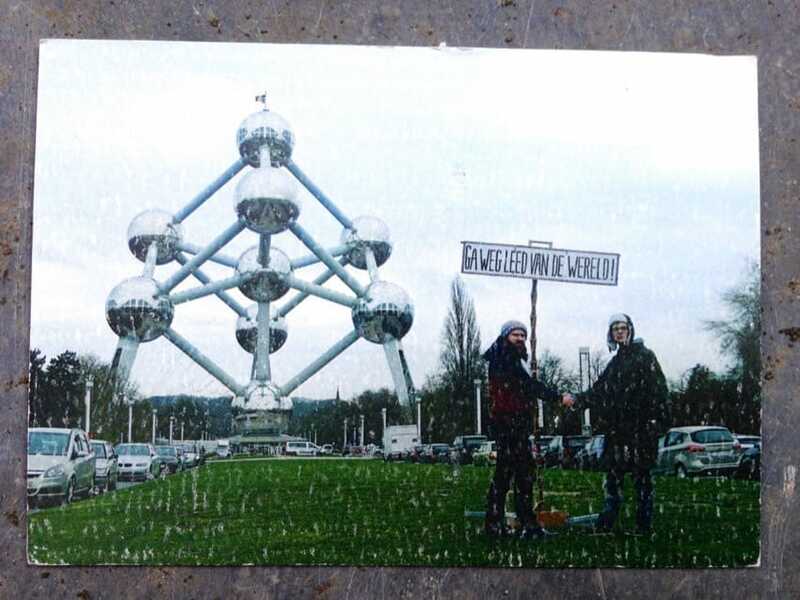 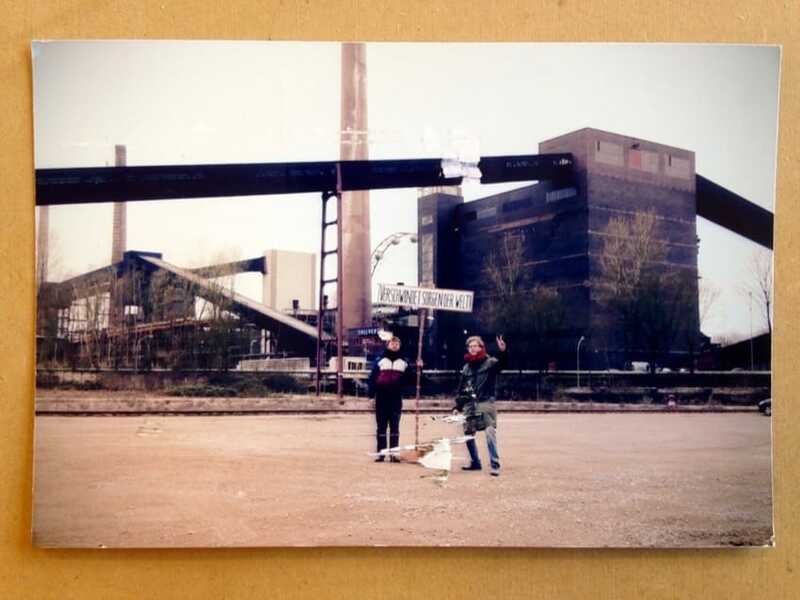 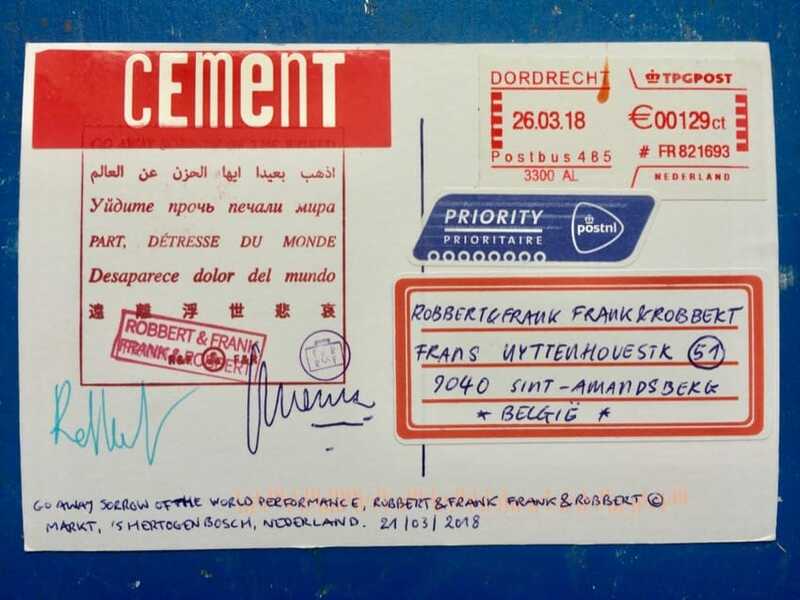 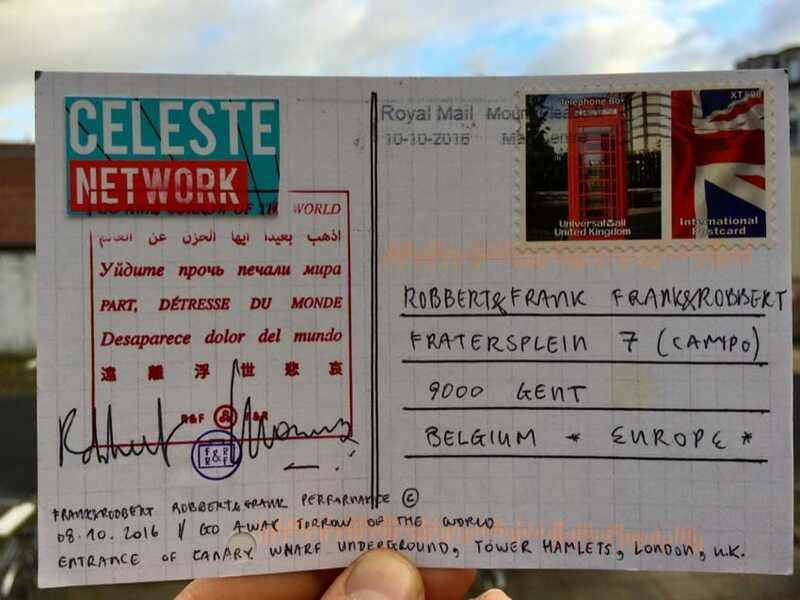 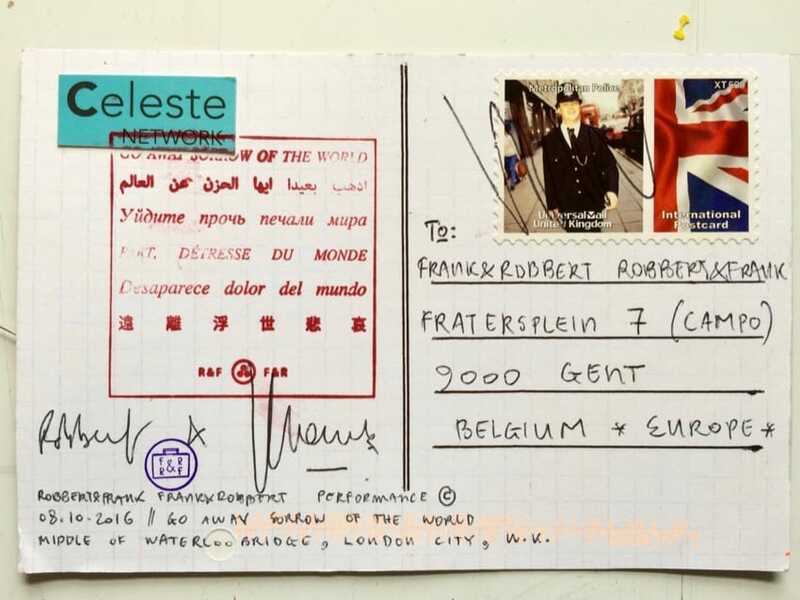 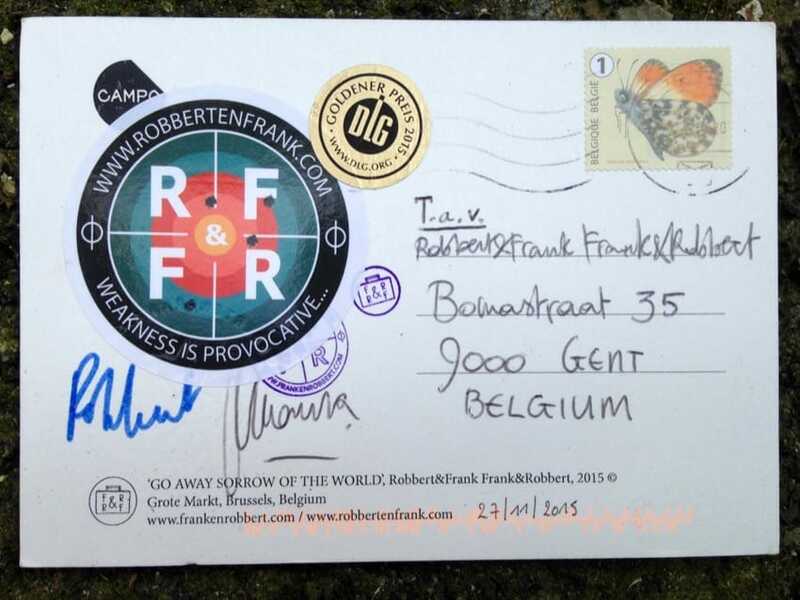 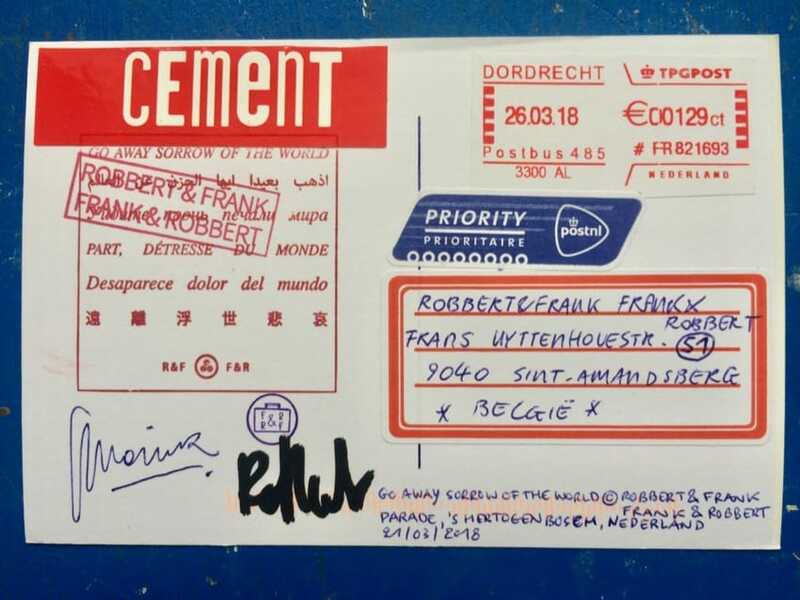 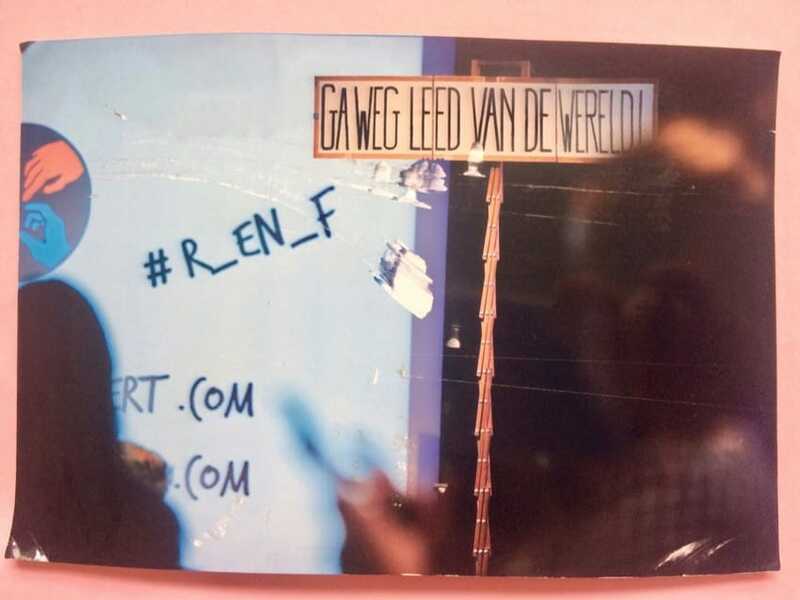 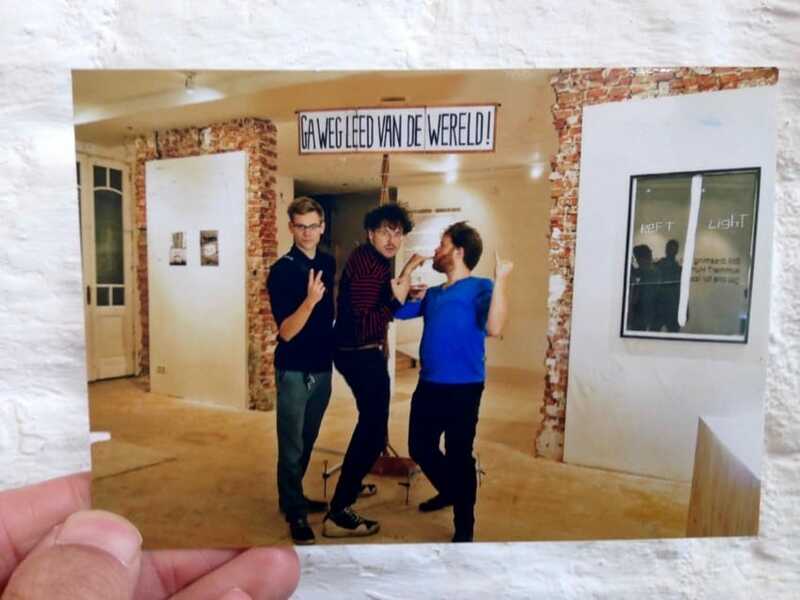 On every spot F&R R&F print a postcard ✉️ of the action (with a little portable printer) and sent it from the location to their atelier address in Ghent. 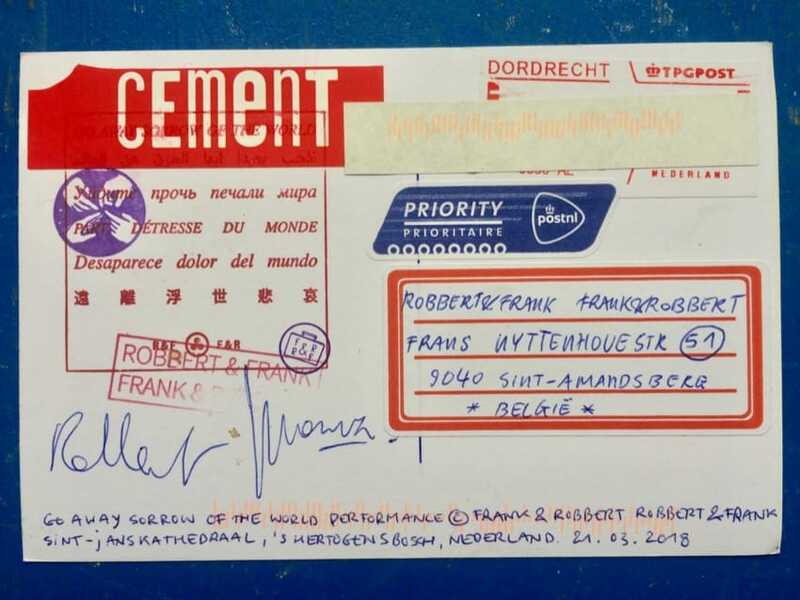 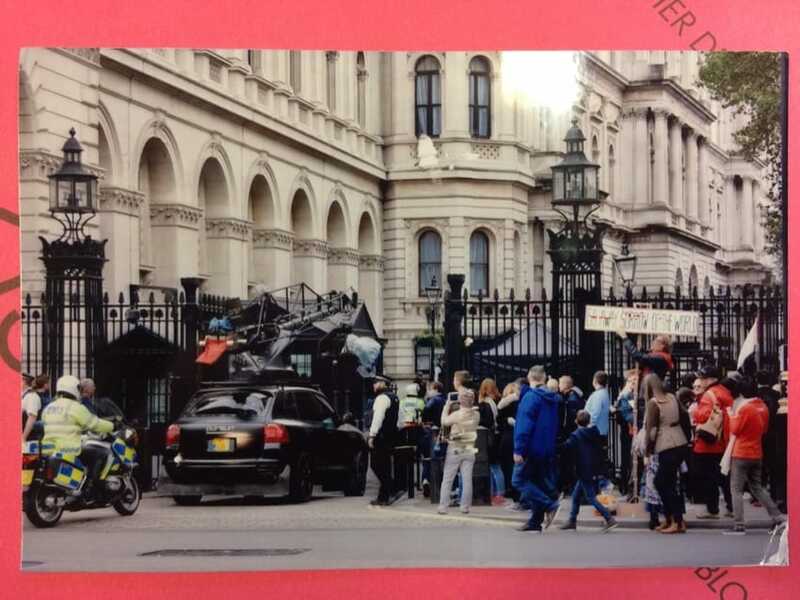 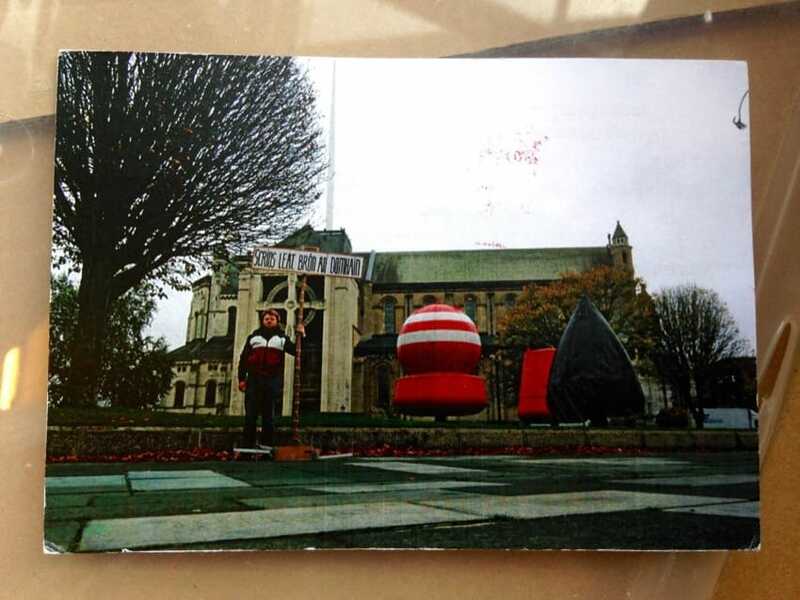 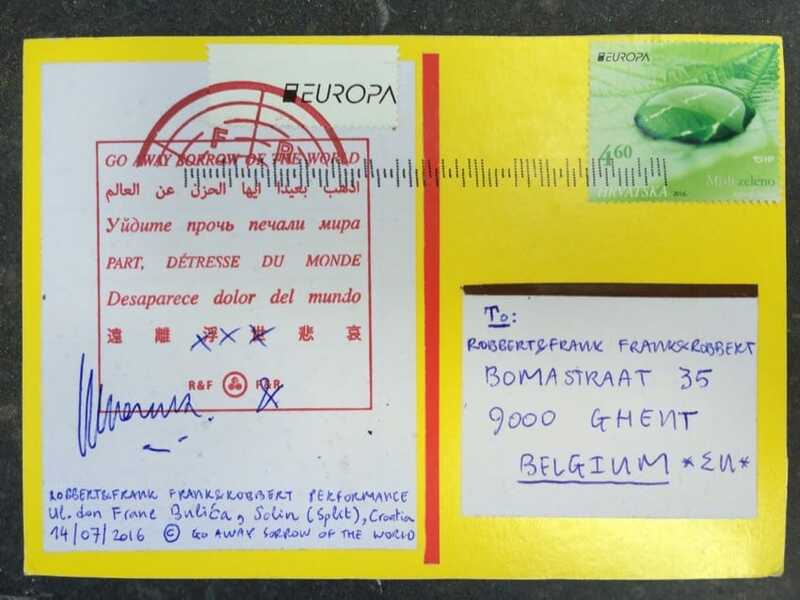 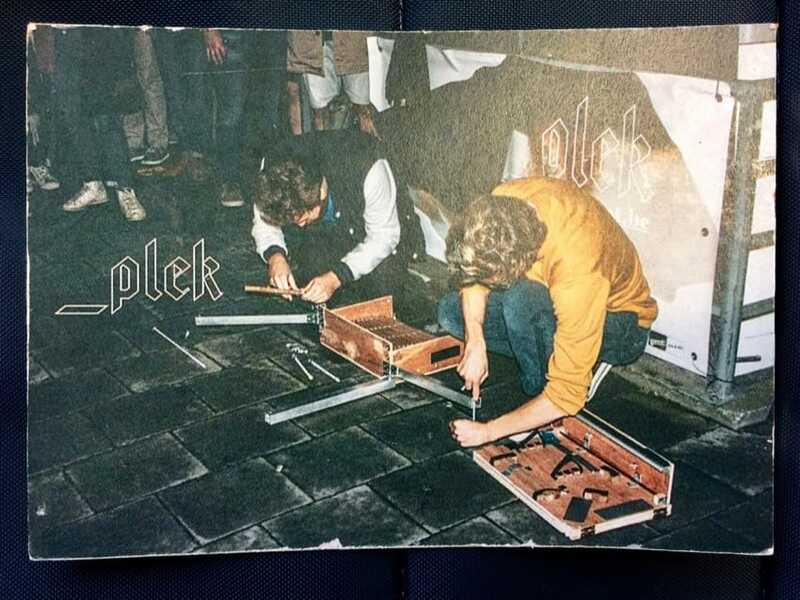 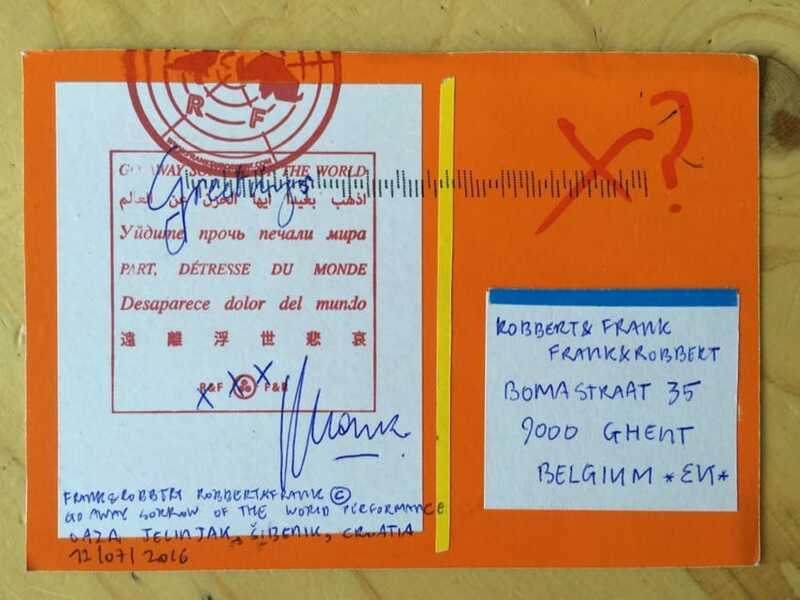 📮 The marked and stamped postcards are the certificate and proof of the action. 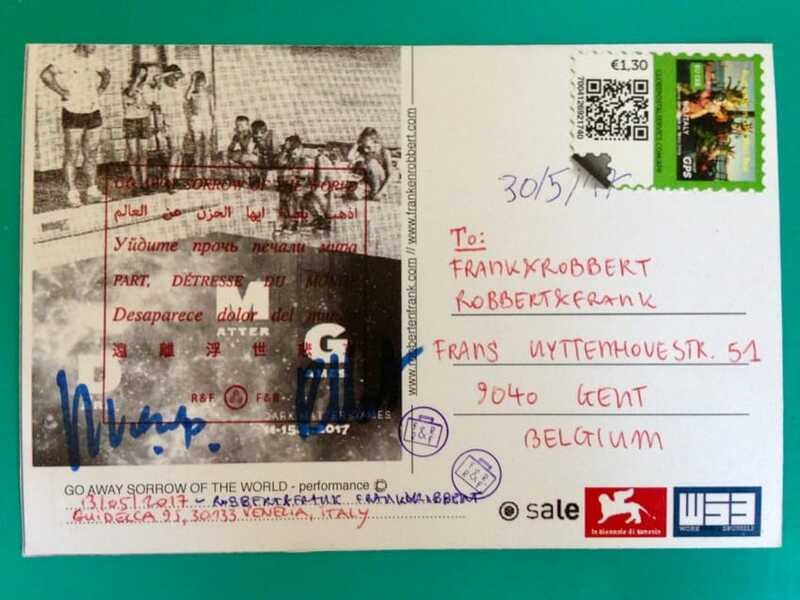 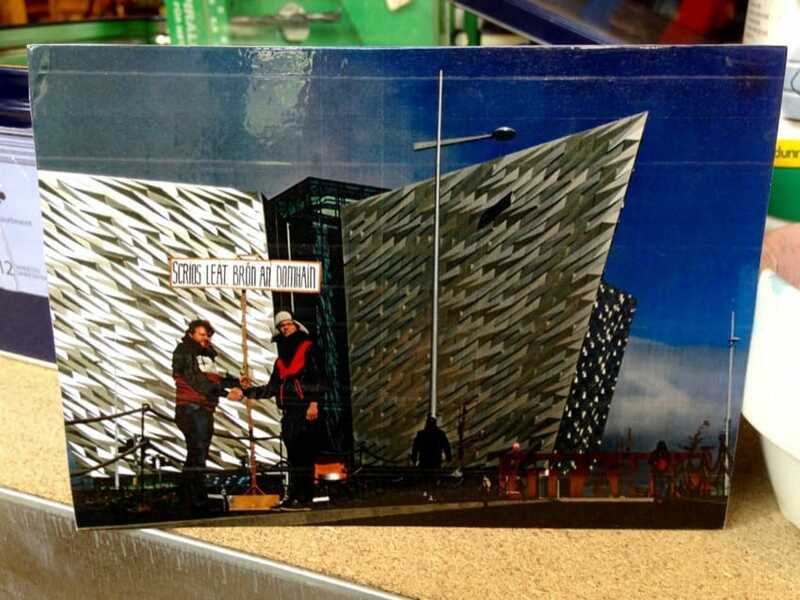 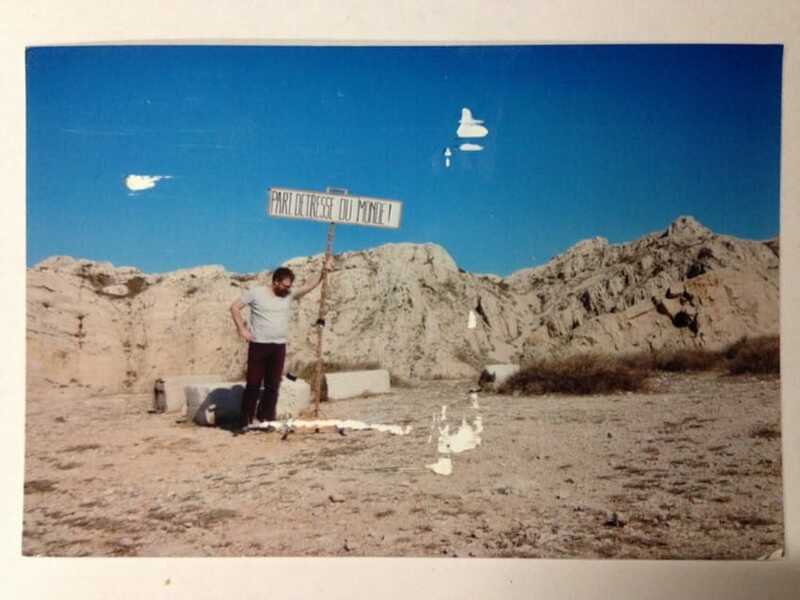 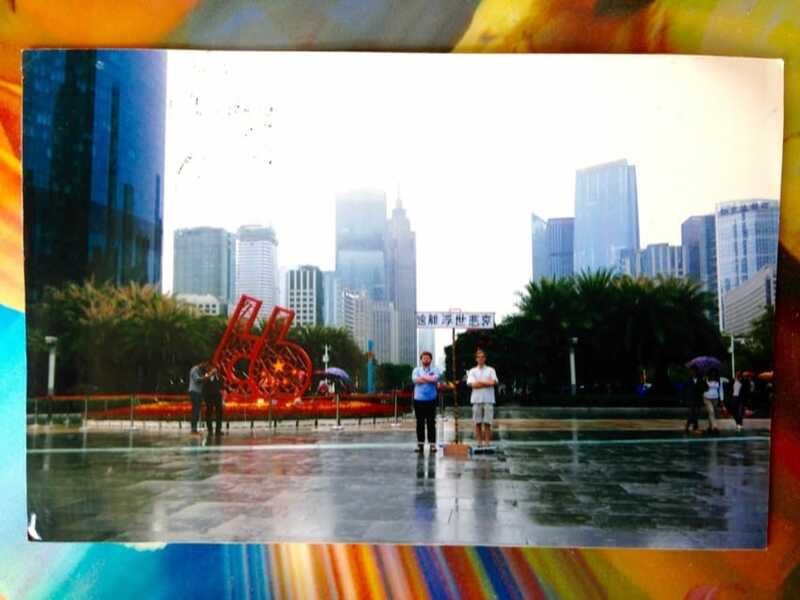 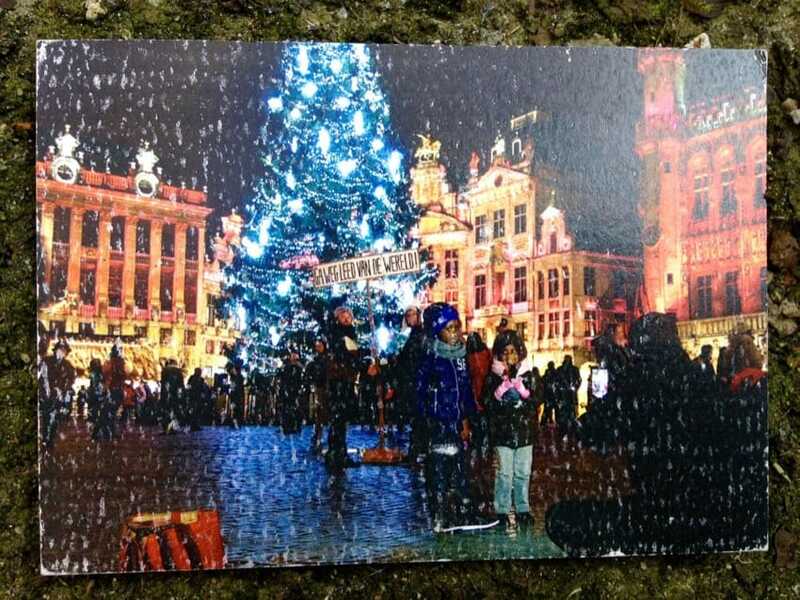 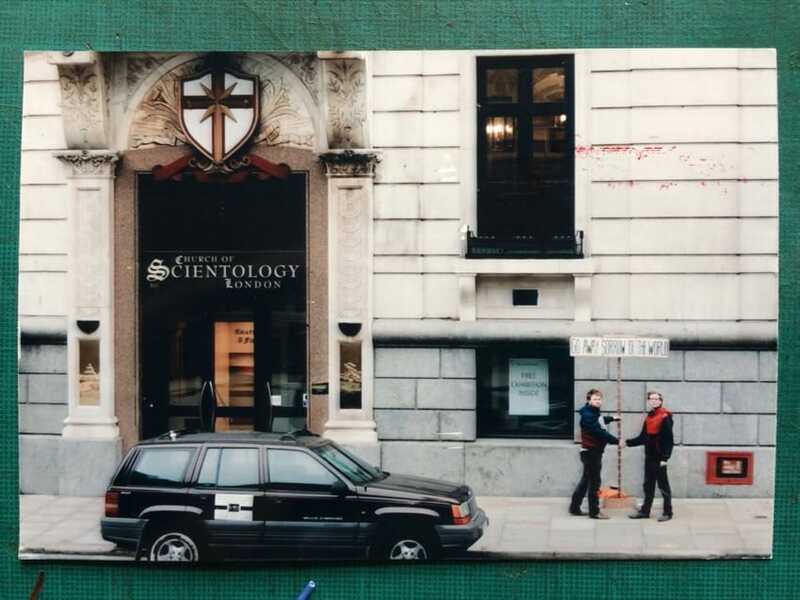 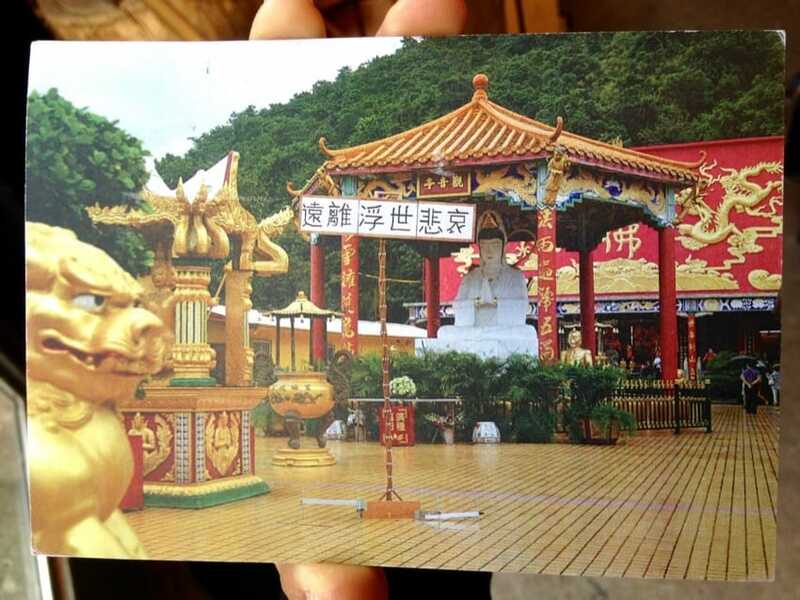 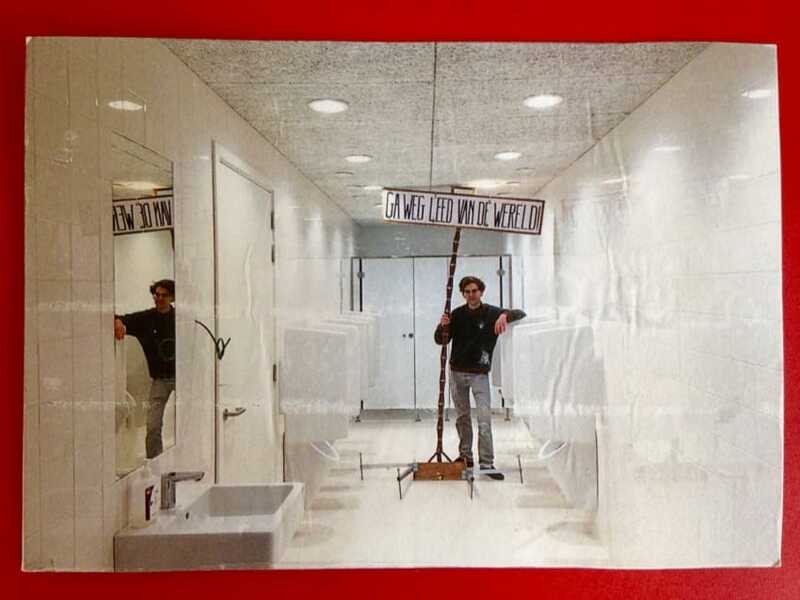 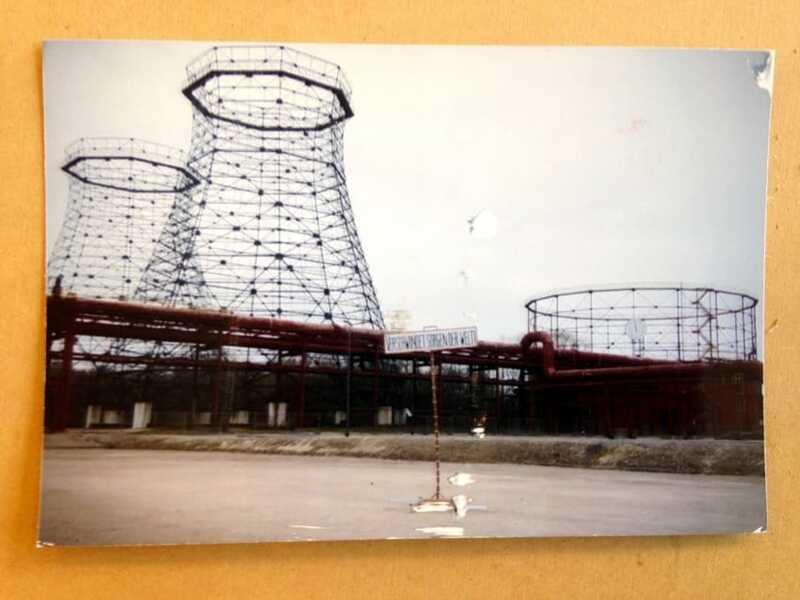 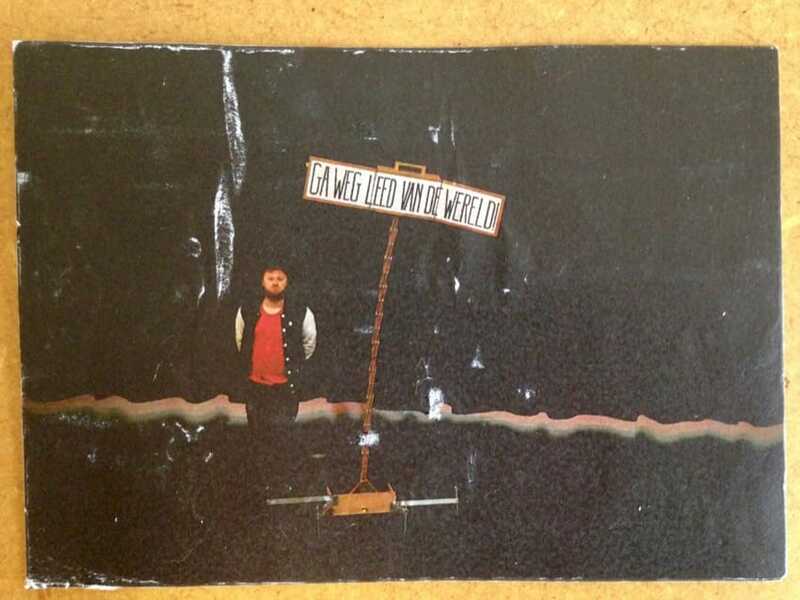 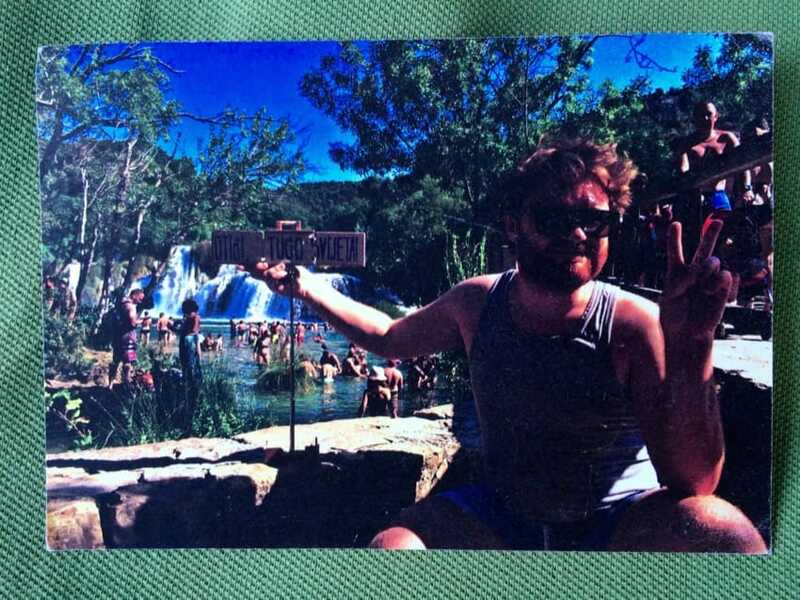 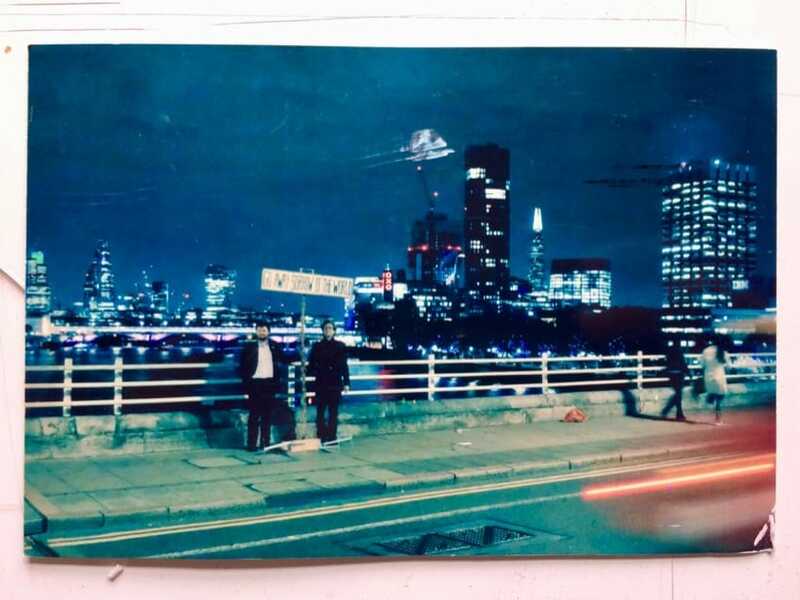 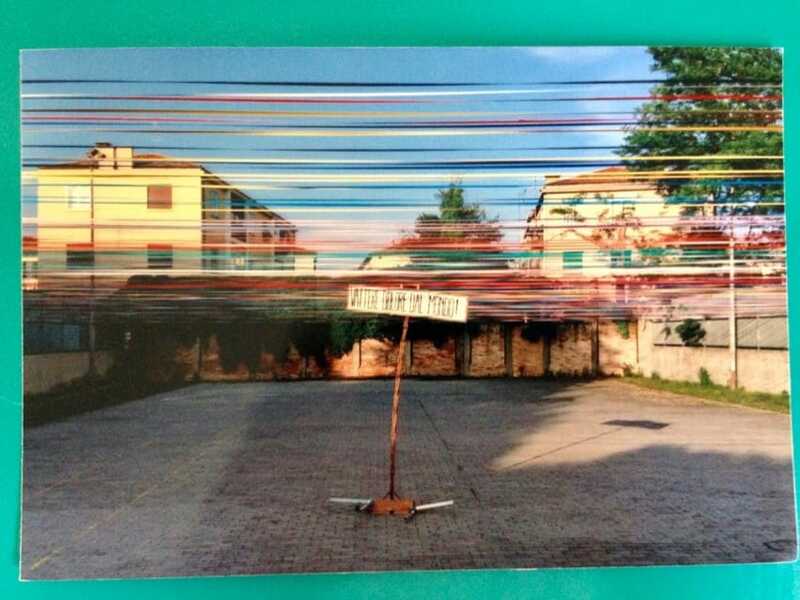 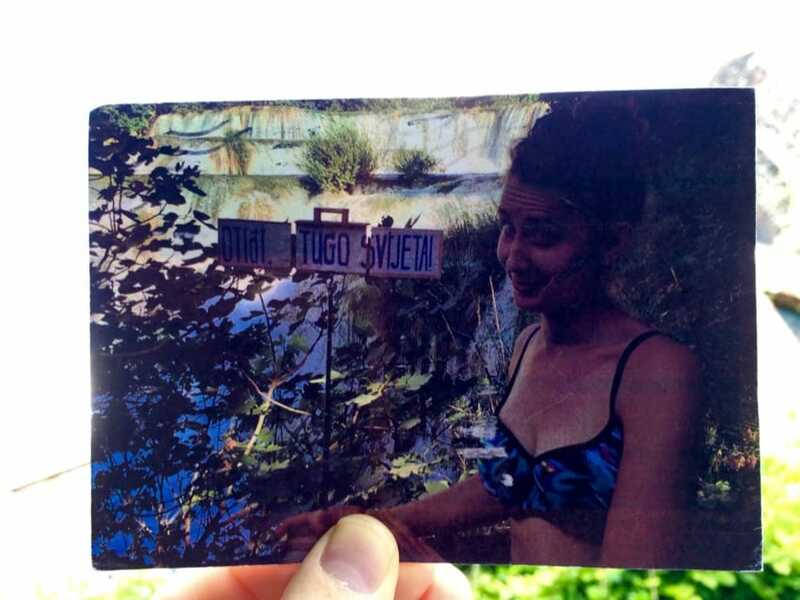 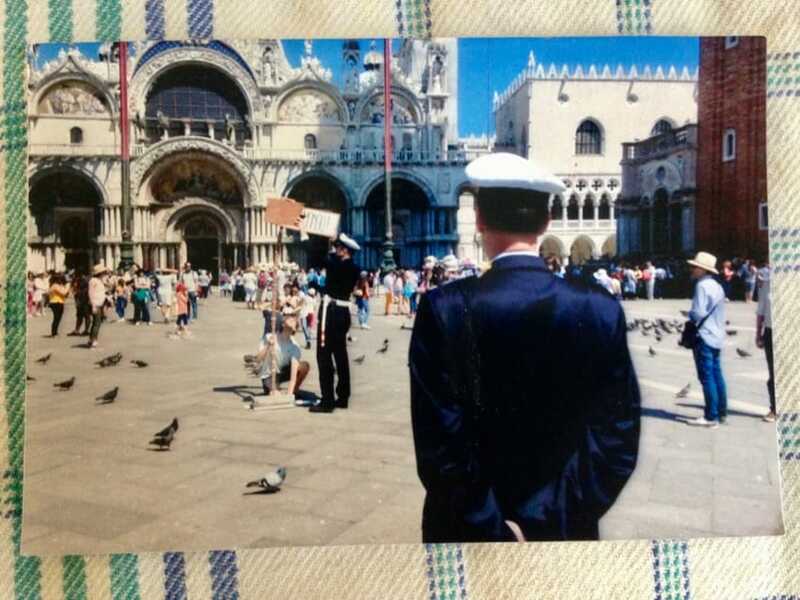 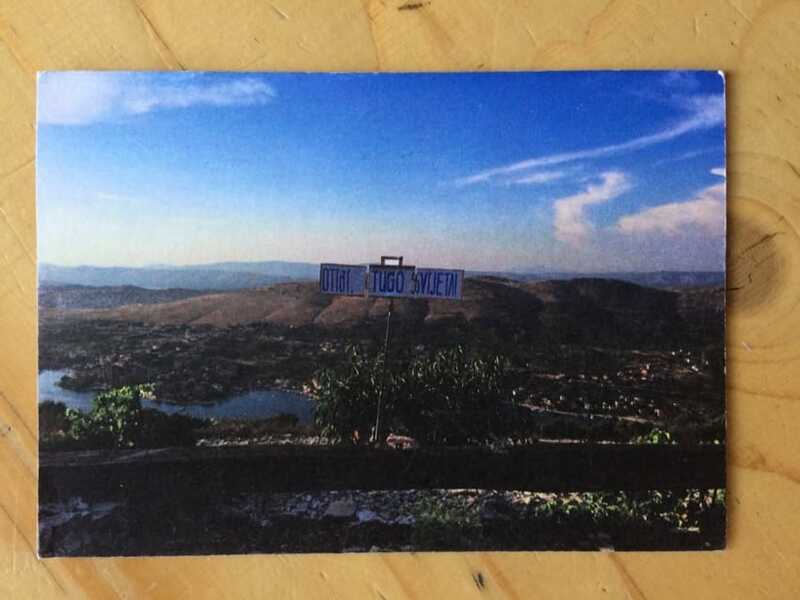 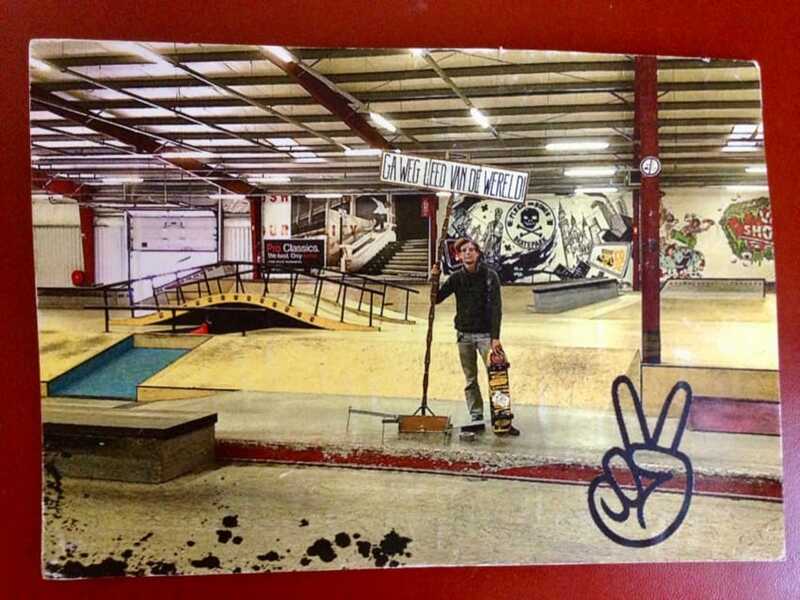 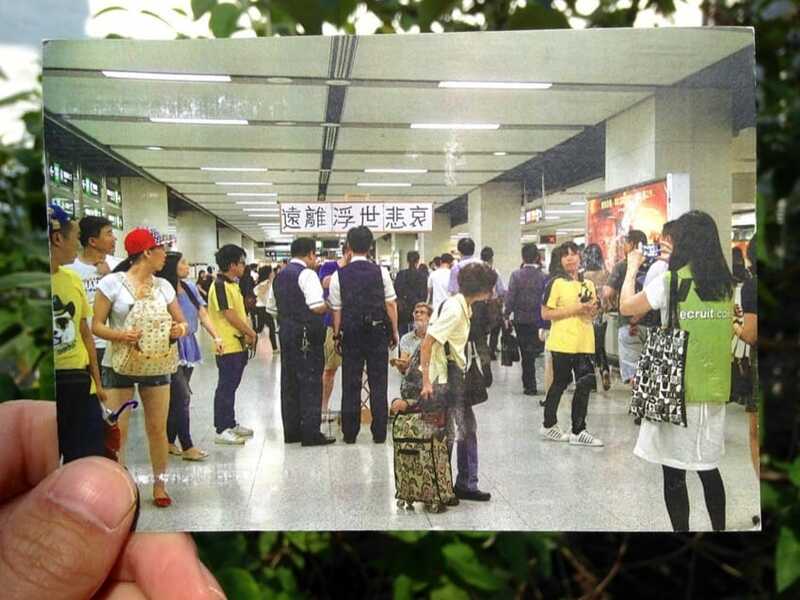 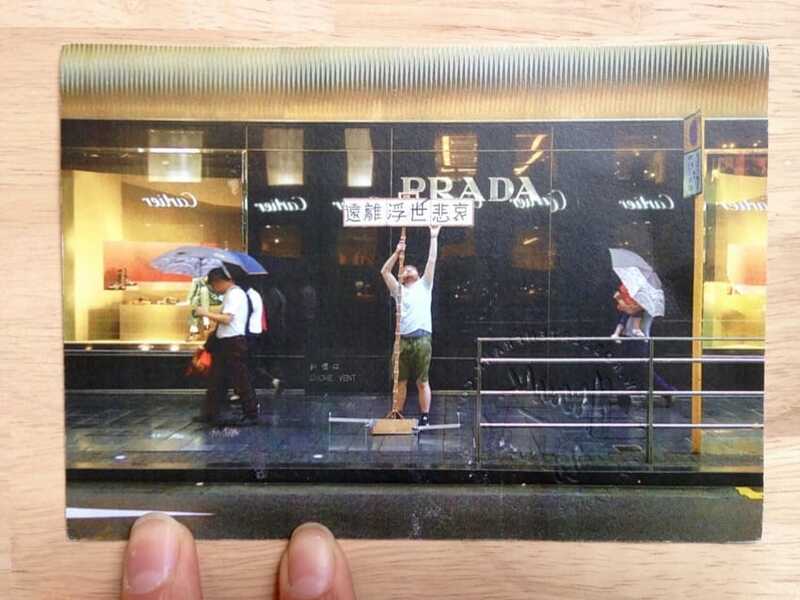 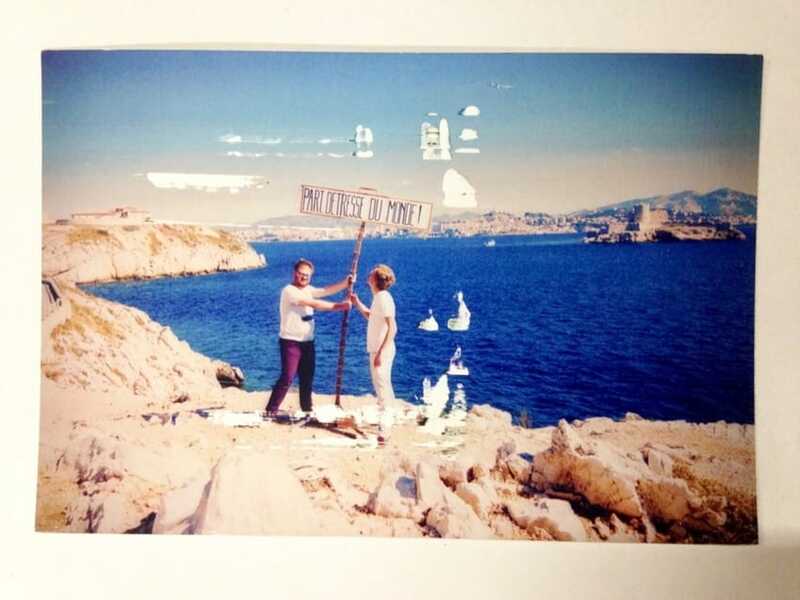 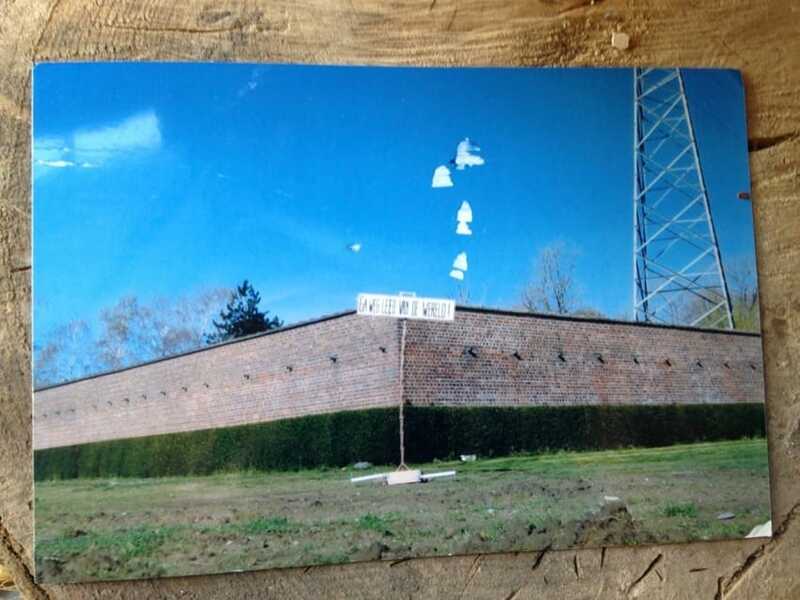 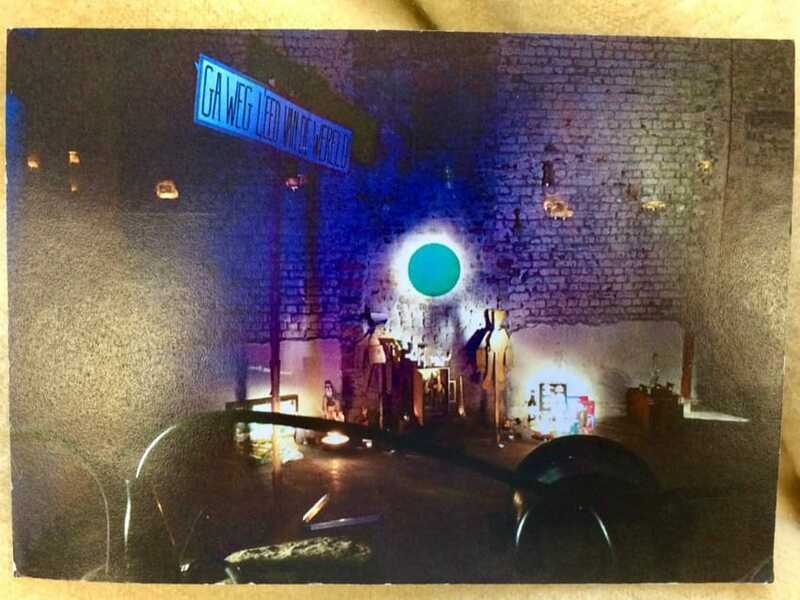 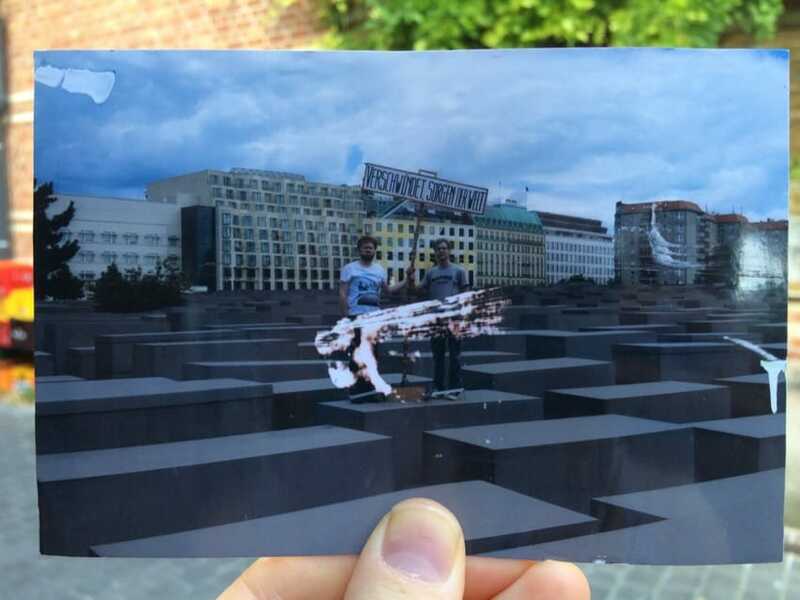 Scroll down to see all the postcards. 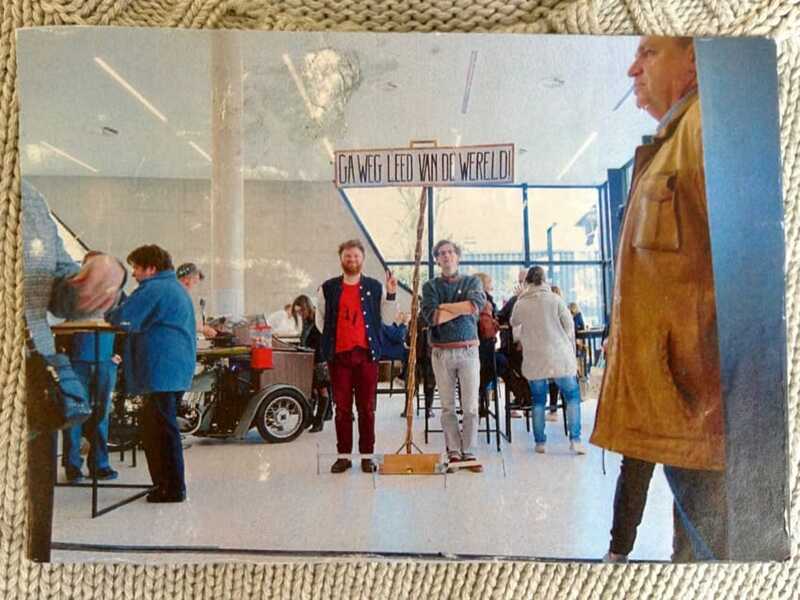 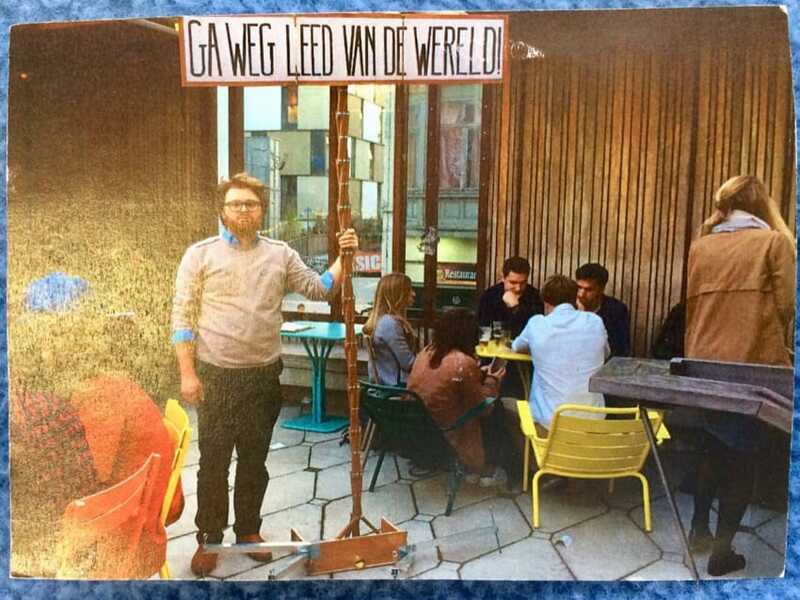 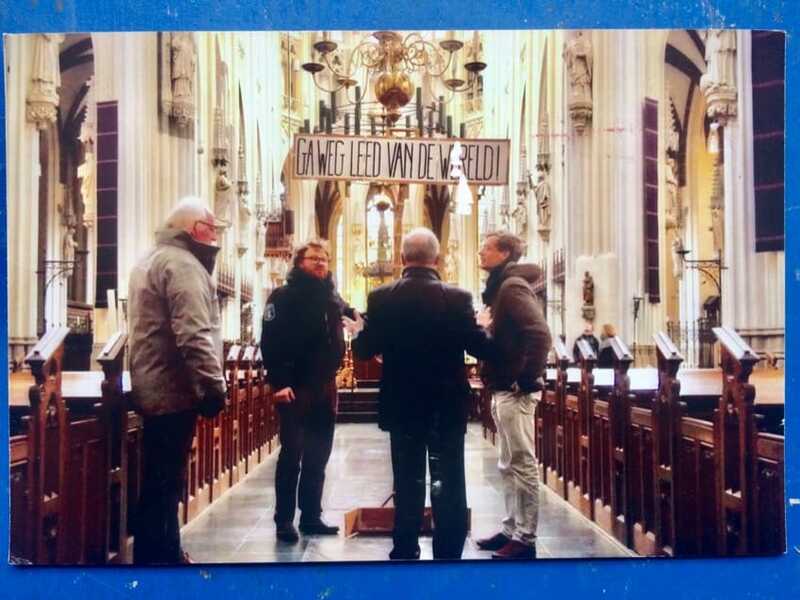 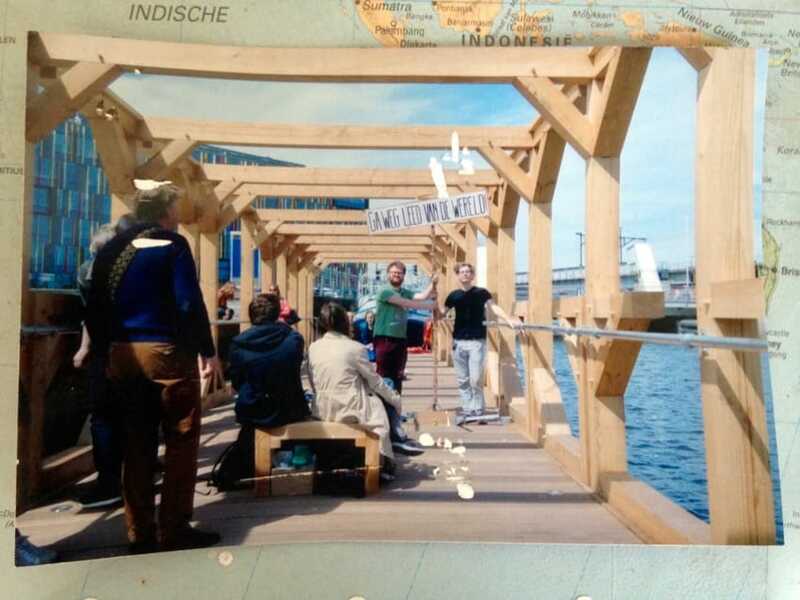 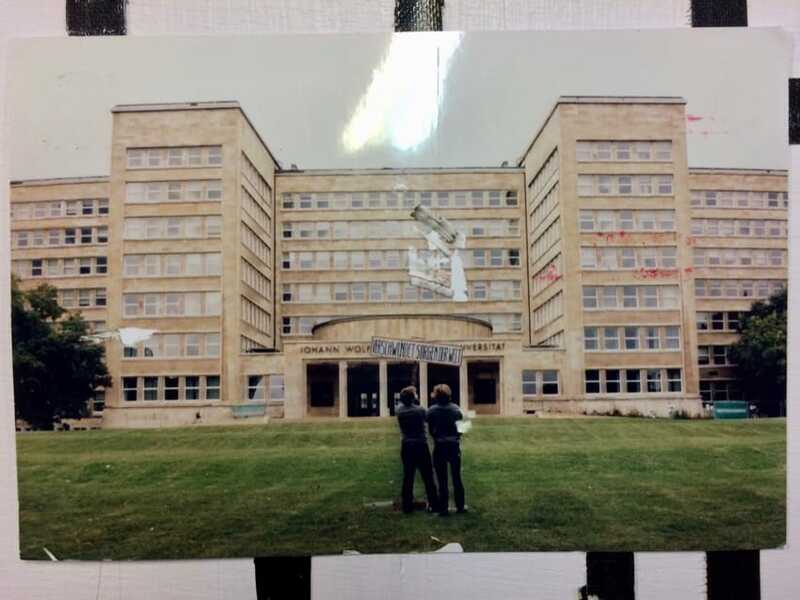 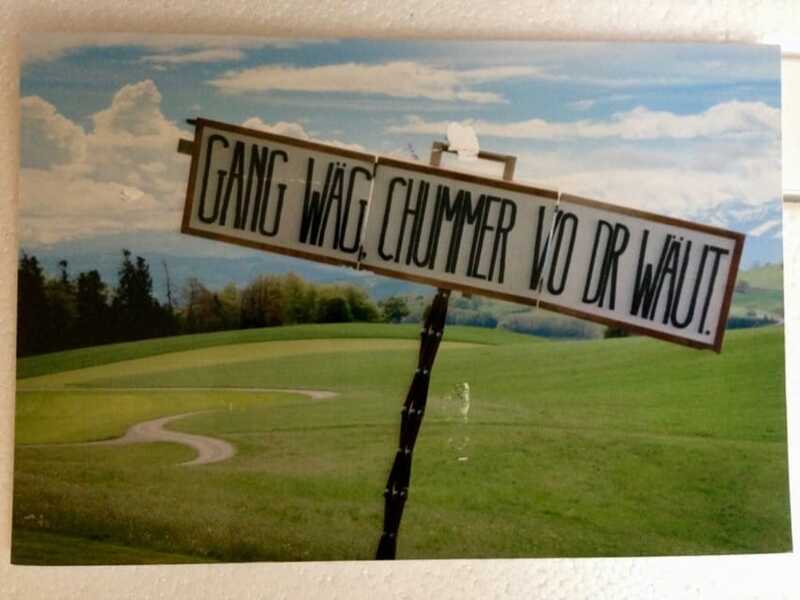 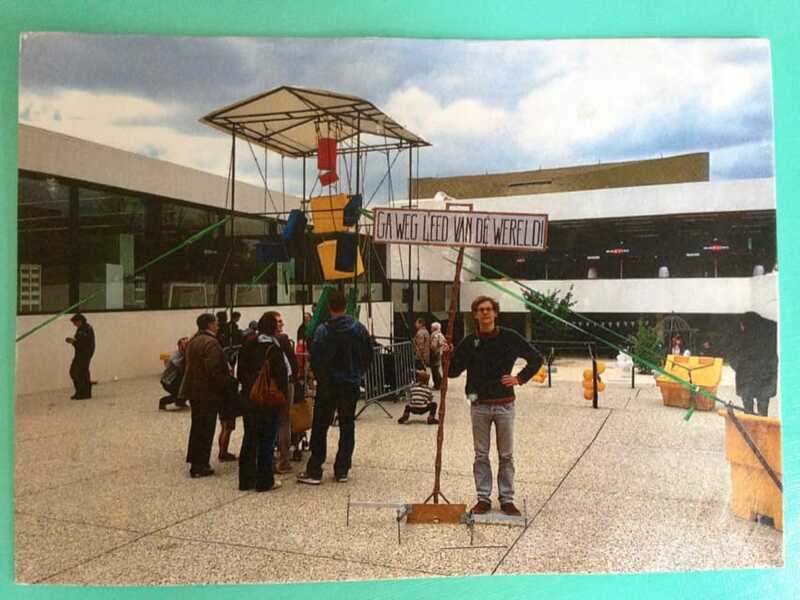 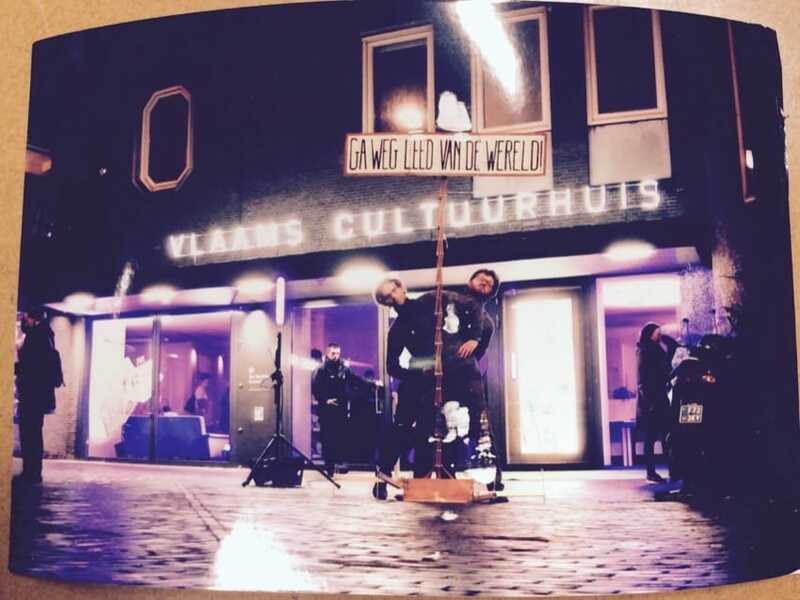 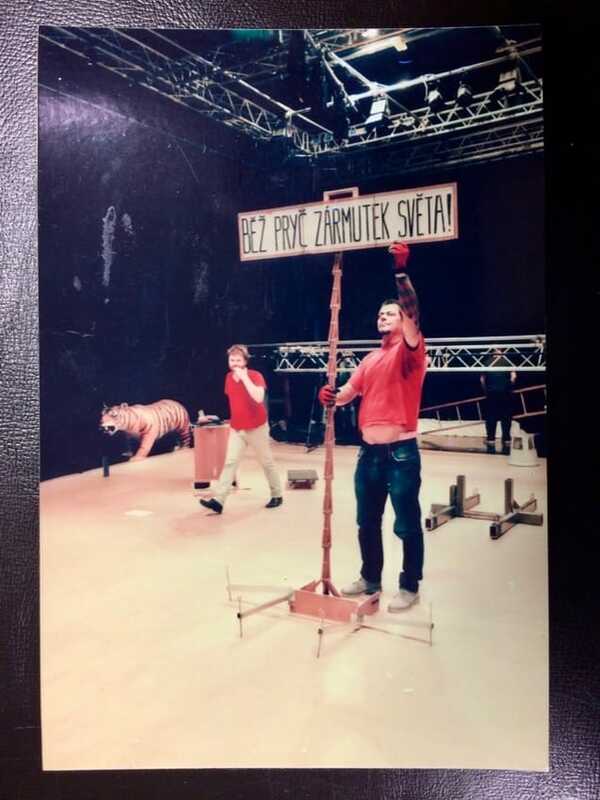 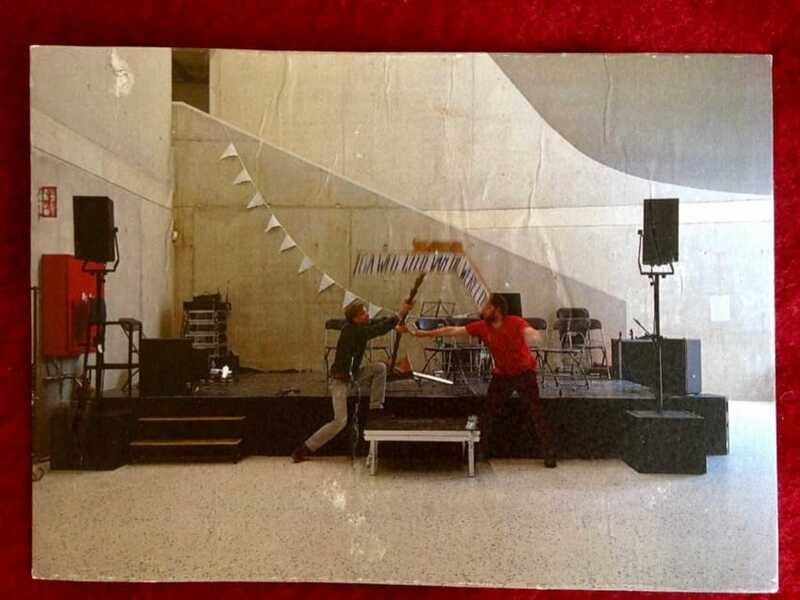 This project is supported by: Campo Arts Center, City of Ghent. 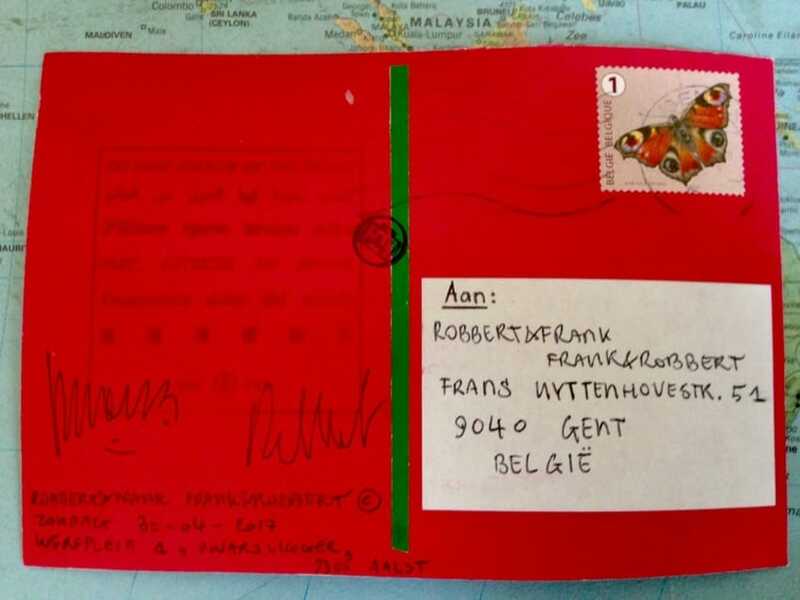 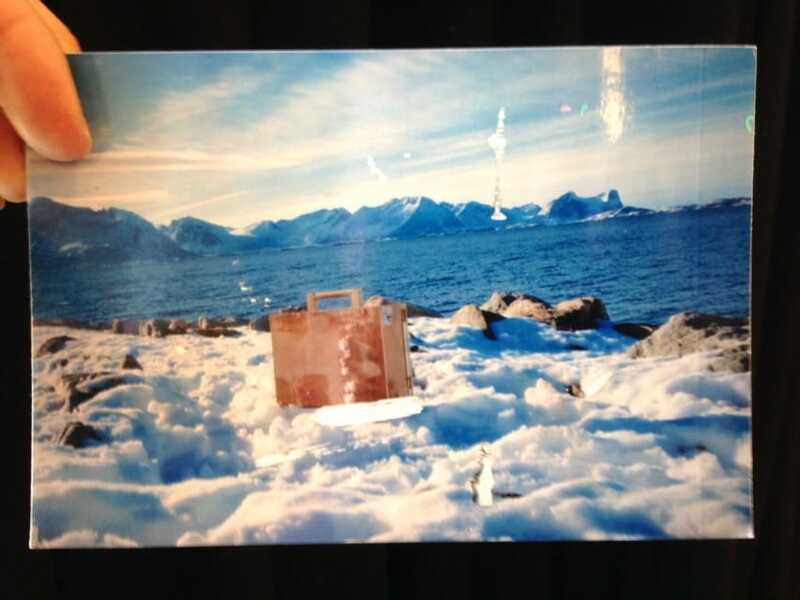 Special thanks to: WING Hong Kong, MTM Gifts Hong Kong / Belgium, Krakeslott Norway.